Uniform 300 – Uniform 300 is a photographic project coinciding with San Antonio’s Tricentennial Celebration, with portraits of San Antonio citizens representing all walks of life. Isabel B Gonzales Bill Miller Bar-B-Q Isabel B Gonzales has been with Bill Miller Bar B Q for 40 years. She started in 1977 as Counter Help and has worked at 10 different locations. She is now a restaurant manager. Isabel brought us this iconic Bill Miller’s mug and was such a pleasure to work with! Michael H Casey "Mayor of South Town" We loved working with Mike Casey “the mayor of Southtown.” Mike can always be spotted around town in his personal uniform! Cord Maldonado "Spurs Jesus" One of our first participants was Spurs Jesus: a Spurs superfan and philanthropist. Check out those rings! Karsen Koehler Former Miss San Antonio Teen USA Karsen is a San Antonio native. She is a former Miss San Antonio Teen USA and Beauties of America 20’s title holder, and Miss San Antonio USA 1st runner up for 2016 and 2017. She values her time spent as a titleholder due the opportunities presented to be involved in her great city and volunteer with her favorite organizations supporting citizens with special needs. Her favorite time of the year is fiesta, and is a huge Spurs fan. 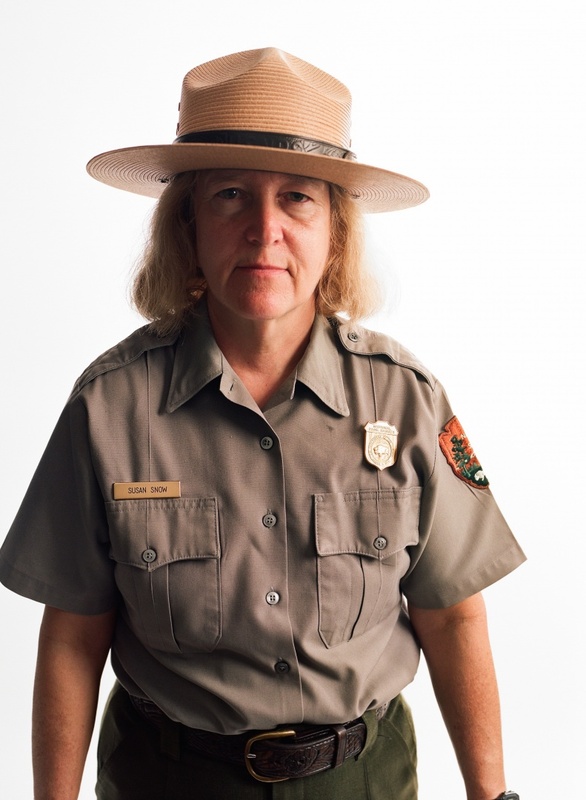 Susan Snow Parks Foundation Susan Snow has had almost a decade of service with the National Parks Service. She is an archaeologist for the San Antonio Missions National Historical Park. Susan is working on a unique collaboration with the local food bank to restore the long-abandoned farmland near Mission San Juan Capistrano in an amazing collaboration that will feed the hungry and educate visitors about Mission History. In exchange for free access to 45 acres to grow its own crops, the food bank will maintain a 5-acre, historically accurate demonstration farm to educate visitors about the Acequia style of farming. Charlie Biedenharn Bakery Lorraine/Maybelle's Donuts Charlie is a the owner of Bakery Lorraine and Maybelle's Donuts. As someone whom I admire, Charlie is one of the native San Antonians who have inspired me to move back home and find ways to contribute to the growth of our amazing city! Valeria Medina Escaramuza I met Valeria Medina at the San Antonio Charro Ranch during the Fiesta Charreada. She is Queen of the Rancho el Único Charro Team. 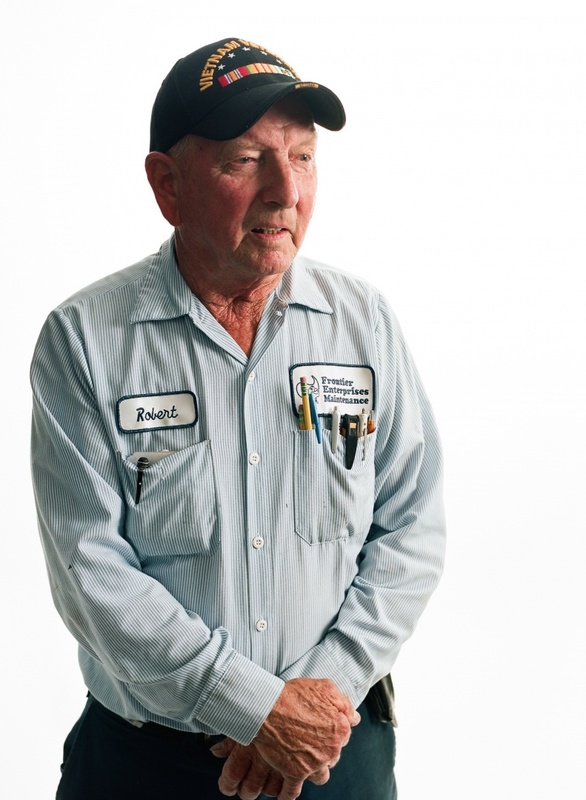 Robert Wehmeyer Jim's Bobby Wehmeyer has been with Frontier Enterprises for over 50 years. He was working for the company when he was drafted into the Army during the Vietnam war. Jim Hasslocher told him his job would be waiting for him when he came back, and sure enough Bobby is still with Frontier Enterprises to this day! 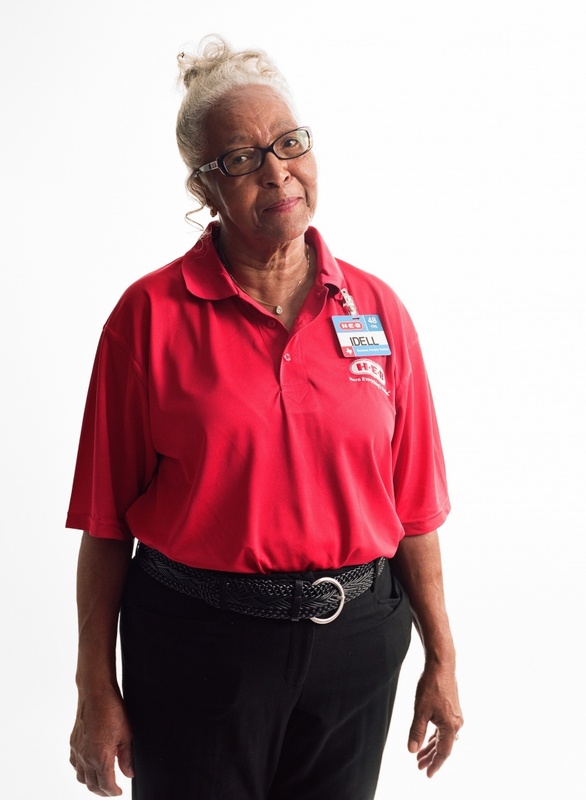 Idell C. Bean H-E-B Idell has been with H-E-B for 48 years. She has worked at several locations around San Antonio and now works at the store on WW White. Idell’s daughters have spent some time working for the company too! When I met her, Idell made sure to tell me about the store closest to where I just moved on the south side. Brad Swail Podcaster Born in Austin, TX, Brad moved to San Antonio with his wife and first son in 2014, and while stay-at-home-dadding decided to start his own podcast (the first of several, and more to come). He discovered podcasts in 2010 when a friend turned him onto a show called Uhh Yeah Dude, and was immediately hooked, never to look back. Often his friends pick on him for notoriously preferring podcasts to music, even going so far as to claim that he, “doesn’t like music.” His newest project is in conjunction with Uniform 300, where he will be showcasing interviews with several of the 300 subjects. Chad Carey Restaurateur, "Monterrey" “Be regular and orderly in your life like a bourgeois, so that you may be violent and original in your work.”- Gustave Flaubert Chad shared this quote during his shoot as a personal inspiration. Chad has been in San Antonio for 17 years. After being disillusioned with real estate, he decided to take a risk and open The Monterey in 2010. Since then he’s opened Barbaro, Hot Joy, Chisme and helped turn White Rabbit into Paper Tiger. 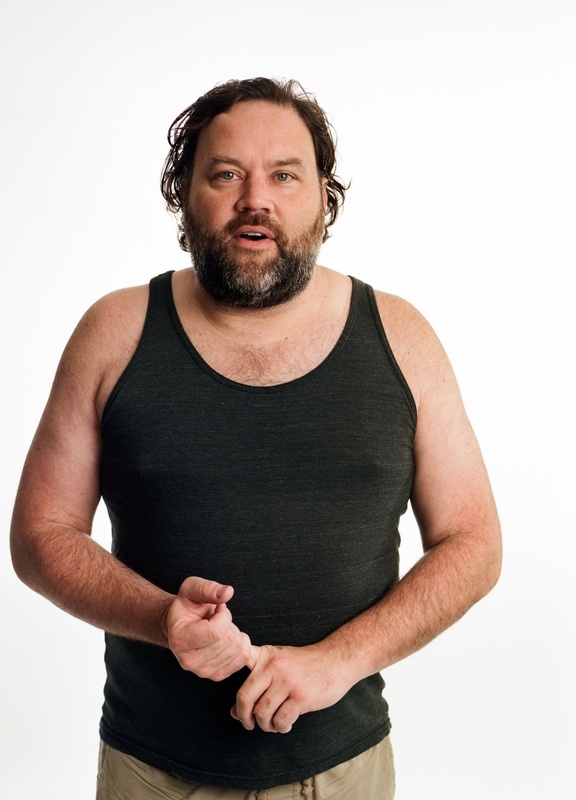 Chad says his tank top uniform is casual and unassuming, and meant to be and extension of the vibe of his restaurants. 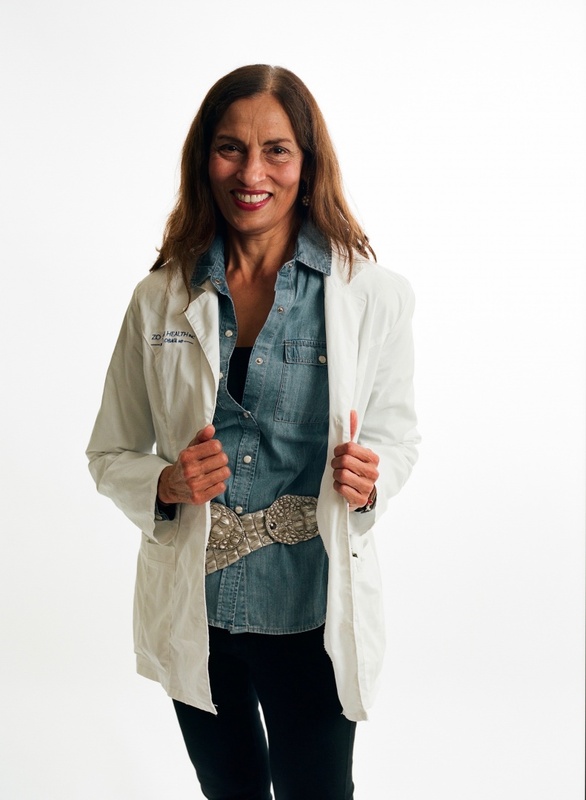 Neera Bhatia OBGYN Neera is an OBGYN who has had her own practice for 39 years. She moved to San Antonio 45 years ago from New Delhi. 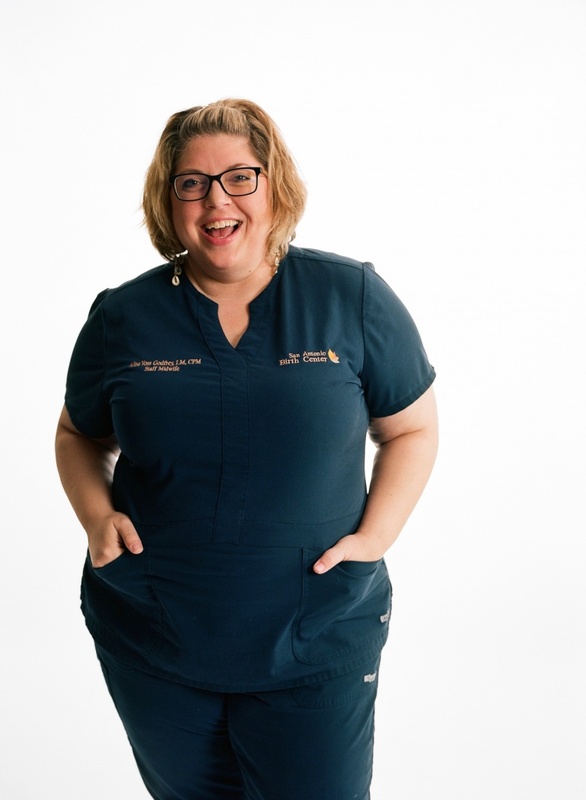 She understands the effect of “white coat syndrome” so she brings some of her own style in to work to make her patients feel more comfortable! Despite having thousands of patients, Neera makes it a point to always see each one face-to-face! Joseph Gonzales Schilo's Joseph has been with Schilo's for 3 years. He was born in San Antonio and is of Mexican, French, Irish and German descent. Schilo’s opened in 1917 and is San Antonio’s oldest restaurant, serving legendary German-Texan fare. To celebrate their 100th anniversary, Joseph has been selected as the restaurant’s Centennial Ambassador, giving free root beer and wooden nickels at different events. 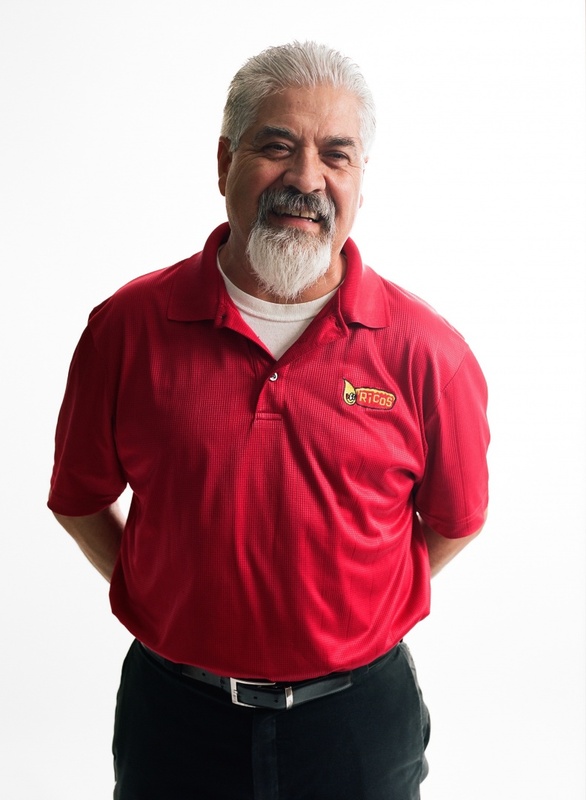 Dimitrios T Sotirhos Chevron Full Service Dimitrios has been in San Antonio since 1989. He’s originally from Megalos Valtos, Corinthia, Greece. 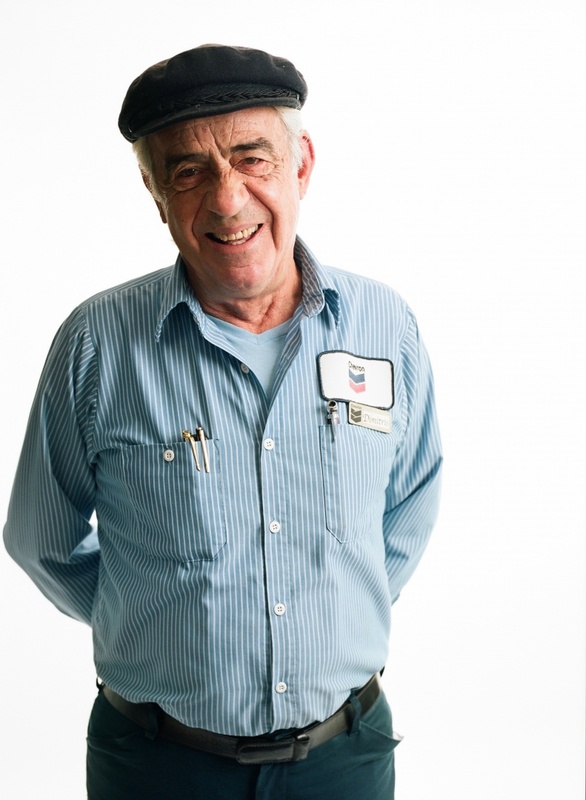 Dimitrios has worked for 17 years at the full service Chevron on Hildebrand and McCullough. 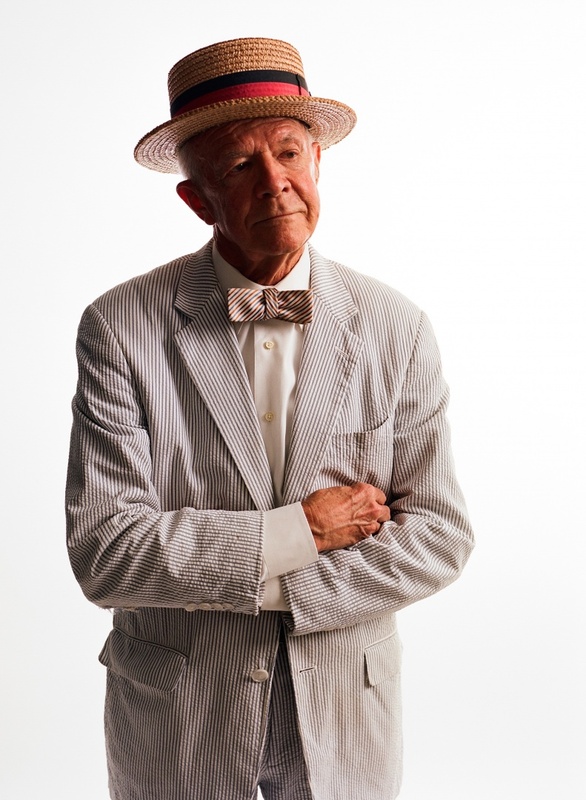 His favorite car is a 1973 Pontiac LeMans he had for 35 years. He returns to Greece to see family every summer, but is happy to have his children and grandchildren in San Antonio. Holly Phan Holly's Nails Holly was born and raised in Huế, Vietnam. She moved to San Antonio in 1997. While finishing High School, she began working at a nail salon after school. She met her husband Tony and shortly thereafter they opened Holly's Nails, a salon that they have been operating since 2001. They have been in business together for 17 years and were honored to have been written about by the Express News. They have loved watching familiar faces come in consistently for 17 years! Tom Shelton UTSA/ITC Tom was born in Refugio, TX and lived there until moving to San Antonio in 1967 and remembers moving here during the construction of the Tower of Americas. 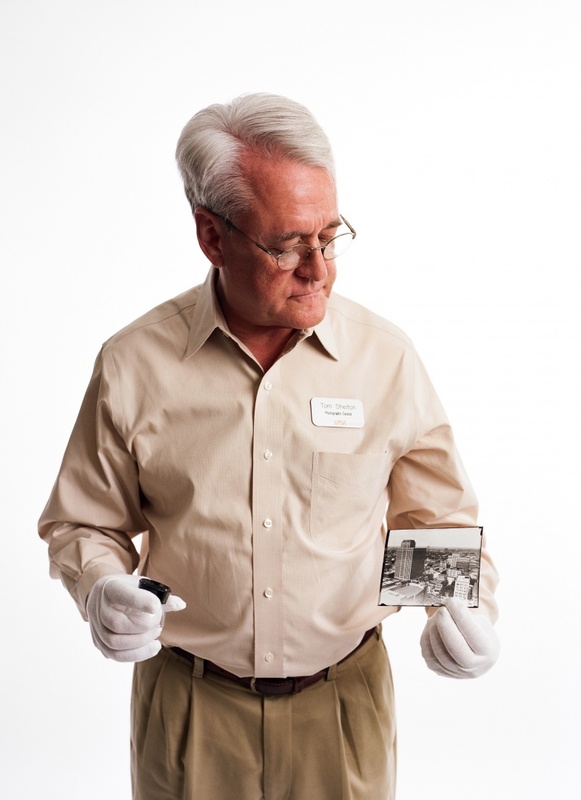 Tom is responsible for the Institute of Texan Cultures photograph collections at UTSA Libraries Special Collections. Tom brought in his archival cotton gloves, a loupe and a photo of San Antonio in 1930 that was made from a silver gelatin dry plate negative. Abe Cortez Paris Hatters Abe is a third generation owner of Paris Hatters, along with his wife Myrna. Founded in 1917, Paris Hatters is one one of San Antonio's oldest family run business that has supplied hats to everyone from the Pope John Paul II to Johnny Cash. Abe's family sells over 15,000 hats a year and he's a native San Antonian proud to call this city home. Angel Garcia UT Health Center San Antonio Angel works for UT Health Center at the Oncology Center. He was born and raised in San Antonio and can't imagine living anywhere else. 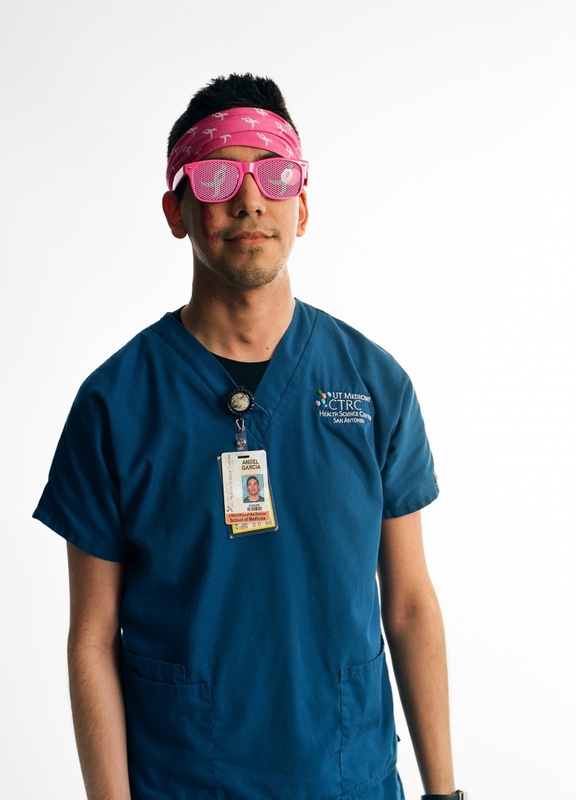 Angel described building a relationship with his patients and how hard it can be to see some pass away, but he loves his job because many go through this alone and he gets be their support. Angel told me he prays for his patients every night. I asked Angel when he decided he wanted to be a nurse and he told me that when he was 16, his mother cut her hand while trying to kill a cockroach and he instinctively dressed her wound and realized he had a knack for personal care. As Alice is a survivor of breast cancer, she is particularly sensitive to the gift of good caregivers in the San Antonio health system. Debbie Irby Abstract Artist "I always wanted to own a van Gogh. This is my opportunity." Debbie is an artist who was born and raised in San Antonio. She spent 50 years teaching earth and physical sciences, then decided to pursue a career as an abstract artist after watching a film about Jackson Pollock. 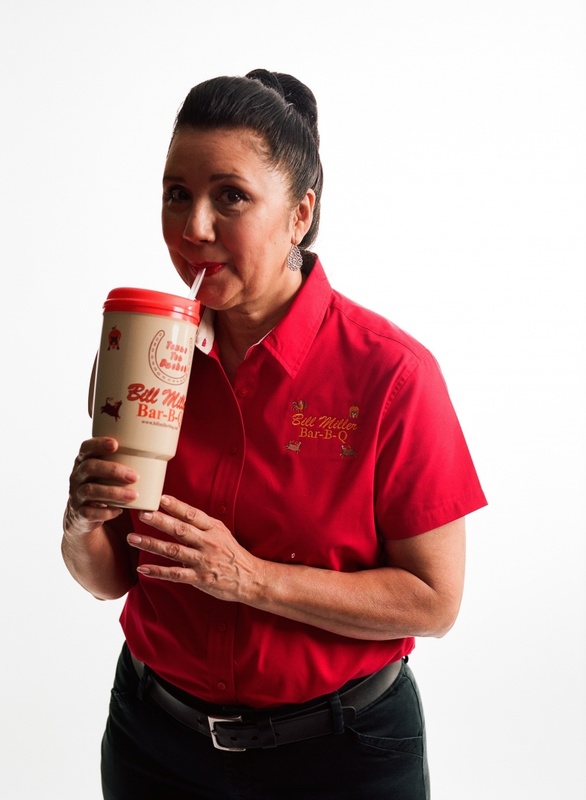 Debbie is constantly inspired by the different cultures and backgrounds of everyone in San Antonio. Josie Senn St. Paul's Montessori "The pink unicorn sweatshirt is my favorite uniform." 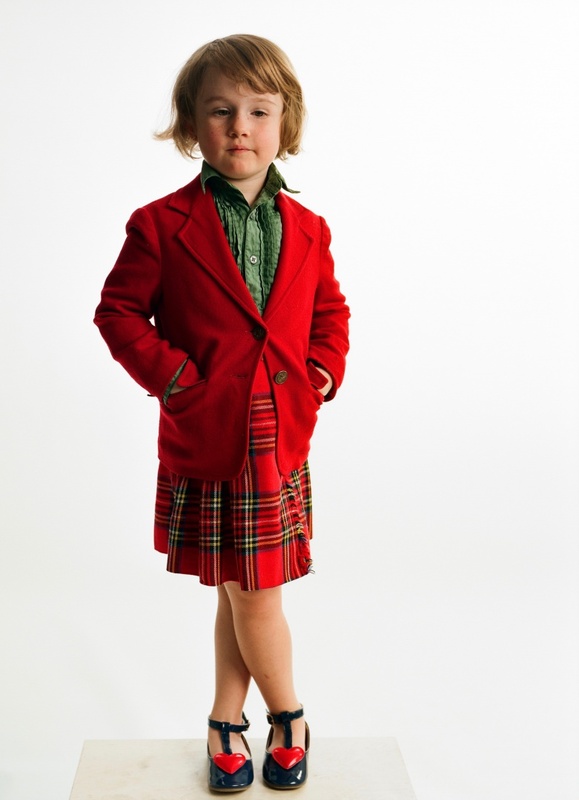 Josie is a 4 year old student at St. Paul's Montessori. She's a 12th generation San Antonian and has ancestors that are buried at the San Fernando Cathedral. She brought several different outfits to her photoshoot - a true pro. Scharlotte Bradley San Antonio Airport Ambassador "I know where every hotel in town is." Scharlotte has been living in San Antonio for over 60 years. After she retired from her career in insurance, she decided to volunteer as an Airport Ambassador. All of the medals on her vest have been given to her by people she's met through her service. Scharlotte loves being the first representative of San Antonio to many of our visitors. John Troy Landscape Architect "I'm into how people connect culturally to the landscape." John is a Landcare Architect and President of the San Antonio Botanical Garden Society. When he was growing up in Scarsdale, NY he had cowboy wallpaper in his bedroom and always dreamed of growing up to be a cowboy. Now he gets to show up to work every day wearing boots, jeans and his cowboy hat. 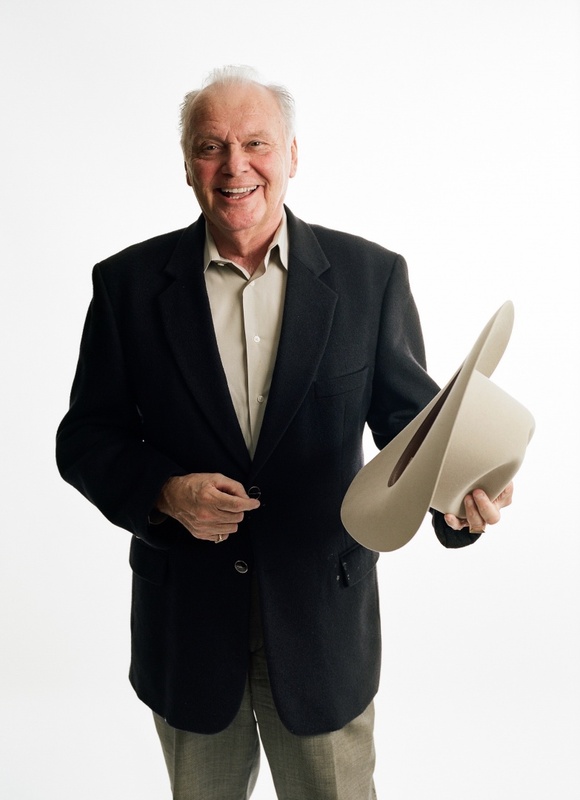 John moved to San Antonio in 1981 and fell in love with the Texas culture. 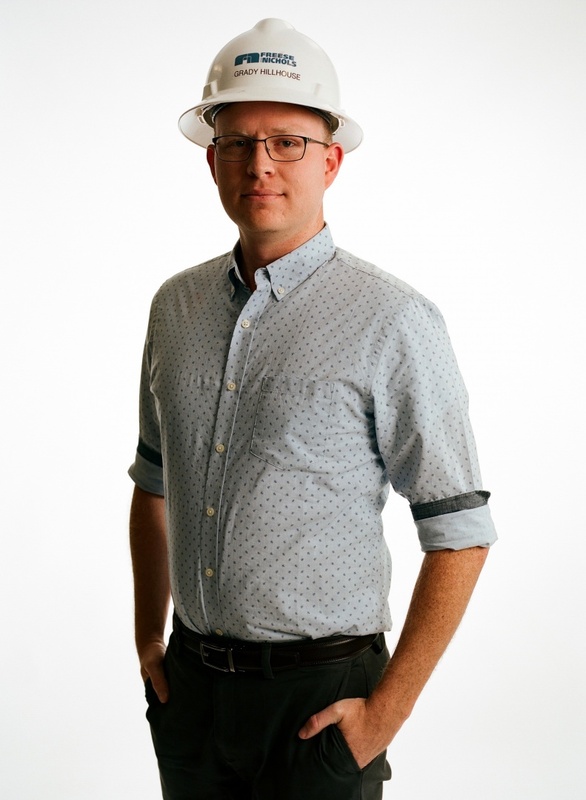 As a landscape architect, John gets to experiment with the diversity and history of all the cultures in the South Texas region and incorporate that history into his landscape work. Tamara Adira Arte y Pasion "I am a warrior and this is my armor." 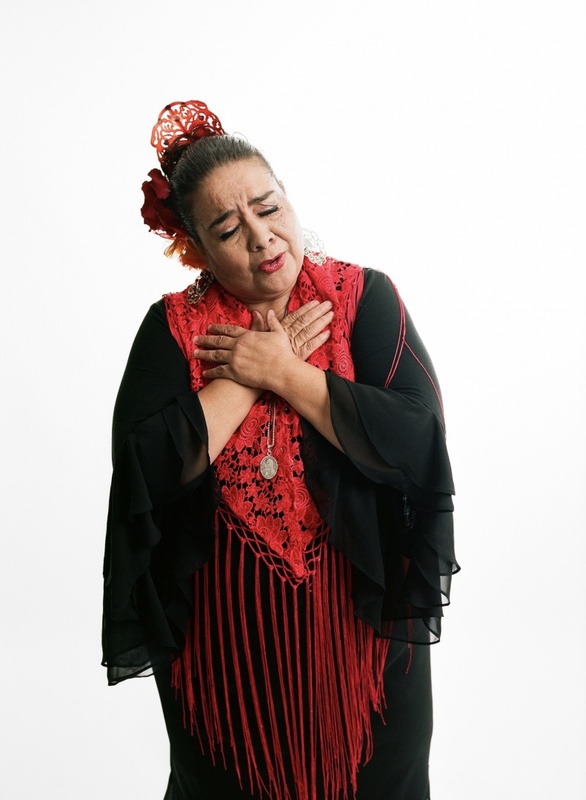 Tamara Adira is the founder of Arte y Pasión, known for being among the most contemporary of Spanish dance companies in the United States whose mission is to share and promote the authentic art of flamenco. 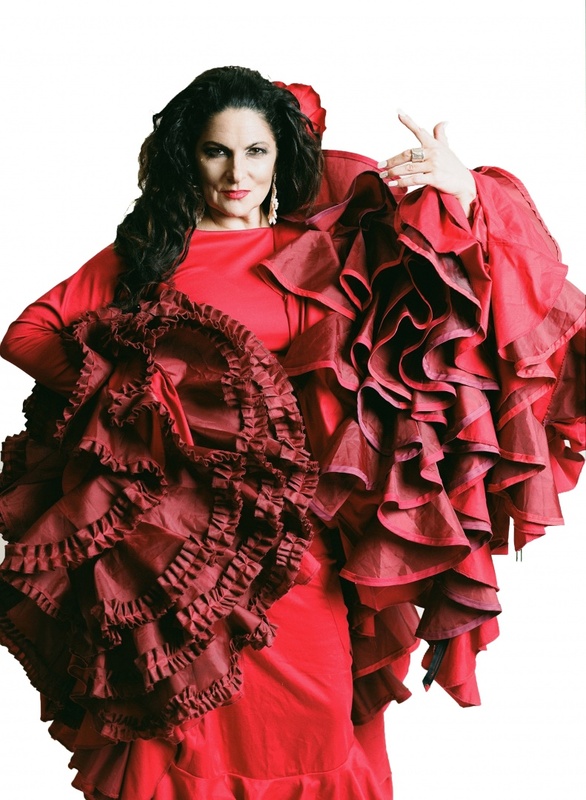 All her flamenco costumes are custom made by Lisa Perello. 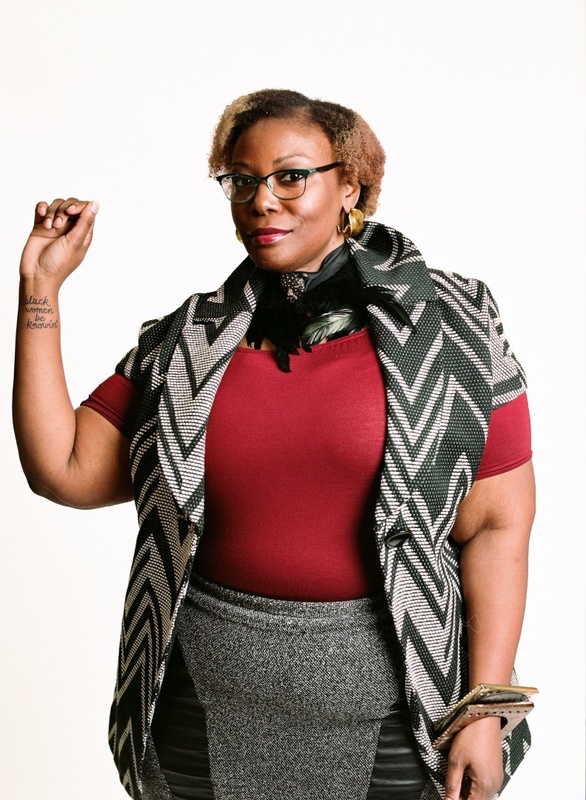 Kirsten Thompson Stylist, Personal Shopper, Fashion Show Producer "Tupac and Walt Whitman are my favorite poets." 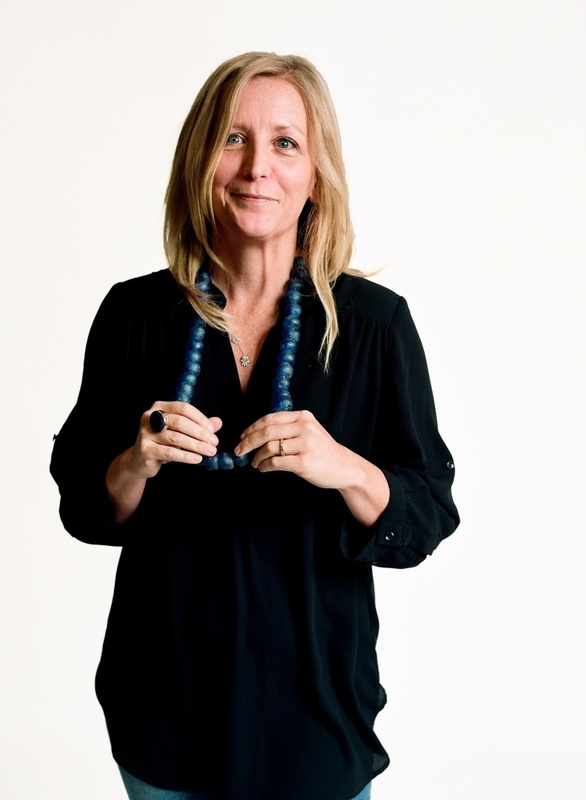 Kirsten Thompson is a stylist, personal shopper and fashion show producer. She creates her own paradigm. 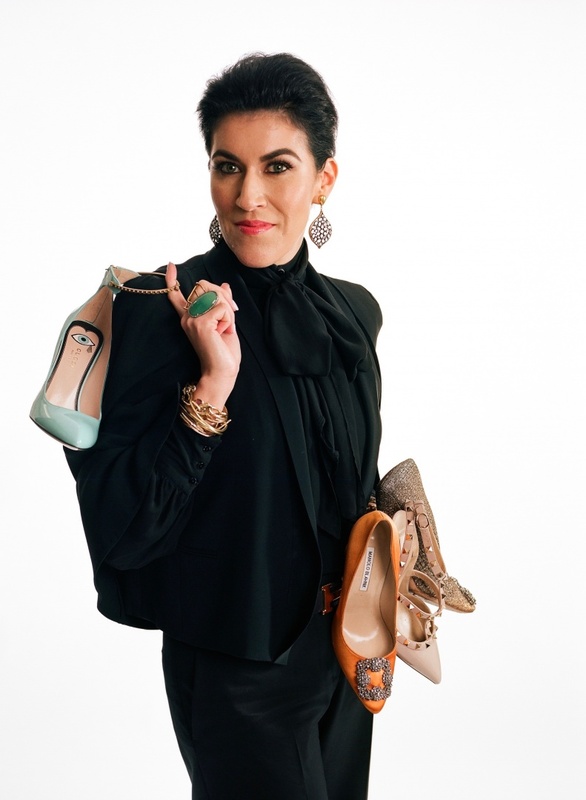 She began her work in fashion at Saks Fifth Avenue and Neiman Marcus. 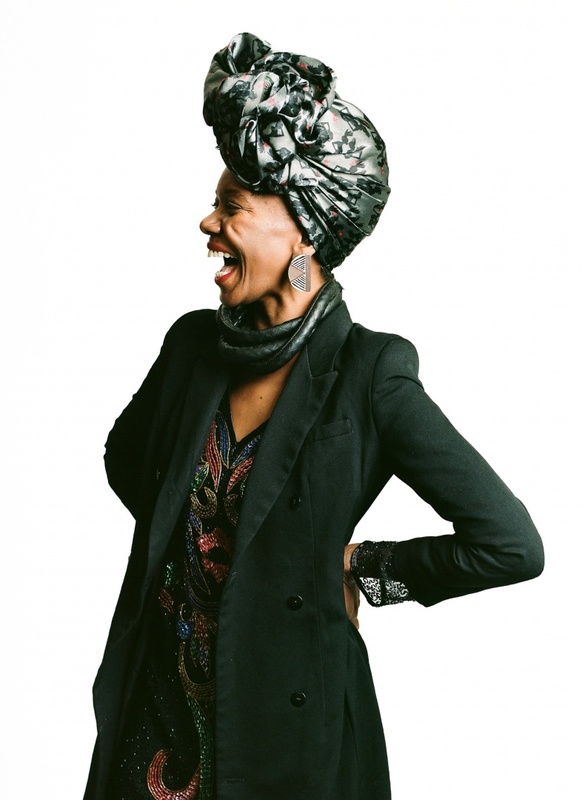 Kirsten is of Haitian lineage and many traditional styles of Africa drive her wardrobe, including her head wrap that she always wears. Kirsten is a proud and fierce single mother, and has been a huge proponent of the Uniform 300 project! Michele Jacob Visual Artist, Painter, Photographer Connectedness and restoration have always been a common theme for Michele. Michele Jacob moved back to San Antonio for her family after living in NYC and France. 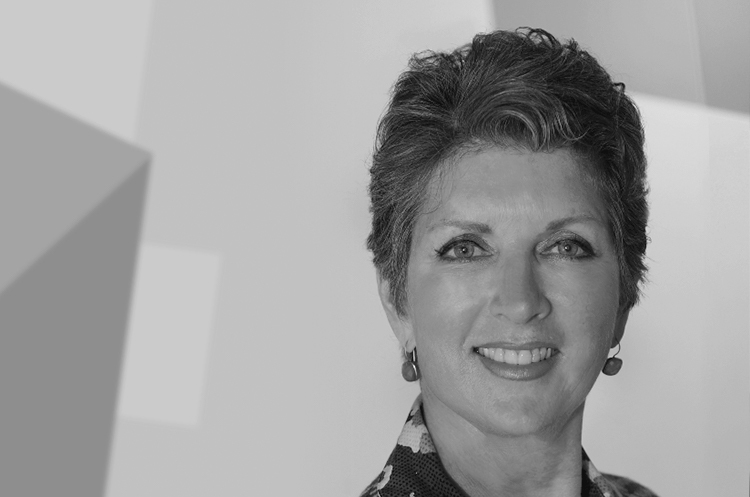 As a current board member for SA2020, Michele believes in connecting our city’s advocates and community to restore our historic downtown. 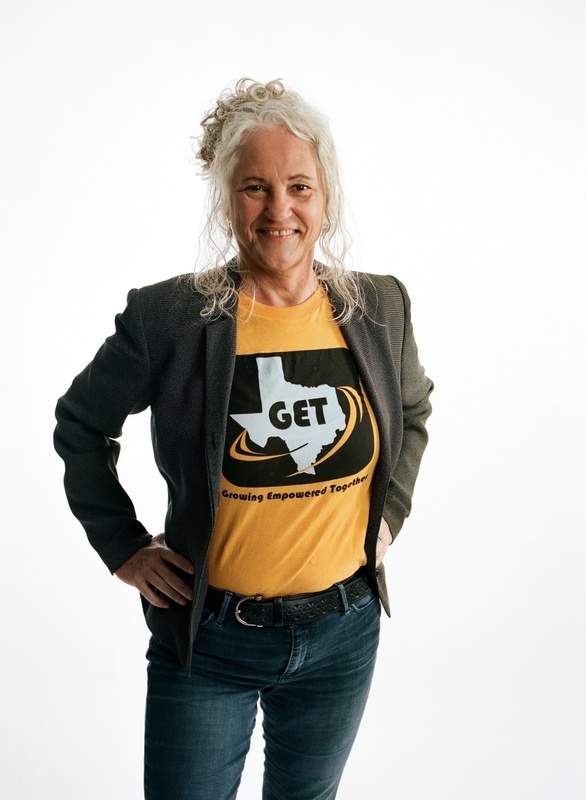 She has led as Dean of Awesome SA, been a city co-organizer for PechaKucha, fundraiser for American Institute of Architects, Centro, Dreamweek, Luminaria, Power of Preservation, and the Southwest School of Art. Most recently, she facilitated discussions with the McCullough Avenue Consortium, the “Avenue of Light” to bring existing communities together in collaborative partnerships. Currently, she and her husband are restoring an 1884 caliche limestone home in the historic neighborhood of Dignowity Hill with a grant from The San Antonio Conservation Society. A favorite quote of Michele's is Louise Bourgeois; “ Art is restoration, the idea to repair the damages that are inflicted in life, to make something that is fragmented -- to be whole.” Jacob’s new series of paintings and current artworks focus on restoration and connections. Michele’s daily uniform is streetwear complimented by her collection of handmade jewelry and a HAMSA her father gave her. A Hamsa is known as the the Hand of Mary, the Hand of Miriam, Hand of Fatima, which Khamsah is an Arabic word that means "five", representing femininity, but in Judaism also representing "the five fingers of the hand” as a reminder of the metaphorical “Hand of God”. This unified connectedness also reflects Michele’s approach to our connection through the Divine. Naomi Wanjiku Sculpture Artist Naomi Wanjiku was a teacher before becoming a full time artist in 2007. 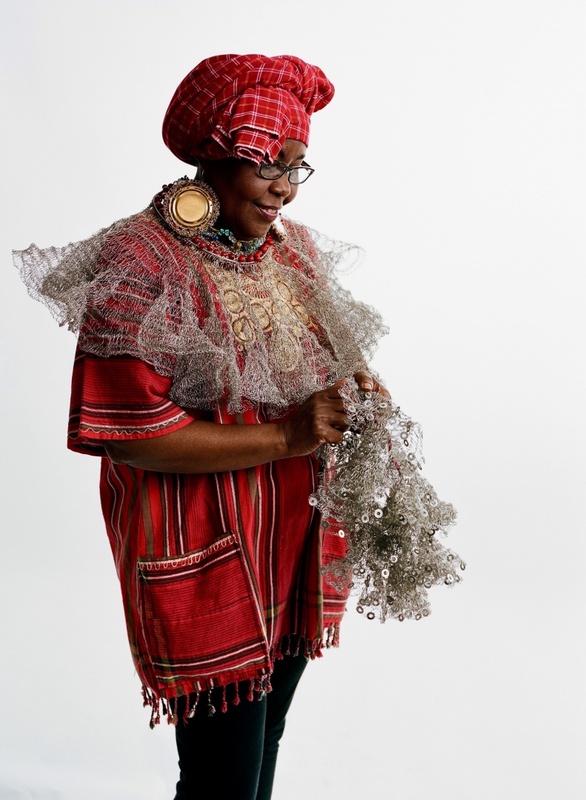 She is wearing jewelry of her own making composed of crocheted dental wire, beads and recycled can tops. In her large scale sculptures made of sheet metal, she tells the story of the empowering effect of water collection by women in Mombasa. Her garment is a kikoi, the traditional wrap worn by peasants in Mombasa. Her work has been shown at Frieze New York, Royal Academy of Arts London and many more. Kinitra D Brooks PhD Scholar, Published Author, Associate Professor of English at UTSA Kinitra D. Brooks is the Ricardo Romo Endowed Chair of the Honors College and Associate Professor of English at the University of Texas at San Antonio. She is named after Kenitra, Morocco. Her most recent book is Searching for Sycorax: Black Women's Hauntings of Contemporary Horror. Her necklace is by Thierry and her earrings are from a Northwest Ghana Fulani tribe. Dr. Brooks teaches the now viral course Black Women, Beyoncé & Popular Culture at UTSA, a course examining Beyoncé's Lemonade audio visual artwork. Dr. Brooks showed up with a fresh new tattoo in honor of black women's epistemologies reading "black women be knowin'"
Darian Thomas Musician, Photographer "The point is the music, the point isn't you. But be interesting enough to look at." Darian is a musician born and raised in San Antonio in 5 bands: Femina X, The Foreign Arms, Saturn Skies, Josh Abbot Band and Arte y Pasión. He has a degree in classical composition and minor in philosophy and plays violin, mandolin, piano, guitar and sings. As a teen, Darian got to perform at the Beijing Opera House where the crowd cheered for a quadruple encore! 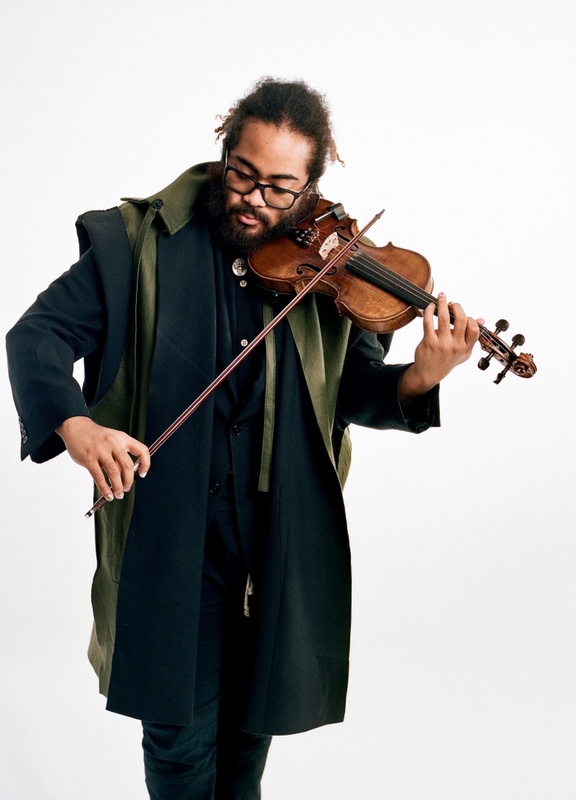 Darian showed up looking awesome in outfit styled by Kirsten Thompson and played his violin along to the Classixx record we were playing during his shoot. 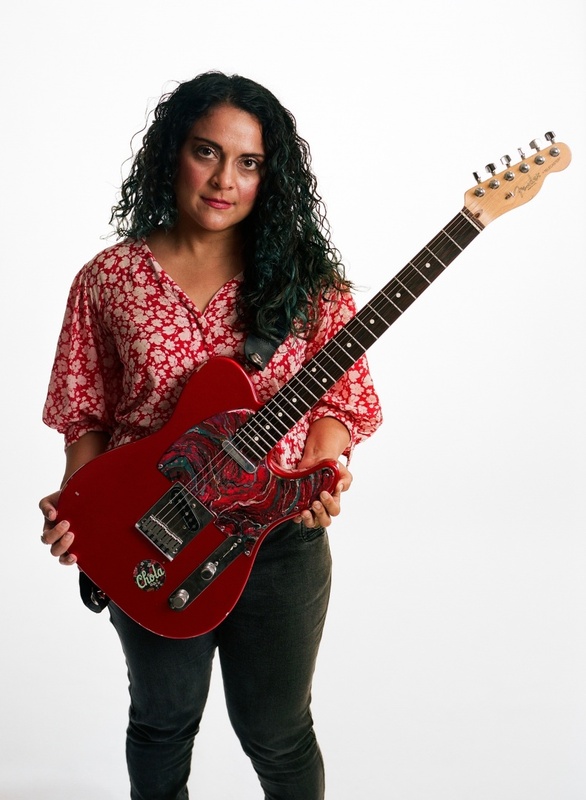 Daniela Riojas Musician, Photographer, Performance Artist "I feel that there is something strong in me that needs to be heard." Daniela is a musician, photographer and performance artist. She is the lead singer of Femina X. Daniela was born in Eagle Pass and ran away from home at the age of 18 and moved to San Antonio. 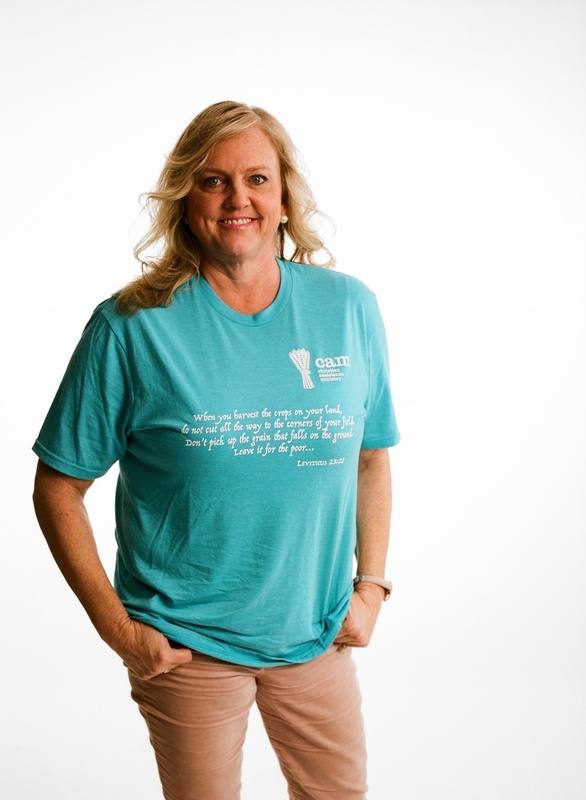 She struggled with addiction and began recovery as she got back into school. Daniella's tremendous personal growth shone through in her fierce studio session! 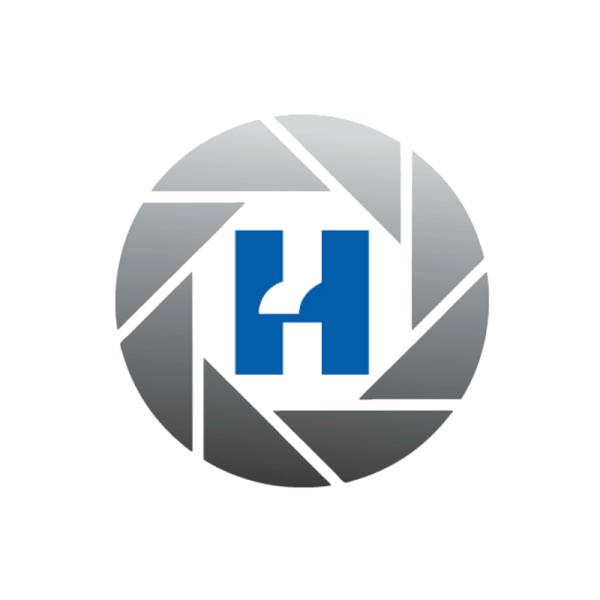 Helen Loring Dear Porter Loring Funeral Homes Helen is the President of the Porter Loring Funeral Home. She is a 4th generation family member, and the first female president of the company. In 2018 Porter Loring will celebrate it's 100th anniversary. Penelope is Porter Loring's new funeral home dog. She is only 7 months old, and the plan is to train her to become a therapy dog. She is already around the funeral home greeting people. Penelope provides comfort for both bereaved family members as well as staff members. Diego Galicia Mixtli Diego Galicia was born in Toluca, Mexico where he lived until he was 17. Afterwards he moved to San Antonio and became a short order cook at Olmos Pharmacy. He fell in love with cooking and was awarded a scholarship to the CIA. 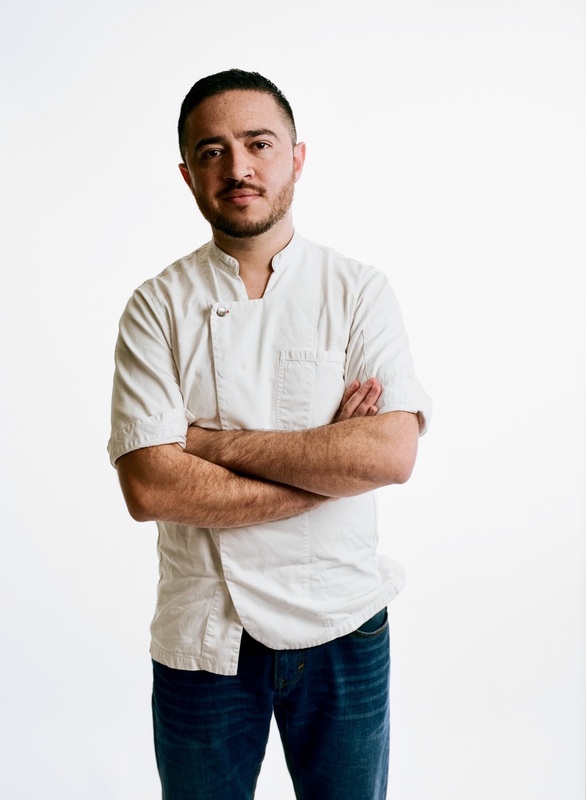 Diego studied cuisine in Mexico City, Chicago and San Francisco before meeting Rico Torres and opening Mixtli. Mixtli is named after the Nahuatl word for clouds. Their restaurant seats 12 people per night and offers a 10-12 course tasting menu based on a specific region in Mexico. Every 45 days they change the menu to reflect the cuisine of one of Mexico's 31 states. Diego and Rico made Food and Wine Magazine's Best New Chefs 2017. It's been 30 years since a chef from San Antonio earned this accolade! Rick Valdez Holt Cat "I used to ride my bike down Holt Avenue when I was small. It never crossed my mind I'd be working here 30 or 40 years later. I'm proud of wearing this uniform." Rick Valdez was born and raised in San Antonio. He was in the Army for 3 years working as a mechanic on generators. He continued to work with generators before joining Holt Cat 17 years ago. He has been working in the Components division, installing external engine parts like water pumps, starters and rocker arms. Rick loves working for Holt Cat because of the people and atmosphere, including some friends that have been there as long as he has. Fabien Jacob Sommelier "The first time I tried wine I experienced life. We were sharing big wheels of cheese and ham. Everything was wonderful." 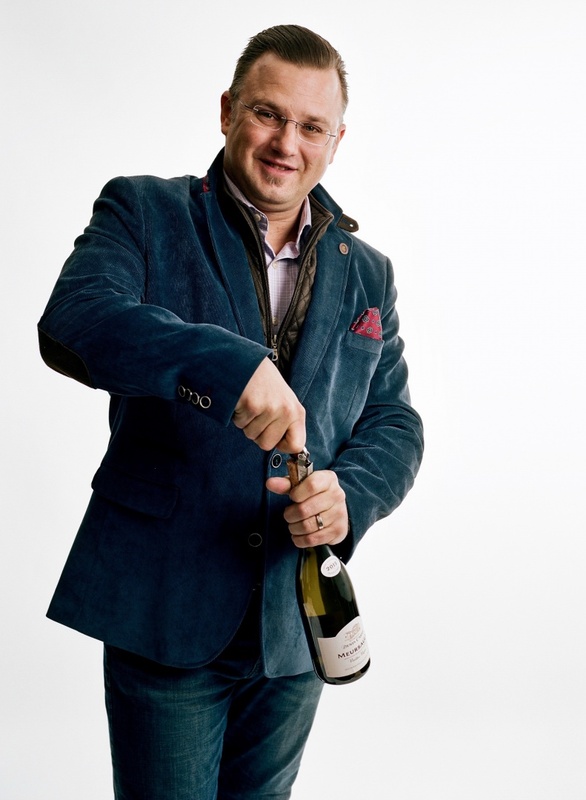 Fabien Jacob is a sommelier who was born in Lyon, France before moving to Dunkirk. His interest and training in wine began at 16. A job aboard the Disney Cruise Line brought him to America at 21. He began working in Florida with Chef Paul Bocuse. After opening and selling a successful cocktail lounge in Belgium, Fabien moved to San Antonio in 2003 to work at the Watermark Hotel. He has since worked with Andrew Weissman with Le Rêve, Il Sogno & Sandbar. His resume also includes GM at Dough and sommelier at Bohanan's. Fabien now looks forward to a career with H-E-B. He and his wife Michele have both participated in Uniform 300 and helped the project grow! Johnny Hernandez Chef "I wanted to be the go to person for Mexican food." Johnny Hernandez is a chef from San Antonio. He grew up around his father restaurant Johnny's Cafe and began washing dishes their for his first job. He got a job the high school work program at Karam's and decided he wanted to be a chef. He began working at the Marriott Hotel under the sous chef. After a year, Johnny moved to New York to attend CIA Hyde Park. Upon graduation, his life led him all over. From Las Vegas working at the Mirage learning catering to the Four Seasons in Santa Barbara and finally back to San Antonio as corporate chef for San Francisco Steakhouse. Johnny opened his catering company, True Flavors, in 1995. He has since opened La Gloria, Burgerteca, La Fruteria and acts as a consultant on a UK restaurant with 40 locations. 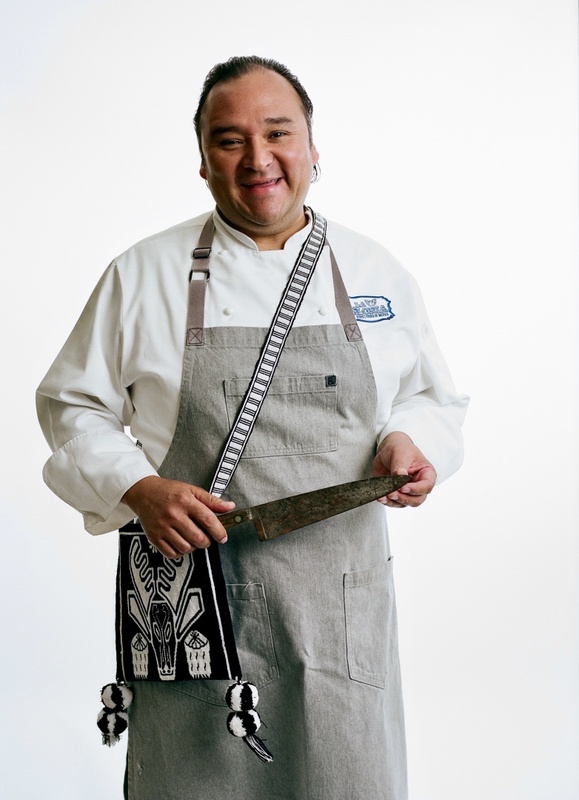 Rico Torres Chef - Mixtili "When we began Mixtli we started throwing restaurant rules out the window." 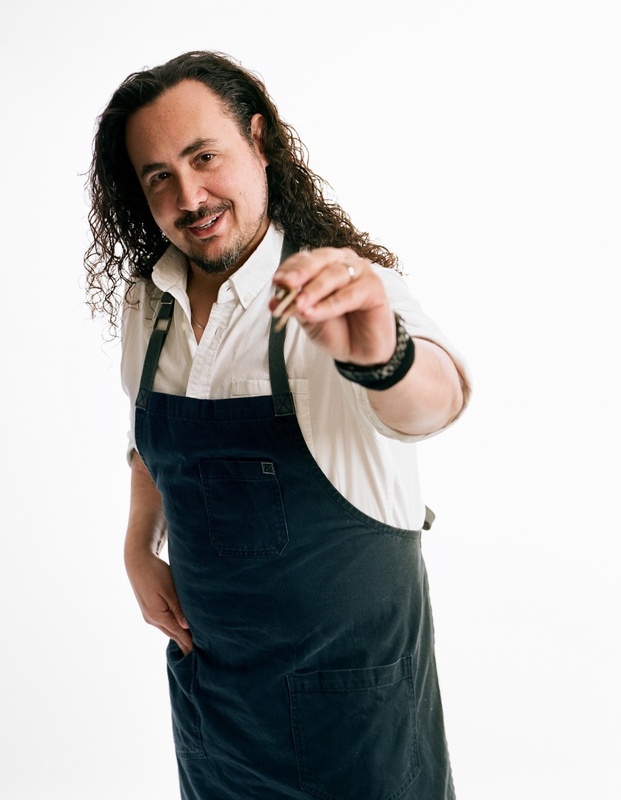 Rico Torres is a chef and restaurateur. Rico grew up in El Paso and has early memories of food at his grandmother's house bringing the family together. He began attending UTEP pursuing a Film Production degree. He has been working in restaurants since he was 14, and continued to do so in college. Upon returning to San Antonio, Rico was working for a catering company. After 1 year, he inherited this business and branded it Rico Caters in 2003. Rico successfully grew this company and began looking for something else. He and 9 other chefs began a chef co-op whereupon he met Diego Galicia. Rico and Diego both share Mexican ancestry and conceived the restaurant Mixtli. Rico gets inspiration from over 3000 rare Mexican cookbooks dating back to 1789 that are housed at UTSA. Although they have been open 5 successful years, Rico says they have barely scratched the surface that Mexico's culinary history provides them. Candid Rogers Architect "The South Texas vernacular influences my work. Things like swimming in the Nueces River growing up. Candid Rogers is an architect born and raised in San Antonio. His family has a 300 year history in San Antonio, being amongst the original Spanish settlers. Candid's father was small scale builder so he grew up with that influence. Candid began studying in Spain in the late 80's to get in touch with his roots. He came back to Austin, and eventually back to San Antonio where he worked for Lake Flato for 5 years. Afterwards, Candid decided to focus on smaller scale projects and teaching. He is an Adjunct Faculty Member at UTSA and has led study abroad programs in Madrid for 10 years. Candid designed Bliss Restaurant in Southtown, the Micro House in Marfa and many other projects. Laurence Seiterle Zurich Properties Laurence Seiterle is a native San Antonian with Zurich Properties. He is of Swiss and Dutch decent. Laurence grew up helping with the properties as a janitor. His first real estate deal was renting out Lucky's Tattoo Parlor. Twelve years later he was able to buy the property. His family has been a big proponent for the historic properties downtown and saving several structures. Laurence also is carrying the torch for development and helping San Antonio to become a world class city. Zurich Properties have been involved in saving several historic structures on Historic Houston Street and investing in our downtown at times when others didn't. He also knows what every key on this key ring opens! Chayito Champion Flamenco Singer "I'm not counting time. I feel it in my heart." 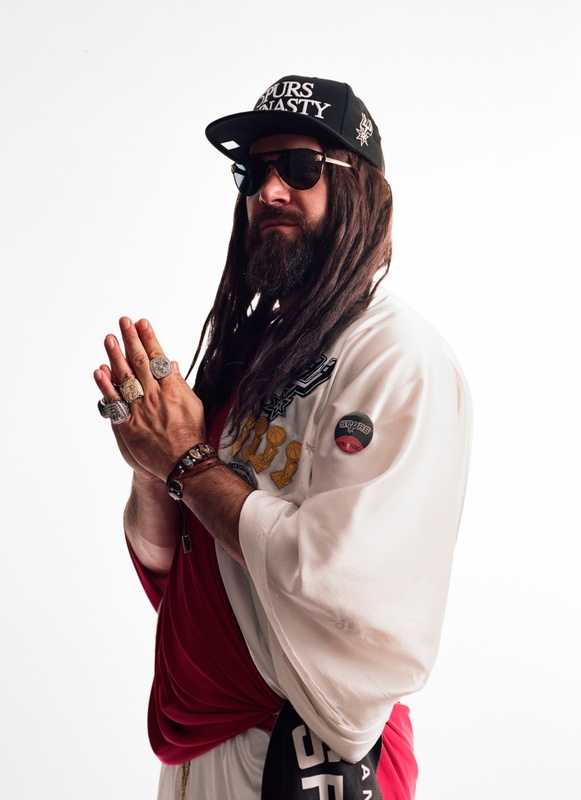 Chayito Champion was born and raised on the south side of San Antonio. She is a 3rd generation San Antonian. 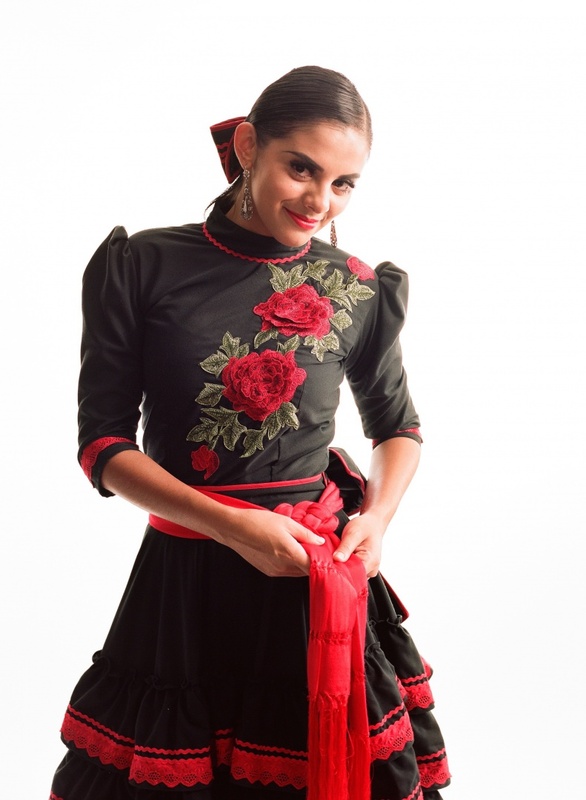 She comes from a Flamenco background, as both of her parents are Flamenco artists. She began singing at the age of 5 while her mother danced, and earned her first paycheck for performing at just 6 years old! Chayito has gone on 2 world tours with Jose Greco. 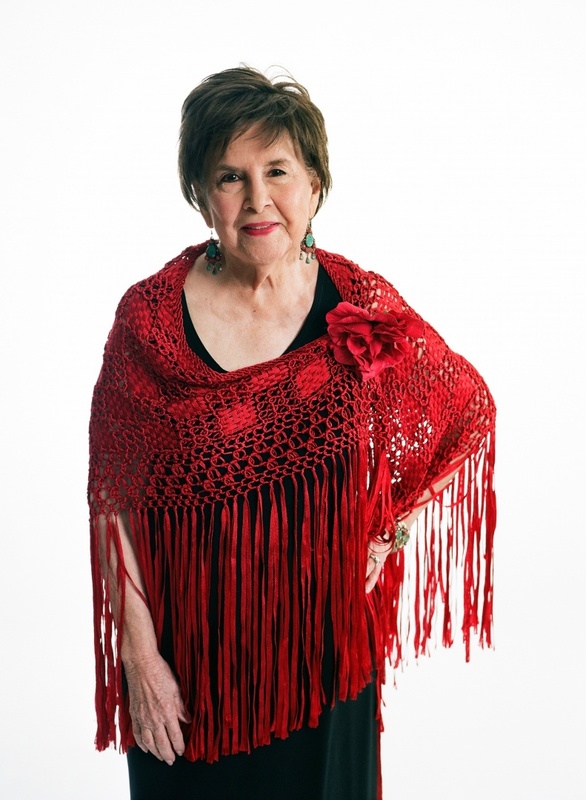 She currently teaches flamenco dance and vocal lessons to the future generations. Kathy Armstrong Executive Director of Luminaria "We need to see the investment in our arts increase." Kathy Armstrong is the Executive Director at Luminaria Contemporary Arts Festival and a Board Chair of Planned Parenthood South Texas. She was raised in Philadelphia and studied film and photography in college. Kathy taught photography at Southwest School of Art when she first moved to San Antonio. Since then she has been very active in both San Antonio's art community as well as in social issues. She has helped grow Luminaria into a festival that has featured over 3,000 artists and boasts over a million attendees. Kathy was pleased to announce that Planned Parenthood South Texas just rolled out a fertility assistance program. For her portrait she wore a dress designed by local designer Blanquita Sullivan. Andrea "Vocab" Sanderson Poet/Juvenile Detention Officer "A passion of mine is to create platforms to empower other people." Vocab Anderson is a poet, rapper and Control Room Operator at the Bexar County Juvenile Detention center. Vocab has spent her whole life in San Antonio. When she was 13, Vocab's best friend was murdered by her boyfriend. Vocab wrote a poem for the memorial service. This was the beginning of her poetry career. Vocab put on a concert while attending Madison High School that was a huge success, and she found a place of passion where poetry and music overlap. 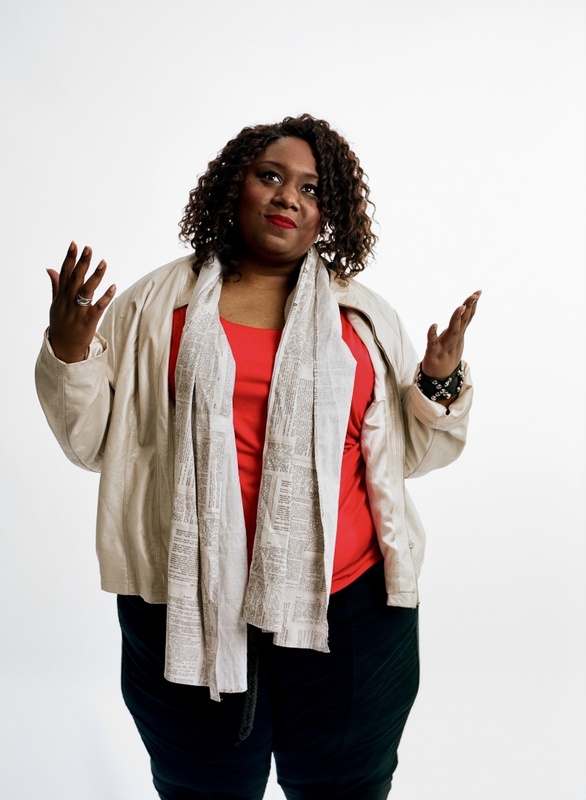 She began performing at open mic nights in 2001, practicing slam poetry in 2005 and shortly thereafter she was performing with a rap group doing regional shows and touring the country doing University shows. Vocab has performed for the troops in Abu Dhabi at Al Dhafra Base. When Vocab isn't turning raw emotion into words, she works as a Control Room operator at the Bexar County Juvenile Detention center. She is fueled by the desire to introduce children to the arts. Weldon Lewis Tattoo Artist/Owner at Mr. Lucky's Tattoo "You have to be determined to be a great tattoo artist." Weldon Lewis is originally from New Orleans. He moved to San Antonio in 1988. He played music in a punk band in high school, and after he graduated he attended SACC to study design. 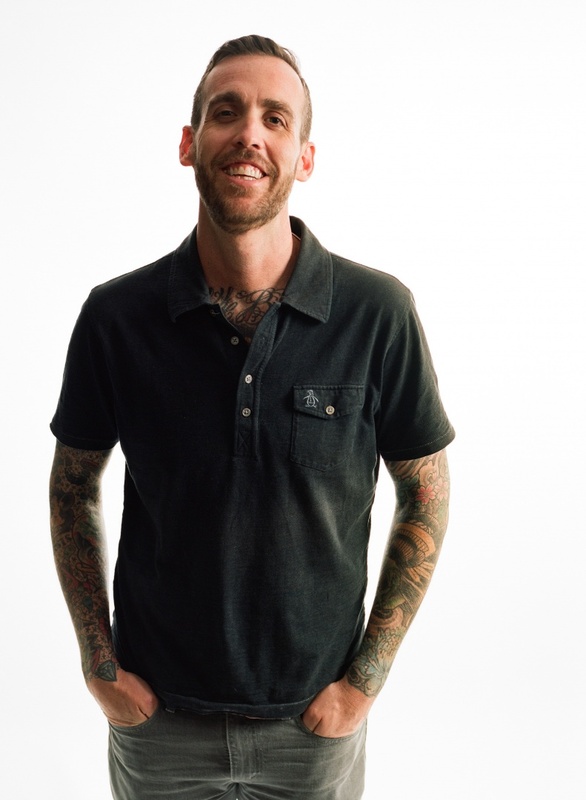 Weldon got his first tattoo at 19 and realized tattooing is something he wanted to pursue, as he loved the clear goals of tattooing. He worked as an apprentice at Perfection Tattoo for 6 years. Tattooing was illegal in San Antonio until 1998, and they operated around this by classifying their space as an "art studio." In 1998, Weldon opened his own shop, Mr. Lucky's. When Weldon isn't tattooing he is at home spending time with his 3 year old daughter. 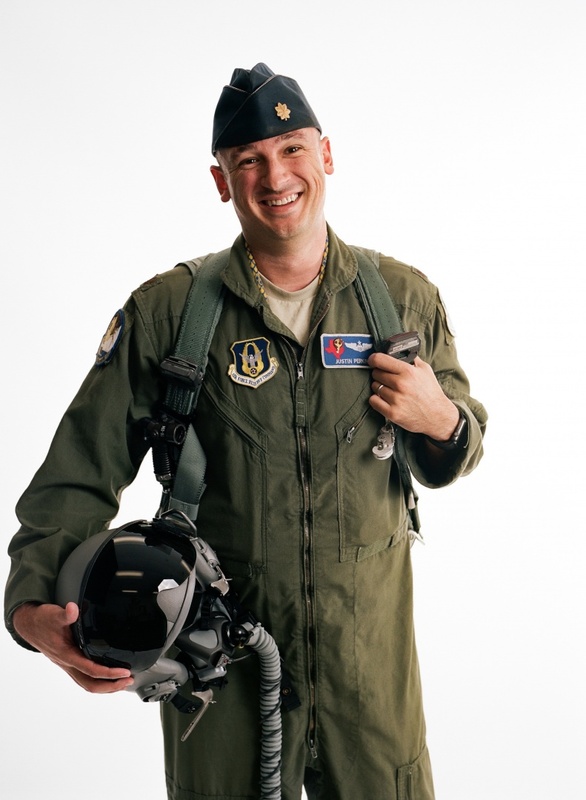 Justin "Wimpy" Perkins United States Air Force “I’m lucky enough to have the best view of The Alamo City every day.” Major Justin “Wimpy” Perkins is an Air Force pilot with over a decade of flying experience. He joined the 39th Flying Training Squadron (known as the Cobras) as a reservist last year at Joint Base San Antonio Randolph flying the T-6A “Texan II”. Just first was stationed in San Antonio in 2011 and fell in love with he city because of the diversity, food, culture and history. He and his wife decided if they were ever give the opportunity to live in San Antonio, they would take it. They are now happy to call San Antonio home. Walker Carrington San Antonio Academy Walker Carrington is in 5th grade at San Antonio. 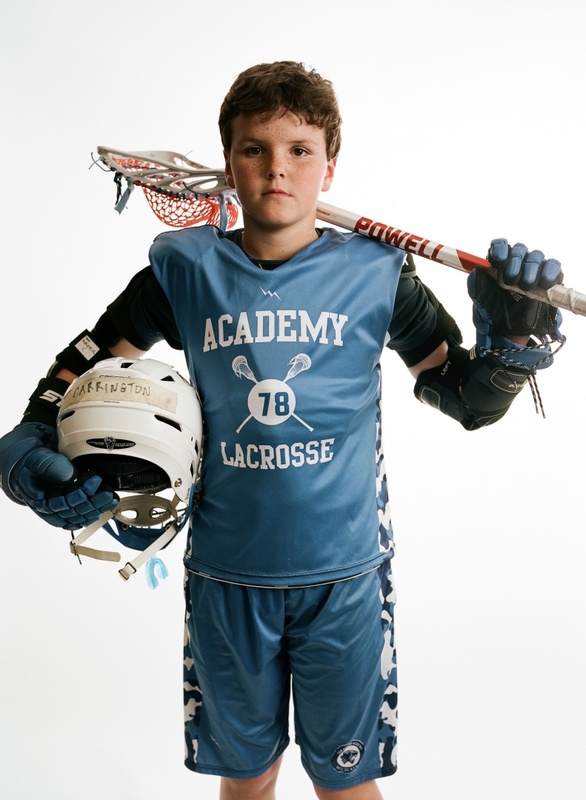 He has been playing lacrosse since 3rd grade. Walker is a midfielder. He has been attending SAA since pre-k. Walker is my nephew and has had many of the same teachers at the Academy that I had 20 years ago. Go Wildcats! Sloan Carrington St. Mary's Hall Sloan Carrington is a 3rd grader at St. Mary's Hall. This is her first year. She is my niece, and is happy to be at such a wonderful school. She loves the teachers and the food, especially spaghetti. She likes the extracurricular activities and she plays basketball. On Mondays, Sloan's uniform requires a black cardigan, a middie, knee socks, a purple tie and saddle shoes. Pastor Donte R Banks Pastor God Chases Community Church "I'm a son of San Antonio." 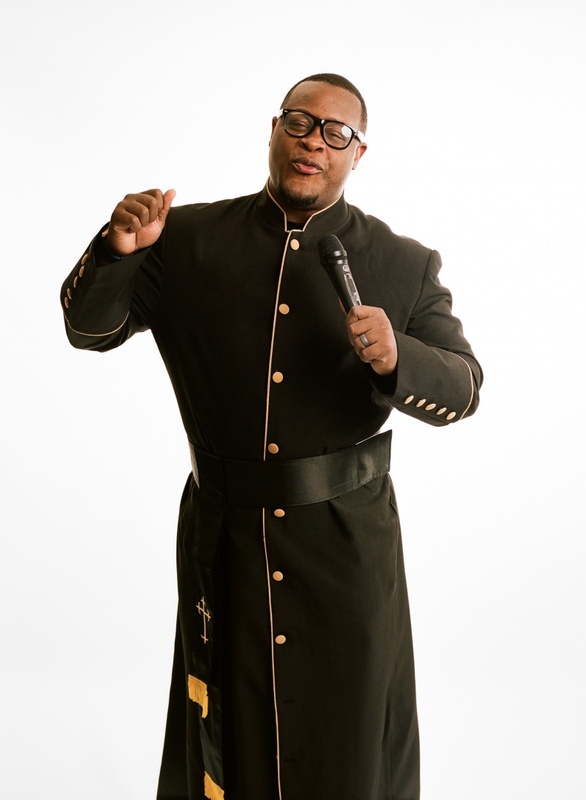 Pastor Donte R Banks grew up on the East Side of San Antonio. Both of his parents were on drugs during his childhood. When he was 10, Donte watched his father get sober and become a Pastor. He saw what the power of Jesus could do for someone. Donte then felt what it is like to be raised with hope and faith amongst chaos. Donte had his first child at 17, and felt he needed to correct his path, so he joined the Army and moved to Seattle with his wife. Leaving everyone and everything he knew behind was a challenge for Donte and his family, but it helped him learn to live righteously. Donte's second child was born he was 20, and shortly thereafter he and his family came back to San Antonio. Donte started God Chasers Community Church in 2014. His goal was to introduce God to people without the predisposition of religion. In April, the church will celebrate it's 4 year anniversary, and now has over 160 weekly members. According to Pastor Banks, at God Chasers Church, "we don't worry about the method, we worry about the message." Golden Skyy Fashion Designer "Designers pull from tragedy. That's a way of expressing oneself." Golden Skyy started his Fashion Design career at a very young age. His mother was a 3rd generation master seamstress and his father was a 4th generation tailor. He has studied fashion at In 2013, Golden Skyy lost his parents, grandparents and step siblings in a car accident. He uses the pain he experienced as a motivation and inspiration for his designs. Golden Skyy won the award for Women's Designer of the year at the San Antonio Fashion Awards. He is working on debuting his capsule collection. Brother Edward J Loche Brother in the Society of Mary "I saw the goodness of the Brothers and wanted to become one." Brother Edward J Loche is a Brother in the Society of Mary, a 200 year old Catholic religious order. 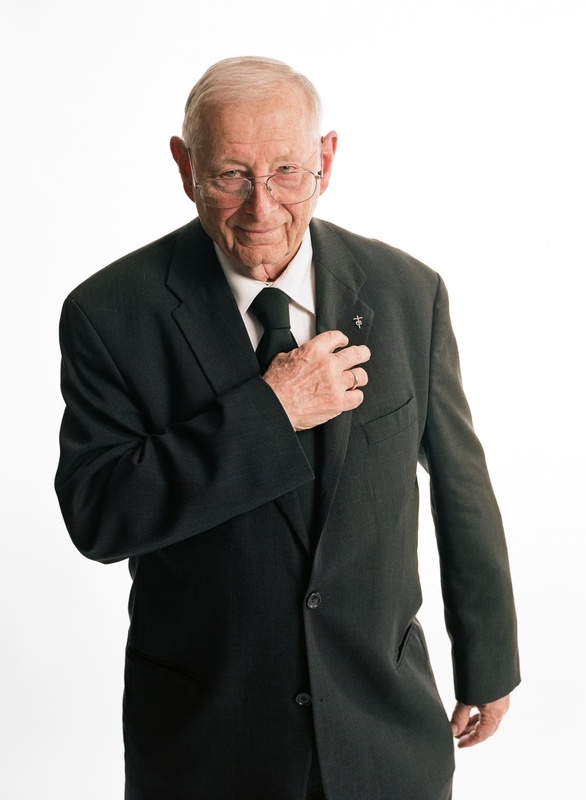 In April Brother Ed will celebrate his 60th anniversary as a brother. Brother Ed was born in Milwaukee and decided he wanted to become a Brother at the age of 17. Because he is bilingual, Brother Ed moved to San Antonio to be in charge of the archiving of religious records dating back 300 years in San Antonio. These include baptisms, marriage certificates etc. Brother Ed wears a golden ring on his right hand to signify his commitment to the Brotherhood. Kelly O'Connor Artist "I'm all about strong women." Kelly O'Connor is a native San Antonian. After studying at University of Texas Kelly interned at the Chinati Foundation in Marfa. She then came home and began interning for Art Pace before becoming Linda Pace's studio assistant. Kelly has been working for the Pace Foundation for 12 years, and has also been producing her own work since then. Kelly's work is collage and instillation based. Kelly's work examines American landscapes and ideas that may appear positive on the surface but there is always a "wizard behind the curtain." Pace Foundation has an upcoming show beginning March 9th entitled "Reclaimed" that will exhibit Linda Pace's personal collection by female artists with a monochromatic theme. Kelly just had solo shows in Albany and Marfa, and has an exhibition soon at Vaudeville in Kerville. Kelly's uniform incorporates a Chanel skirt and knee sleeves that she uses for cross fit. Sarah "Elly L" Faulk Fashion Photographer "I've always had a camera on my hip. My mom says she knew I'd be a photographer." Elly L is a fashion photographer that has been living in San Antonio the last 4 years. She graduated from the Art Institute of San Antonio in June 2016 and has been working on identifying her next project. Elly wants to exhibit at a gallery a body of work she has conceptualized called "Hung" dealing with the issues that people get hung up on. Her first two ideas incorporate alcohol and suicide or self-inflicted pain. Chris "The Barber" Zepeda Barber "People knew me as the guy to go to to get a pompadour. Then my boss coined me the 'Pompadour King' and I ran with it." 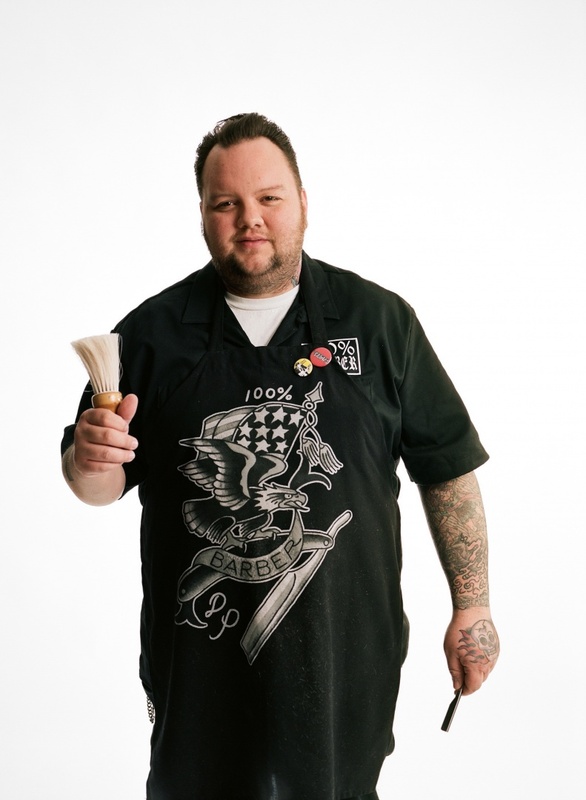 Chris The Barber was born and raised on the west side of San Antonio and graduated from Fox Tech High School. At 19, he was a touring roadie for the rockabilly band Cave Catt Sammy. Chris embraced his faith in his early 20's and ended up working at a Catholic bookstore for a while before becoming interested in becoming a barber. Chris was getting pompadours in the 90's from an old barber in San Antonio. After he retired, Chris decided to get his barbers license and pursue it as a career. He has now been barbering for 14 years and specializes in traditional barbering and men's haircuts. Rich Aste Director McNay Art Museum "Access to beauty through the visual arts is not a privilege. It's a right." 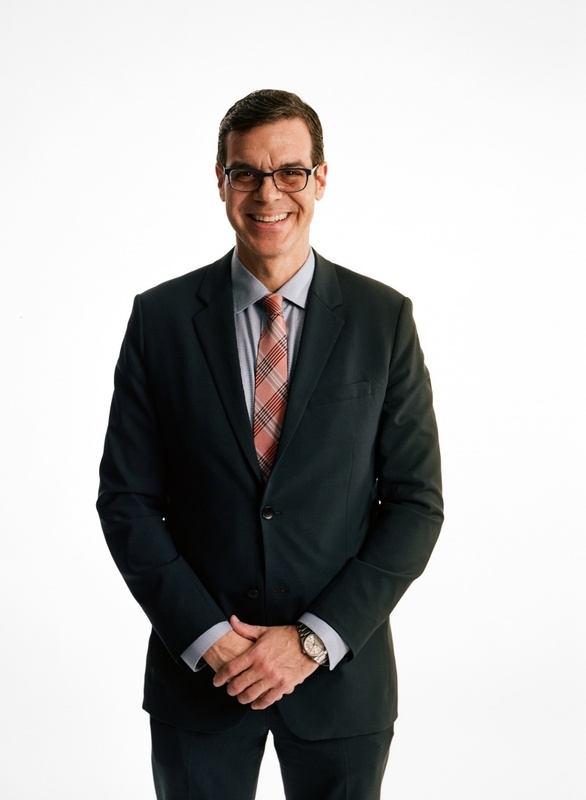 Rich Aste is the Director of the McNay Art Museum. He was born in Lima, Peru and his family moved to Miami during a military coup. 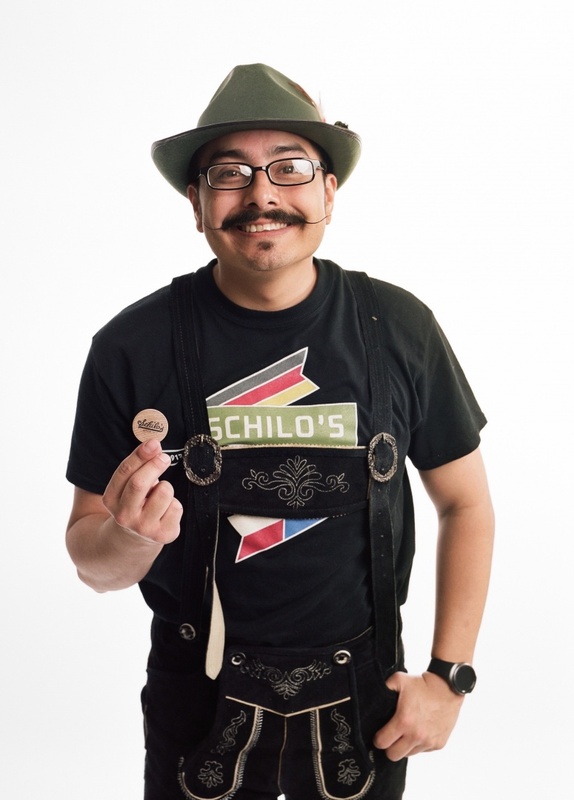 Rich is a 3rd generation Peruvian and Bolivian with origins in Germany and Italy. His interest in art began during family summer trips to Europe and Latin America. Rich's mother was passionate about Italian Renaissance art and his father was an abstract expressionist painter. Rich remembers observing how peaceful his father was while painting. While this all influenced a love for art at an early age, Rich studied Psychology at University of Michigan as he wanted to be a therapist. 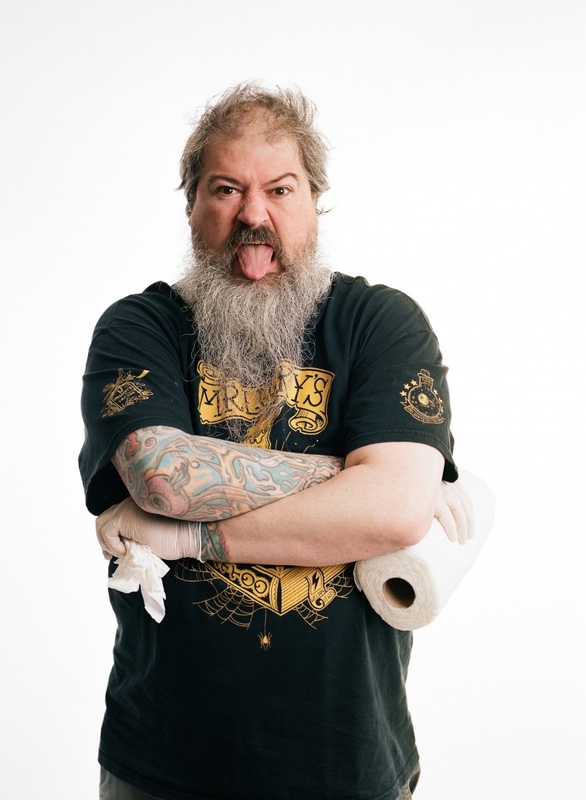 After some time working in psychiatric wards and VA Hospitals, Rich decided on a career change. He went back to Miami and began take Art History courses before heading to Hunter College in New York and pursuing his PhD. 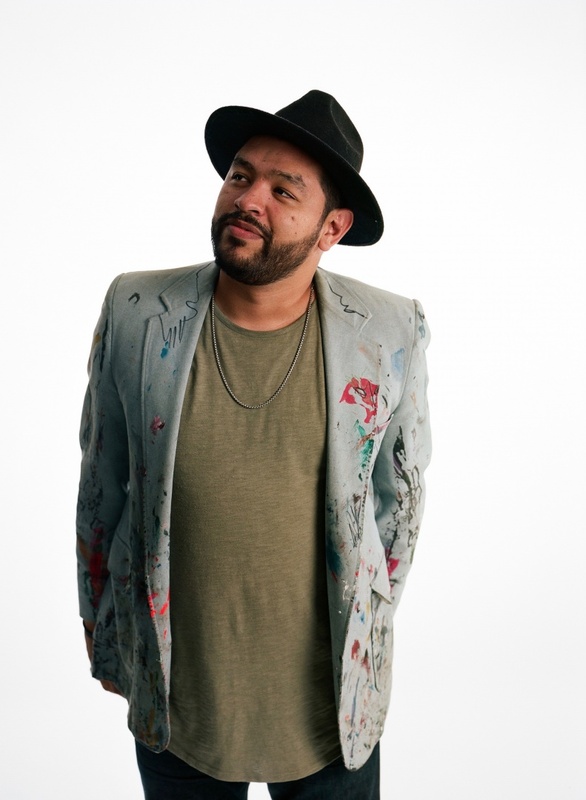 Rich has lived and studied in Florence, served as Associate Curator of European Art at the Museo de Arte de Ponce, Puerto Rico and Curator of European Art at the Brooklyn Museum. Rich is proud to now call San Antonio home. With the McNay, Rich has a goal for "the inside of the building to look like the outside." His focus is on insuring the entire community has access to and is represented by the art. Rich and his partner Max have loved getting to know San Antonio more intimately. Hillarey Jones Pace Foundation "The San Antonio art community is very cool and has welcomed me with open arms. Everyone has been very supportive. You don't get that in other cities." Hillarey Jones is the Archives and Social Media Manager for the Linda Pace Foundation. She was born in Philadelphia and studied in Connecticut before moving to Paris to complete her undergraduate degree. Hillarey got her Master's Degree in Curatorial Sciences at the Ecole du Louvre. She spent the next several years traveling the world and working, from South East Asia to Saudi Arabia, St. Maarten to Berlin. Hillarey resumed her art career in Berlin at some contemporary galleries. Afterwards, she moved to San Antonio and began interning at Blue Star before joining the Linda Pace Foundation. This March, she is excited to a part of the "Reclaimed" show, depicting some of Linda's work by female artists. Hillarey will also be curating her own show called Projets Dissolvants featuring Parisian photographer Catalina Sour Vasquez. Shokare Nakpodia DreamWeek "We believe the truest voice will triumph." Shokare Nakpodia was born in Lagos, Nigeria. He left home to attend school at the age of 10, ending up in London for High School before attending the University of Leeds. When Shokare was a senior, his father was killed in Nigeria. His life rapidly changed course, and Shokare ended up moving to New York City to pursue a writing career. He was exploring different visual arts and driving a taxi cab. His first ever gig as an illustrator was having one of his illustrations published in the New York Times. Shokare started working in marketing before moving to San Antonio in 2002. He started the design studio The Mighty Group and began doing print and digital design for local businesses such as Biga on the Banks, Le Reve and the SA International Airport. After successfully growing his company, Sho asked himself what he really wanted to do in life. 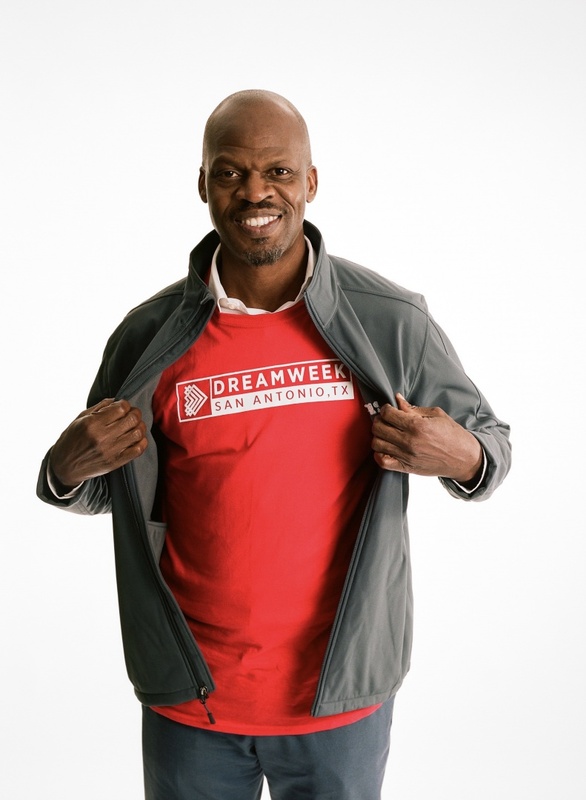 He came up with DreamWeek, with a mission to advance the teachings of Dr. Martin Luther King, Jr. and other great humanitarians like him – by proliferating and modernizing their aspirations of a more equitable and enlightened society for all. DreamWeek represent tolerance, diversity, equality and aims to give everybody a platform and a voice. Shokare was explaining to me the concept of "one voice:" "one voice is to speak from your heart no matter who you are speaking to." Lauren Browning GET (Growing Empowered Together) "The best thing that you could do for yourself right now is to get more engaged in our community." Lauren Browning was born in Miami and raised in Austin. She was a research scientist for NASA working on the US Nuclear Regulatory Commission. She left this field of work after encountering gender discrimination, and became a sculptor. 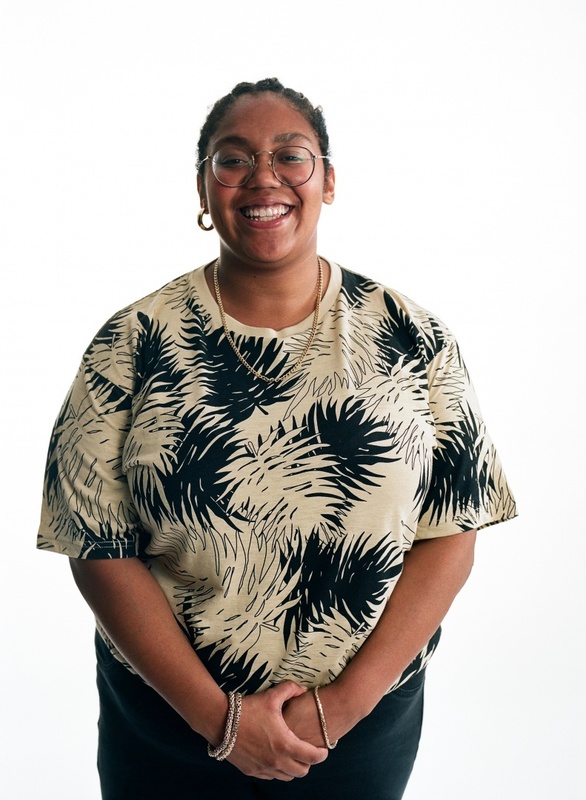 Lauren became interested in what is happening in our community, and started the nonprofit GET (Growing Empowered Together), with a goal of motivating young people to vote and volunteer and encourage civic engagement. GET places emphasis on putting civically engaged people in the spotlight, rather than just registering voters. GET's platform for putting people in the spotlight is a biweekly TV show "Millennial Matters." Lance Avery Morgan Society Diaries/Brilliant Magazine "We understand the importance of Texas' past but look forward to the future and the people that are going to shape it." Lance Avery Morgan is a 6th generation Texan. His family helped settle Fredericksburg. Lance was raised in Austin and attended University of Texas where he studied Advertising. He then moved to LA and worked in TV, writing and producing for several networks and doing celebrity PR. Lance decided to move back to Texas in 2000. He started Brilliant Magazine in 2003, with a mission to "inspire, celebrate and elevate others." Brilliant moved to an all digital publication in 2010, and Lance started The Society Diaries. The Society Diaries focuses on how philanthropic efforts are helping our state. Lance wore his tuxedo to our shoot, explaining "my office is the ballroom." 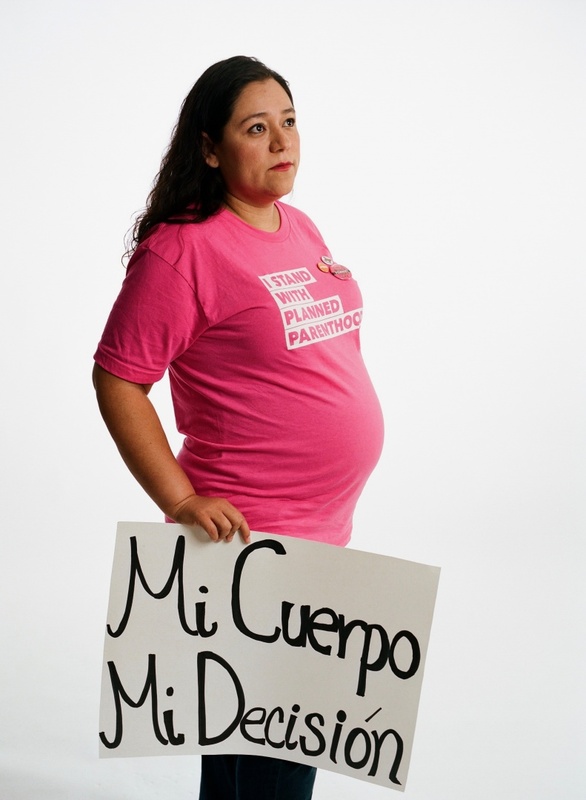 Mara Posada Planned Parenthood "Every right we have, from women's voting to desegregation, has come from thousands coming together and insisting we can do better." Mara Posada was born and raised on the west side of San Antonio. She attended Holmes High School and was interested in theater at a young age. This was Mara's first exposure to activism. Mara attended Stanford University where she majored in English. She returned to San Antonio and did PR for Bromley Aguilar. In 2006, Mara joined Planned Parenthood as a grant writer, and has since moved on to communications and public affairs. Planned Parenthood has been in San Antonio for 79 years and has a great relationship with the San Antonio community, but there is always more work to be done. Amy Pikler San Antonio Symphony "Just being involved in the San Antonio symphony has helped me grow a lot." 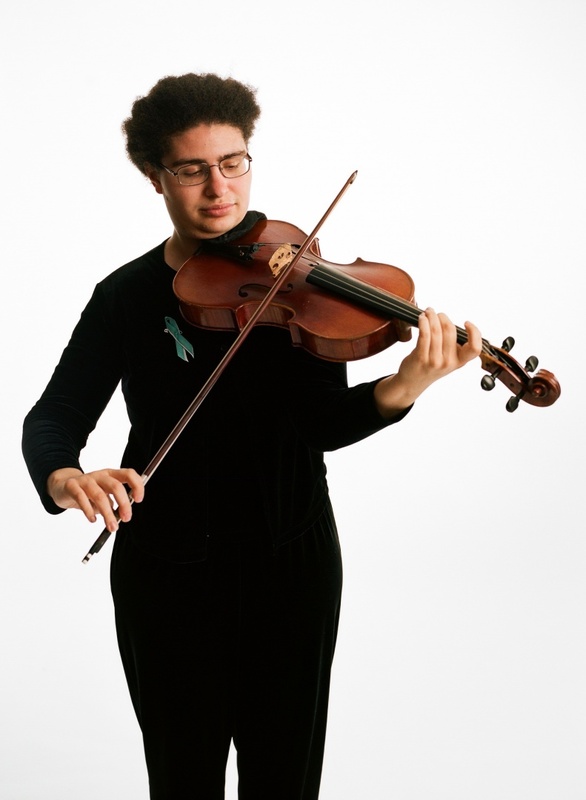 Amy Pikler is a Chicago area native who began playing violin at the age of 5. Amy's father was the principal Violist of the Chicago Symphony and her mother was a music teacher at public schools. Amy became interested in the recorder in 3rd grade, and for 9 years she played both violin and recorder, taking lessons for both every week. As a teenager, she fell in love with the Viola, and switched her focus to that instrument. Amy majored in Viola at the University of Michigan and join the New World Symphony in Miami after college, a program which helped her find a home at the San Antonio Symphony. 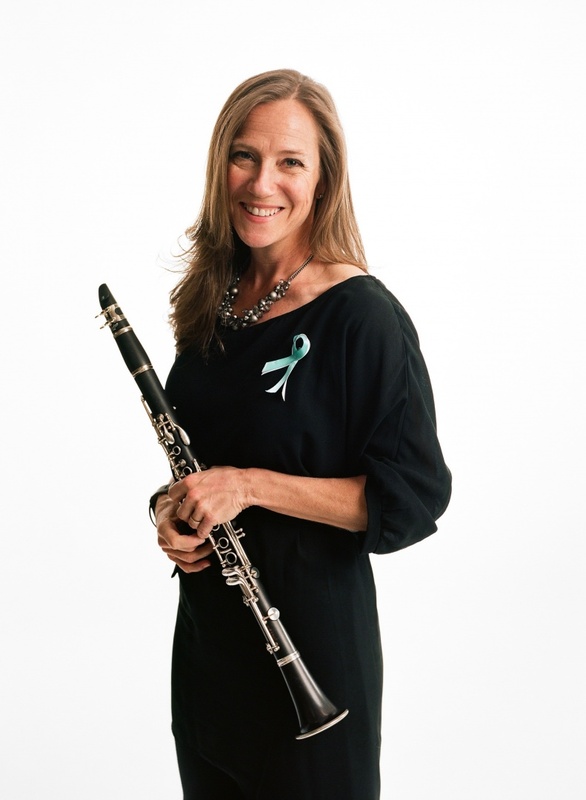 Amy is wearing a teal and white ribbon to show her support of the Musicians of the San Antonio Symphony (MOSAS). Alejandra & Alyssa Ordónez Whataburger "We have our regular customers. One man comes in every morning for breakfast and asks to see us. Another woman always brings in fruit cups." 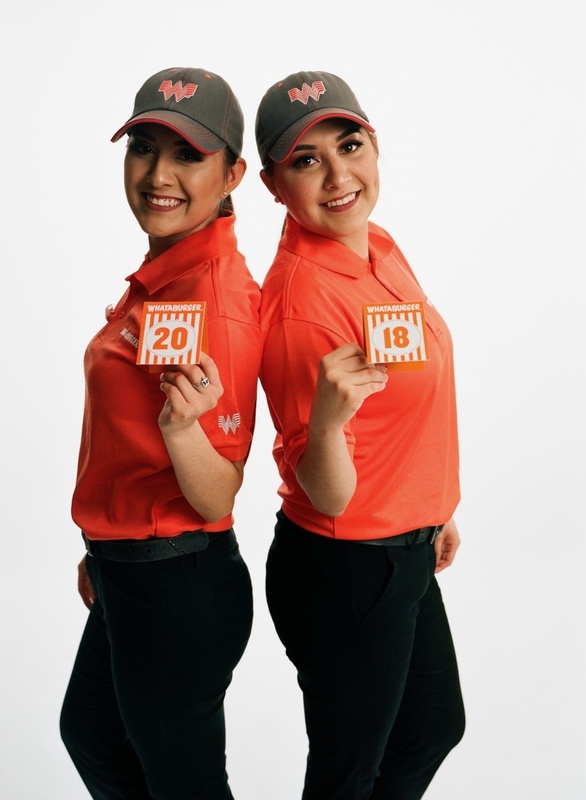 Alyssa and Alejandra Ordónez are twins who have both been working at Whataburger 6 years. They were born and Laredo and moved to San Antonio at 1. You might not be surprised to learn that customers get them confused often. 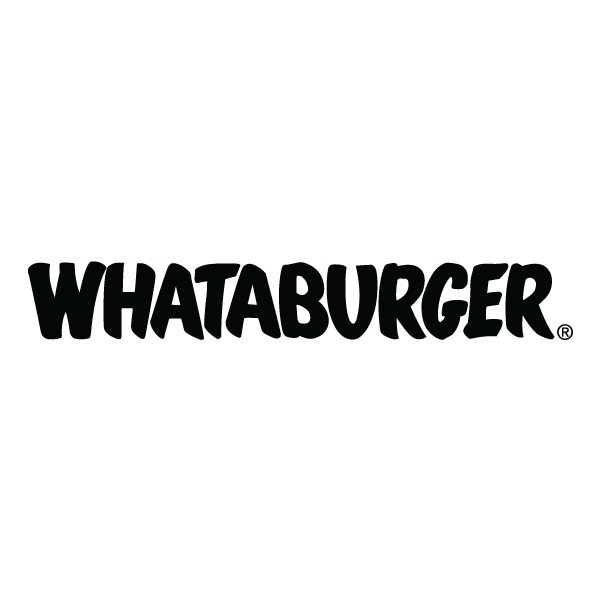 Fun fact: Alyssa and Alejandra also have a younger sister who works at Whataburger with them! They brought the table tent numbers 20 and 18 in celebration of our tricentennial! Agosto Cuellar Goodwill "I never thought I'd be wearing this uniform, but I belong at Goodwill now. I love it there." Agosto Cuellar was born and raised on the west side of San Antonio. He became interested in fashion through thrifting at Goodwill stores. Agosto would take clothes from Goodwill and change them by dying them, distressing them etc. He operated his own vintage clothing store called Jive Refried. 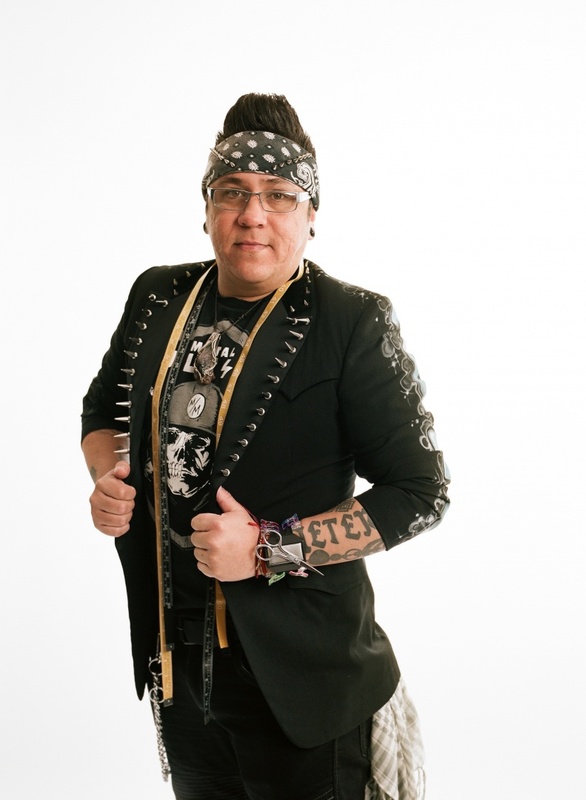 Goodwill noticed Agosto's work and hired him to do a fashion show show in 2012. Since then, Agosto now works for Goodwill full time and oversees the 23 stores of the San Antonio region. 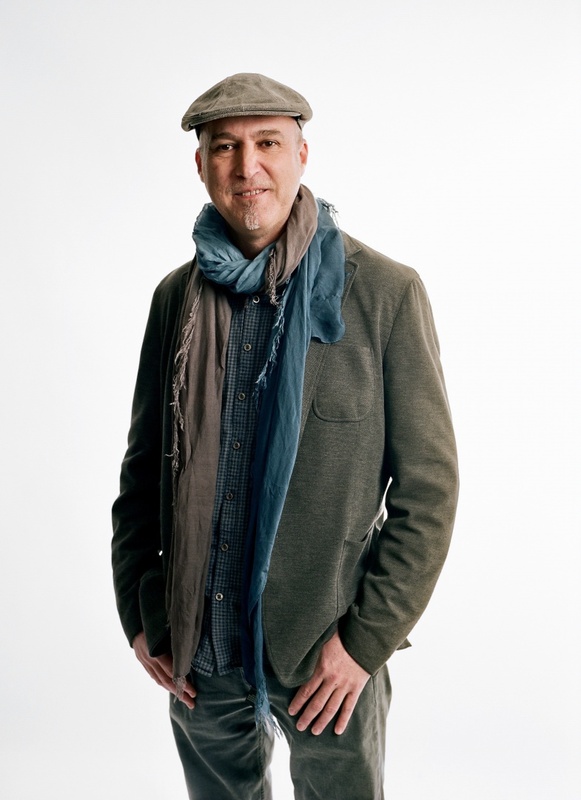 Agosto sits on the board of Fashion Group International, SAY Sí and he serves on the curatorial committee for Luminaria. Agosto continues to design, and he is working on his 19th collection as well as preparing for his fashion show on the west side "Runway en la Calle." Daniela Oliver de Portillo Marketing/Public Relations "Little by little San Antonio has become a part of me and I've become a part of San Antonio., It allows me to be true to my roots." Daniela Oliver de Portillo is a Mexican National who has been in San Antonio since 2002. She moved here with her whole family after her father began receiving death "Little by little San Antonio has become a part of me and I've become a part of San Antonio., It allows me to be true to my roots." Daniela Oliver de Portillo is a Mexican National who has been in San Antonio since 2002. She moved here with her whole family after her father began receiving death threats. Daniela studied Communications with a minor in Studio Art. Her first job was at the Mexican Cultural Institute, then she worked with gallerist Patricia Ruiz-Healy. Daniela found a position at the McNay as a Curatorial Assistant and was eventually promoted to Head of Communications and Marketing. Daniela has since had 2 songs, Rodrigo and Emiliano. After Emiliano's birth, she decided to take a risk and pursue a solo career in PR and Marketing. Now Daniela does PR for the Linda Pace Foundation and the DoSeum, as well as marketing for her sister's restaurant Marioli. Daniel brought her younger son Emiliano into the shoot, and her laptop with her personal mantra "Onward Motherfuckers," to show the juggling act of her life. Daniela loves that she gets this freedom in her life, and knows this wouldn't have come without confidence in the life she lives and alway believing in herself. Stephanie Key San Antonio Symphony "Playing with the Symphony is so wonderful because I'm part of something bigger than myself." Stephanie Key plays clarinet in the San Antonio Symphony. She moved to San Antonio at 11 when her father took a job as Dean of UTSA. 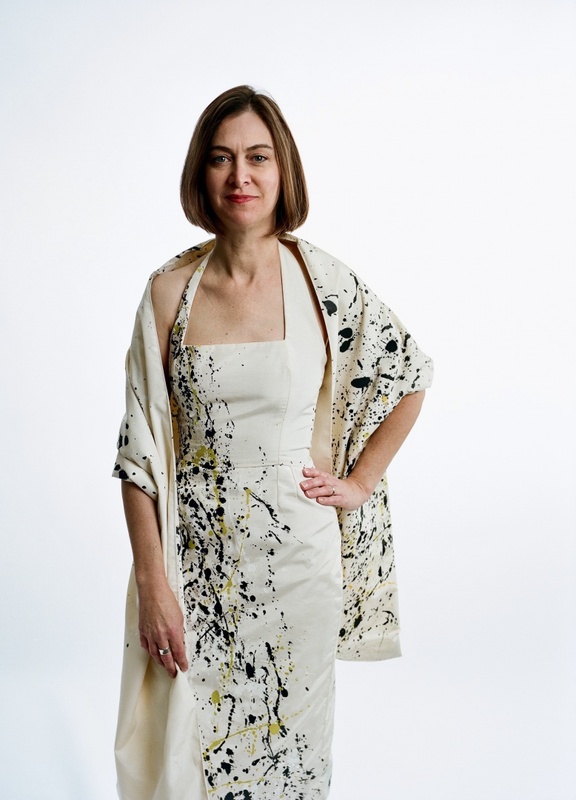 She attended New England Conservatory and Cal Arts where she focused on contemporary music. Stephanie wanted to start a contemporary chamber group in San Antonio so she formed SOLI, her 4 piece ensemble group. She joined the SA Symphony in 2002 as the Assistant Principle 2nd E Flat Clarinet. 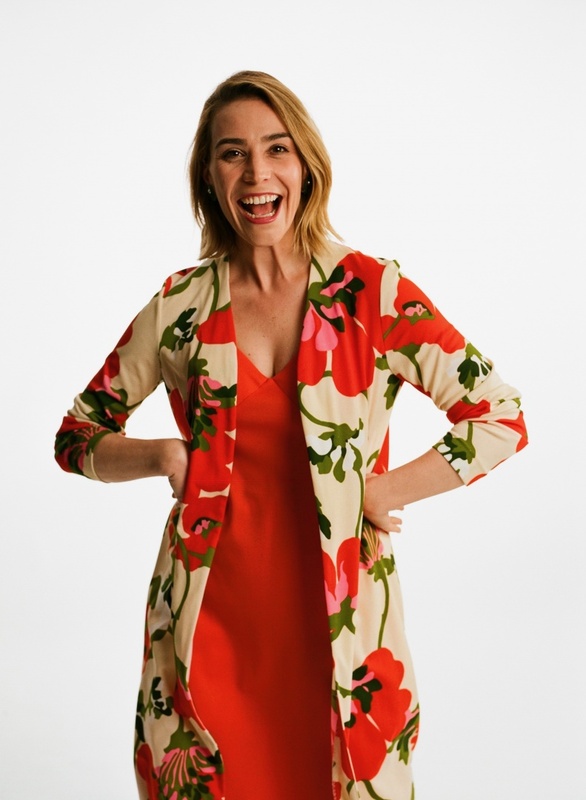 Stephanie is wearing a dress for the 'Niche' line by San Antonio designer Nilgun Derman, who created outfits for members of the San Antonio Symphony. Riely Francis San Antonio Symphony "I'd love for San Antonio to feel even more ownership over our symphony." 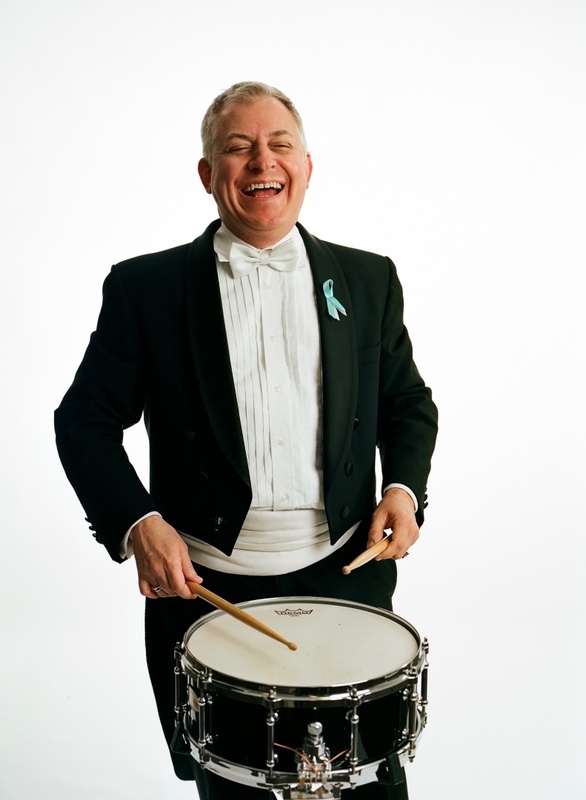 Riely Francis is a percussionist in the San Antonio symphony. He was born in Houston and attended Rice University where he got his Bachelor's and Master's degrees in Music Performance. After college Riely joined the New World Symphony in Miami which ultimately led him to California then Hawaii where he joined the Honolulu Symphony. 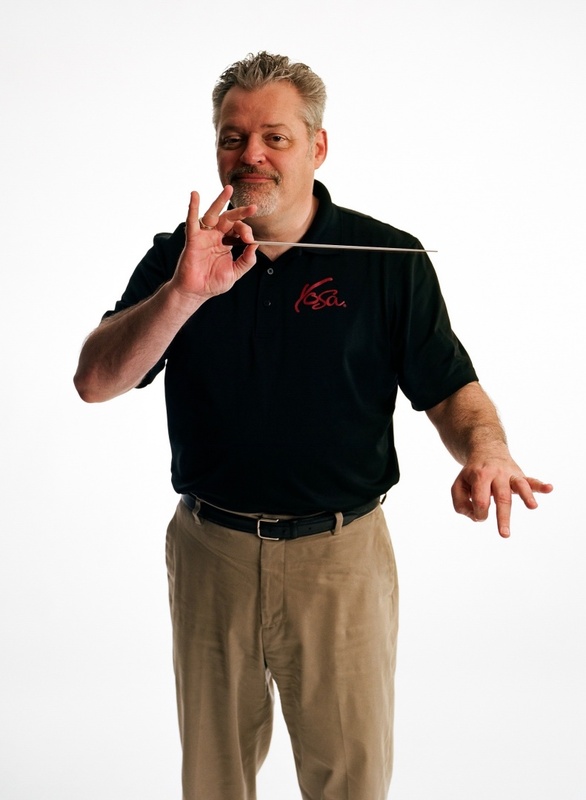 After 12 years, Riely returned to Texas, and ended up getting hired by the San Antonio Symphony in 2012. During his shoot, he played along to the entire percussion solo of Talking Heads' "Burning Down the House." Grady Hillhouse Civil Engineer "This city has true culture. This is our first Fiesta, and we don't really know what it is but we already have our decorations up." Grady Hillhouse is a Civil Engineer who works exclusively on Dams. 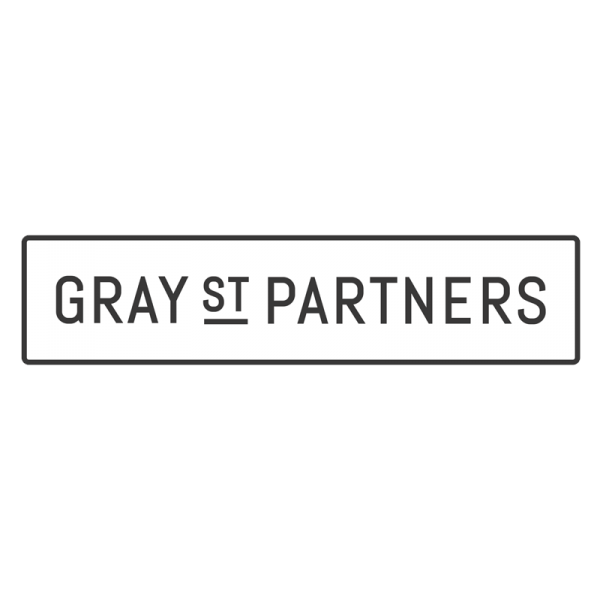 Grady was born in Amarillo and studied at Texas State and Texas A&M. He worked in Austin for 5 years before moving to San Antonio last summer. Grady started doing YouTube videos on Engineering for his wife to share with her students. Some of his videos began going viral and Grady now has almost half a million subscribers on his channel "Practical Engineering!" 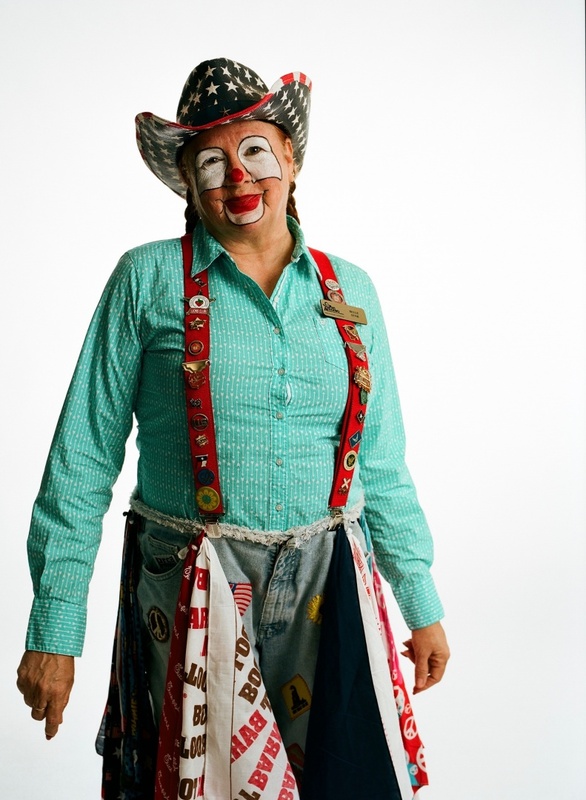 Belva Kimble Rodeo Clown "I have way too much personality to sit in the back and scoop poop." Belva Kimble is a rodeo clown who goes by Belle Star. She was born in Dallas and moved to San Antonio in 1995. She is active with the San Antonio Livestock Show and serves as an Ambassador on the committee. This year she visited 9 colleges to inform about the scholarships they give away, and this year they provided $11.6 million in scholarship money! 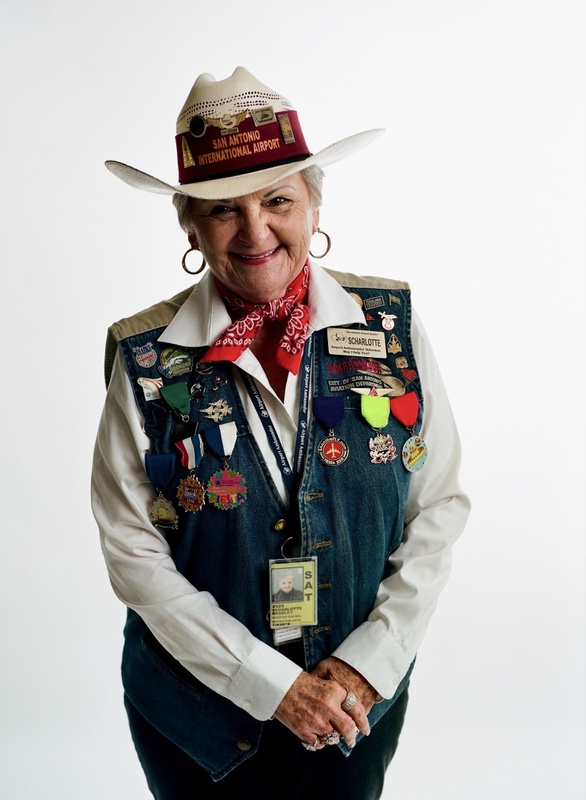 Belva has been involved in the San Antonio rodeo for 13 years and is one of 6,000 volunteers. She is the Clown Coordinator and oversees a team of 5 women and 3 men. When not participating in the rodeo, Belva raises dairy goats, designs jewelry, works on her vegetable garden and dresses up to participate in the Renaissance Court! Mauro de la Tierra Artist "There's an inner child in all of us, but as we get older we often lose that sense of not caring & stop feeling like we're allowed to be expressive. So I like to paint myself as a sad clown to remind myself of that." Mauro De La Tierra was born in Austin and moved to San Antonio when he was 7. Mauro's mother was a vegetarian punk rocker so he was raised in a unique environment.. Mauro became interested in graffiti as a teenager and loved the creative expression of it, but got arrested at 17 for painting on trains. He realize he wanted to focus his art on something positive and community-based. Mauro began hosting art shows to allow local painters a place to showcase work as well as bringing in local bands to perform. Chris Conde Rapper "Seeing all these people come support me, rappers and fans, telling me what I'm doing is important is really affirming as a gay rapper. I want to give a message of hope that anyone can relate to." Chris Conde is a gay rapper and artist in San Antonio. Chris was born in San Antonio but spent his childhood all over the world due to having parents in the military. He attended high school in Turkey and Japan before finally moving to Baltimore to attend school for Film and Photography. Chris started drinking as a teenager and was doing drugs in his 20's. Chris ended up becoming addicted to meth and cocaine and got completely clean and sober 4 years ago. Chris is now a rapper who addresses themes of getting away from destructive behaviors in his rap as well as bringing LGBTQ visibility to the genre. His experiences of coming out and addiction/sobriety drive his work. Chris believes the importance of being able to be of use to whatever community someone may be living in. He is currently working on finishing up his full length LP and planning a tour in support of it. Cristina Blackwell Host Great Day SA "San Antonio is selfless. Thats the beauty of our city." Cristina Blackwell is the host of Great Day SA on Kens 5. She was born in San Antonio but moved to Cuernavaca, Mexico at a young age and stayed there through high school. Cristina had early aspirations to be a chef, so she attended a culinary school in Paris for 2 years. She then found her way back to San Antonio and studied Communication at UTSA. Cristina interned for Great Day Sa then La Prensa. Her first gig on air was as a host for "Despierta San Antonio" on Univision SA. This led her to a job as a weather girl at Univision Miami. Around this time Cristina met her husband who was playing for the San Antonio Rampage. He ended up playing for a hockey team in Austria, so they moved there together. After 4 years in Europe, Cristina briefly lived in upstate New York before getting hired by Great Day SA. Cristina says working and living in San Antonio is a dream come true, and she sees her works as a blessing. She loves getting to meet the incredible people of San Antonio and having the platform to tell their stories. Robert Saltonstall Furniture Maker/Sculptor/Builder "I love the fact that San Antonio has so many blue collar highly skilled workers." Robert Saltonstall was born in Richmond, VA and attended VCU where he studied sculpture and painting. 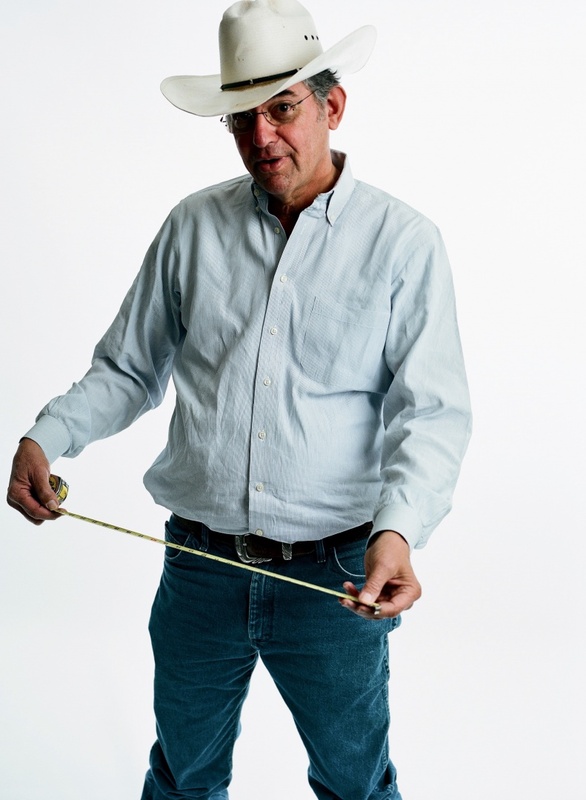 One of the adjunct professors at his university wanted help building a studio in Marfa, so Robert moved to West Texas to help on this project. Robert started building and renovating homes out there, as well as working on furniture. In the last year Robert has moved to San Antonio where he continues working on homes, as well as focusing on sculpting and painting. Nicolas Garza Junior at Central Catholic High School "Had it not been for ROTC and Drill Team, I wouldn't be the man I am today." Nicolas Garza is a junior at Central Catholic High School. He is in ROTC and on the Drill Team. Currently Nicolas is the Executive Officer, and next year he will be the Commanding Officer. Nicolas also plays football, serves as the Assistant Project Administrator for the National Hispanic Institute and is a Voelcker Biomedical Research Scholar. Nicolas is an incredibly talented young man, and has his eyes set on West Point to study law. Guillermo Portillo Ramila Surgeon "I feel very luck to be able to come from another country and get into the medical system here. It makes me so grateful." Guillermo Portillo-Ramila is a General Surgeon at Baptist Medical Center. Guillermo was born in Mexico City and attended Med School at University de la Salle. Guillermo. He completed a residency at Centro Medico Nacional La Raza and another at UTSA. 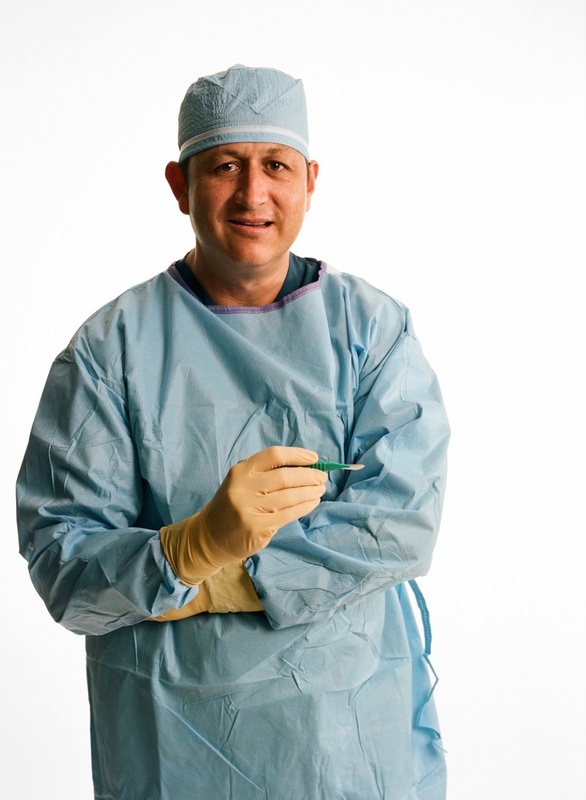 Guillermo practices minimal invasive surgery and weight loss reduction surgery. 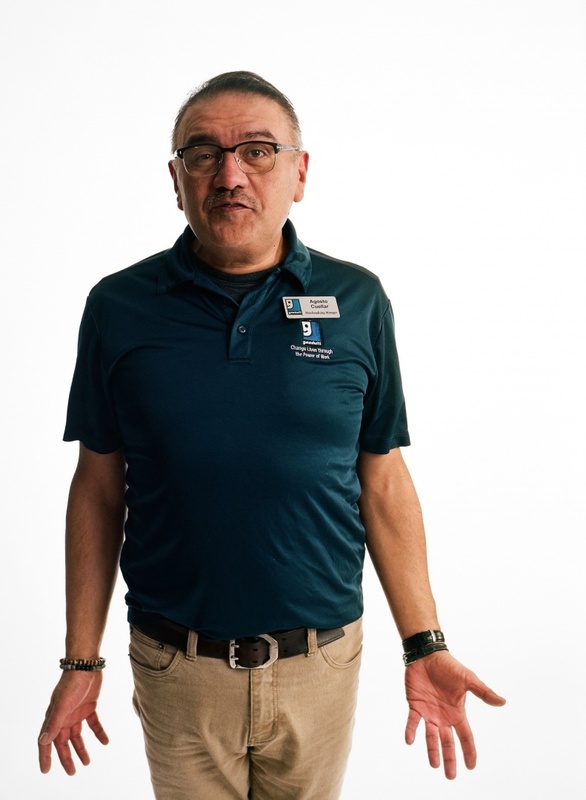 Guillermo is grateful to work with patients who are not comfortable getting a diagnosis or treatment in English, so he can treat them in Spanish and make the process easier on them. Guillermo feels blessed to do what he loves in San Antonio. Sean Wen Founder - Pinch Boil House "Growing up as an Asian - I thought it was a curse. Now, more than ever, I'm so proud to be an Asian American. If we can inspire other young Asian Americans by doing what we do, that would be a dream come true." 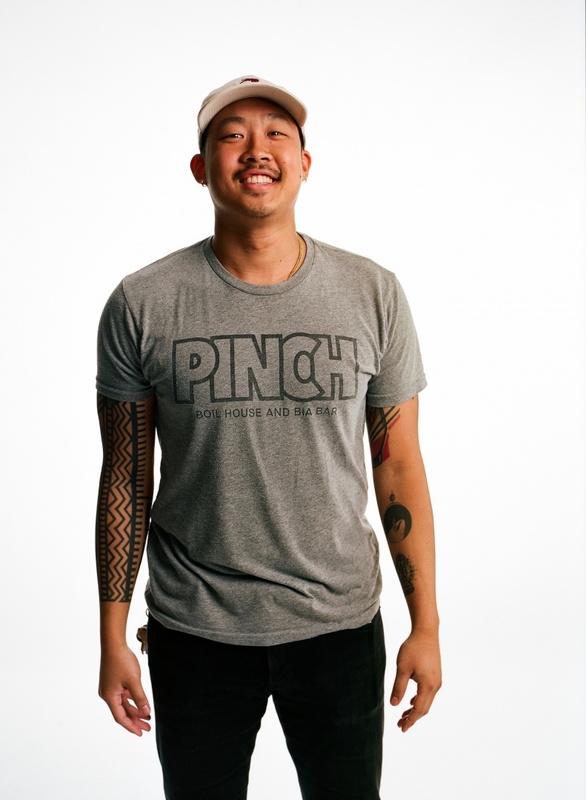 Sean Wen is one of the founders of Pinch Boil House and Bia Bar. Sean was born and raised in Houston and attended University of Texas. 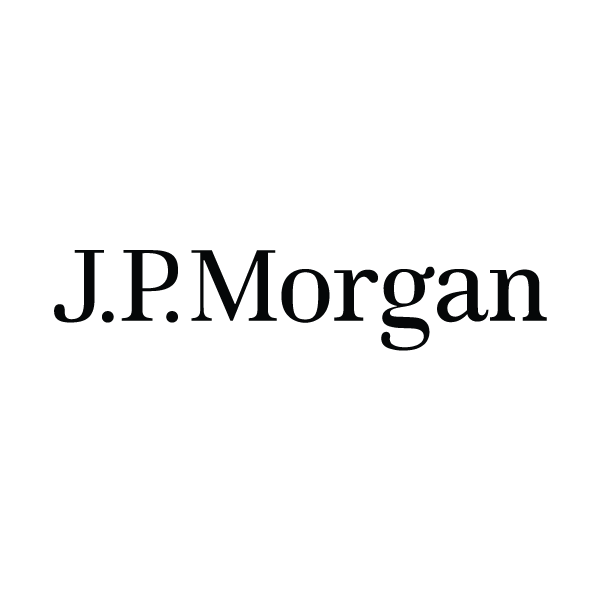 His first job out of college was investment banking. Sean wanted to try something different so he joined Venture for America and was placed in Baltimore. While reminiscing about his passion for food, Sean thought of his one of his best friends, Andrew Ho, who used to have Vietnamese Crawfish boils in Houston while they were growing up. Sean reached out to Andrew, who was now living in Vietnam, about starting a pop-up restaurant. Sean flew to Saigon, and late one night while he and Andrew were snacking on snails after some drinks they made a resolution to move back to Texas and take a chance. Venture for America allowed Sean to move to San Antonio and take a job with Geekdom. Meanwhile, Sean and Andrew started doing pop-up boils around San Antonio. Dawn White-Fosdick Executive Director CAM "We've tried to get rid of the barriers in helping people. You need someone to say 'yes' today and meet the most critical needs of the people." Dawn White-Fosdick is the Executive Director of CAM (Christian Assistance Ministry). Dawn moved all over the country when she was growing up, attending 13 different schools before graduating high school. In moving to so many communities, she noticed that her parents always had faith, but didn't belong to any particular denomination, so they would joing whichever church they liked the most. This helped shape Dawn's approach to faith. Dawn moved back to Texas 20 years ago, and has now been with CAM 8 years. CAM was founded by 9 downtown San Antonio churches in 1976. It is now supported by 70 churches of all denominations, 250 volunteers and 8 full time staff. CAM assists over 50,000 San Antonians on an annual basis. Rather than simply being a food pantry of clothing drive, CAM provides services to people with extremely urgent needs, and often helps connect people in need with specialists to help. Without government support, CAM raises $1.2 million anually, with an additional $1 million in donated items. Steven Lee Moya "Instead of being a club DJ or a bar DJ, I set out to create moods or landscapes. Grabbing from different cultures or genres allows me to do that." Steven Lee Moya is a DJ and musician in San Antonio. Steven's father was a musician and both his older siblings shared their musical taste with him. At the age of 3, Steven's dad bought him a drum set and he has been in love with music ever since. Steven played in his High School band, and at the age of 12 he enrolled in a program at the Guadalupe Cultural Arts Center and studied accordion under Valerio Longoria. 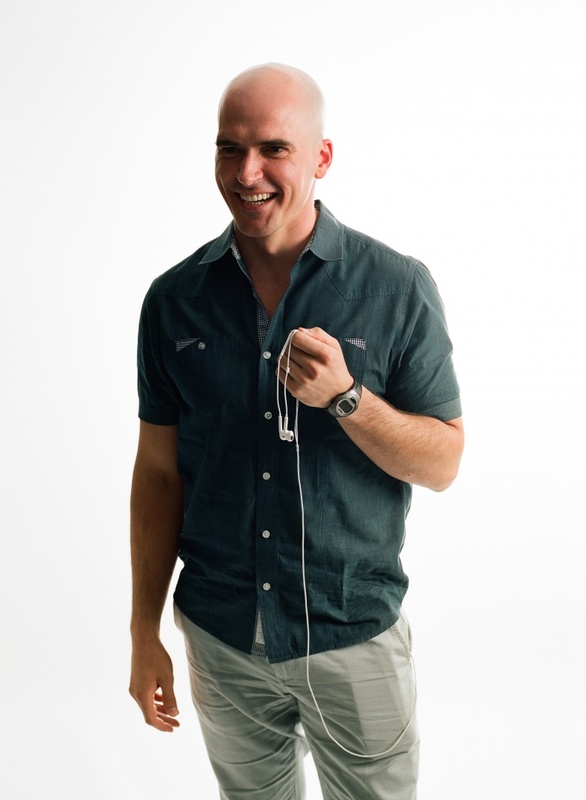 Steven has now been DJ'ing for 12 years professionally, and also has produced a musical podcast for 7 years. Steven brought some of his favorite records to the shoot, including a single from Prince's "Lovesexy" album. During the "Lovesexy" tour Prince wore polka dot suits and leotards every night, so Steven wore a polka dot sure to pay tribute to that. You can see Steven DJ at his residency at Hotel Havana, and all over SA. Eleanora Morrison Founder/CEO of S.H.E. 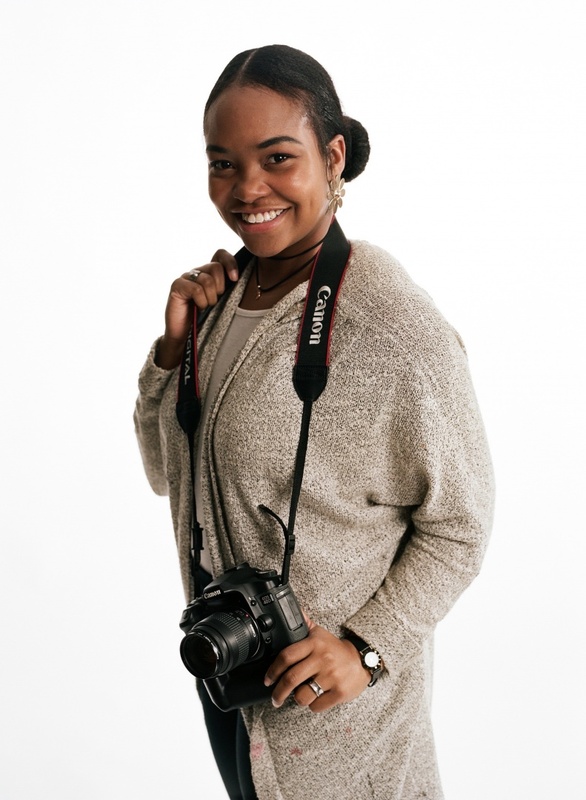 Media Group "I want to empower other women through my story to create a life they love." Ellie Morrison is a 5th generation San Antonian and creator of the life and style site "Oh, Eleanora." She was the first baby to raised in Alamo Plaza in over 100 years. Ellie spent some time after college doing PR in healthcare before pursuing some of her passions of fashion, writing and being in front of a camera. In 2015, she started her first lifestyle blog, Sequins and Suspenders. This allowed Ellie to get experience she needed and realize she wanted to use the platform to be her most authentic self. 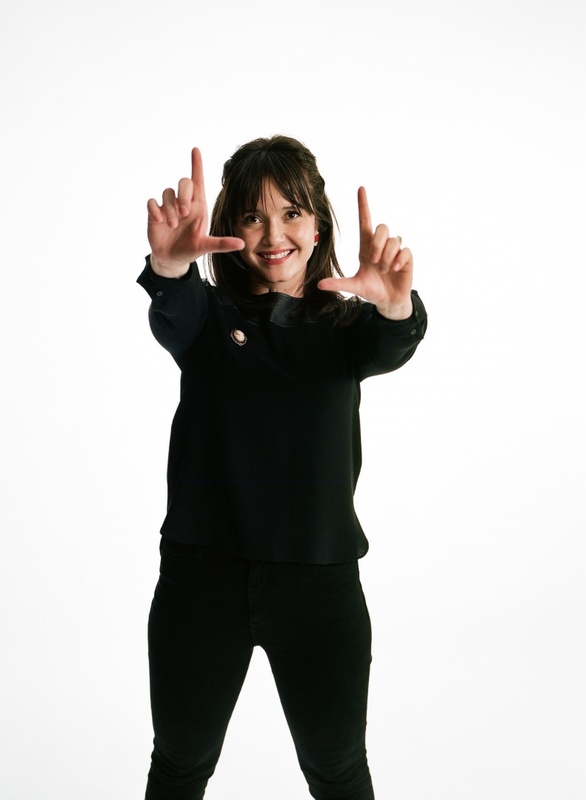 Ellie launched "Oh, Eleanora" in March of 2017, the title being a reference to what her grandmother would say when Ellie would dazzle her audience. "Oh, Eleanora" now has had over 50,000 site visits and Ellie is shifting the focus to be a curated editorial platform. She is excited to bring her love for theatrical performance to her blog, and has some exciting new projects debuting in May. Ellie is wearing her grandmother's clothes and earrings, yet another homage to her roots! Brittany Lopez Dancer "When I hear music I see movement. When I have my own stories they manifest as movement." Brittany Lopez is a modern dancer and full time dance instructor. Brittany traces the exact moment moment she knew she wanted to dance to when she first saw the 6th grade dance team take the field in sparkling vests, pom poms and doing the splits. Brittany studied theater and dancing in high school, then graduated from Texas State. She went on to get her Master's Degree in Dance at Texas Women's University. 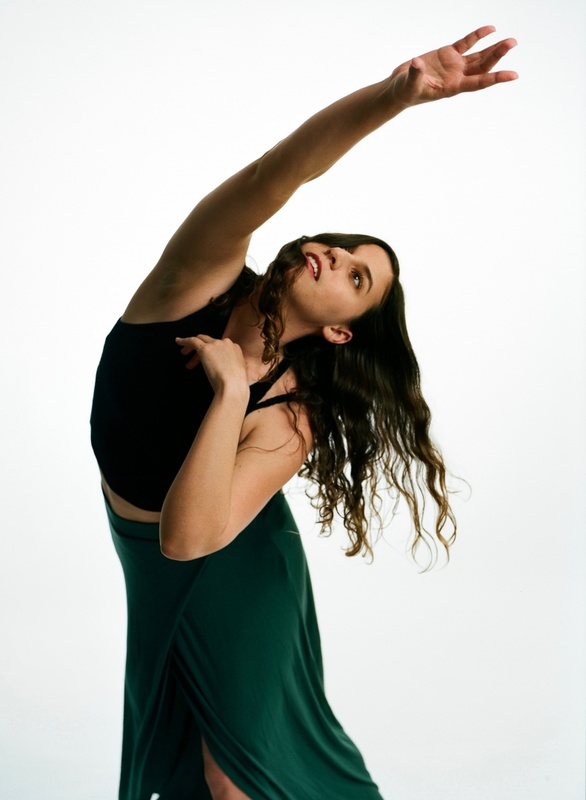 Brittany teaches at Northwest Vista College as a modern dance instructor, as well as co-directing the student company and teaching lecture series. Brittany loved that modern dance is more about your own expression, and through this style she can tell stories to reflect our culture and society. Brittany also works with the nonprofit San Antonio Dance Umbrella, and she believes that our city is getting primed to accept more art forms with open arms. Alonzo McKee "Zo-G is a positive force here in the city. I celebrate everybody's success, not just my own. If you celebrate others, you will be successful." Alonzo McKee aka Zo-G is a rapper in San Antonio. He was born in Dayton, OH and and raised by his single mother. He started writing poetry his senior year of high school, and moved to San Antonio 2 weeks after he graduated high school. Zo-G says that San Antonio was a tough transition, but over time he has realized he can take advantage of what this city has to offer. Zo-G joined a rap group for a while, but didn't appreciate that the limelight wasn't equally shared and decided to pursue a solo career. 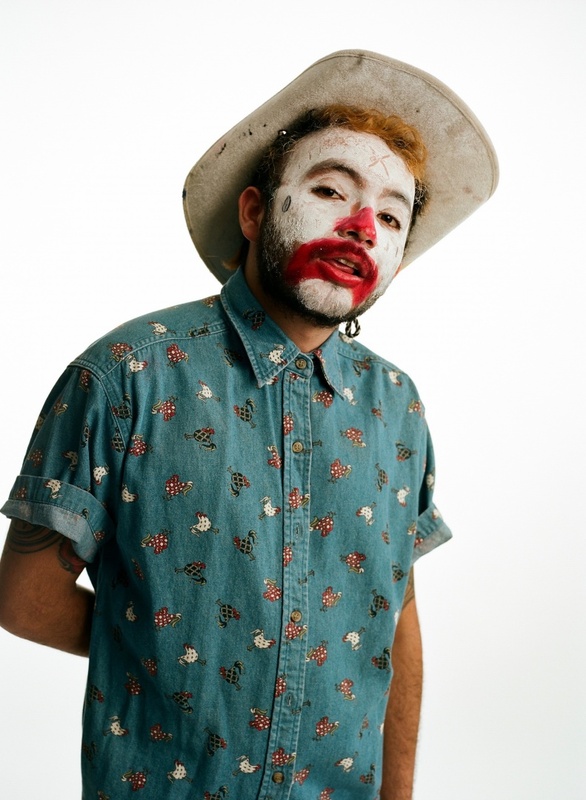 He currently performs almost daily at open mic events, and recognizes that the San Antonio rap scene is an open market ready to be represented. 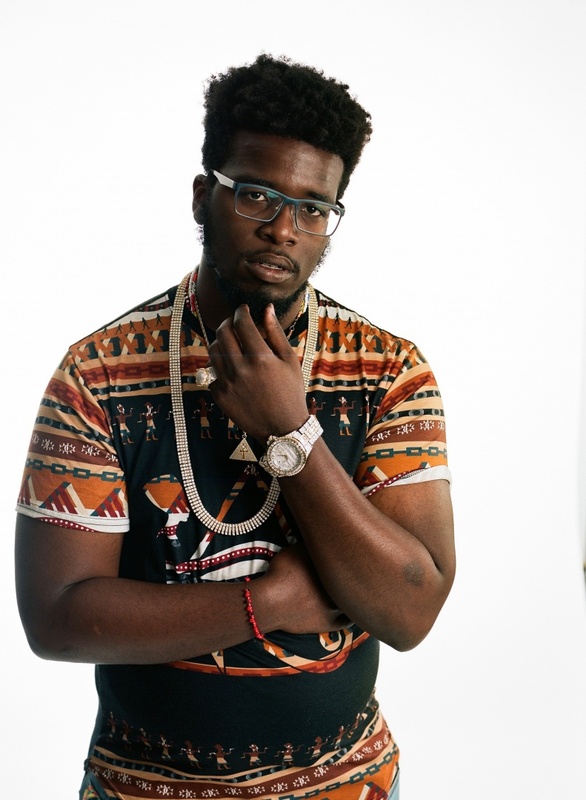 Zo-G cites his main influences as Curren$y, Lil Wayne, Rick Ross, Notorious B.I.G and Andre 3000 among others. Zo-G says even if there are 5 people in the room, he will perform like its a packed house every time. Iris Petro Artist/Single Mother "It's not that I want to live in a shelter, but I was in a relationship that wasn't healthy for me and I'm trying to take care of myself and my son now." Iris Petro was born in Brooklyn and grew up in upstate New York. She ran away from home as a teenager and moved to New York City. She ended up in a shelter where she met the father of her children. She and her family moved to San Antonio in 2009. Iris studied art at St. Philip's College in San Antonio where she found a passion in painting. She is inspired by anatomy and people. 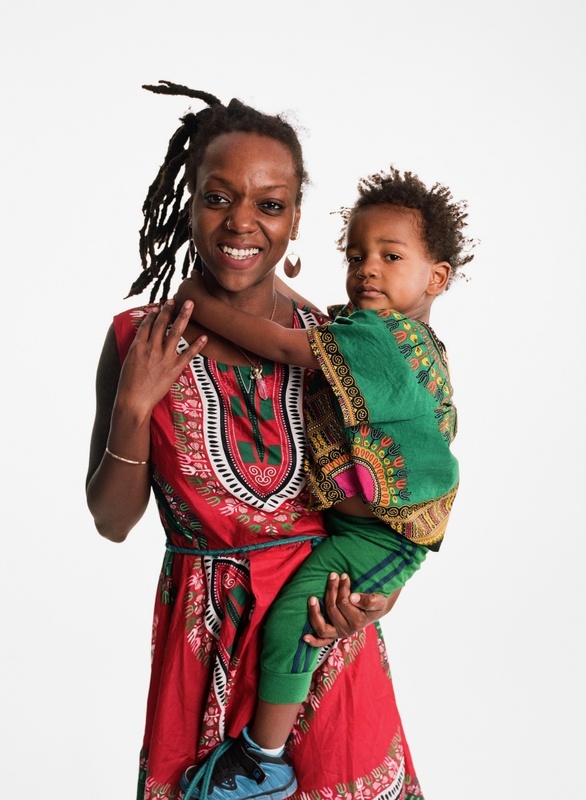 After I took her portrait, Iris moved back to New York City with her son Mak-i. She explained to me that she was in an unhealthy relationship and needed to get away to get back on her feet They are currently in a shelter in the city planning to get a SOTA voucher - a special assistance program designed to help participants become self-sufficient after one year. This which will allow Iris and Mak-i a chance to move wherever they'd like in the country. She hopes to come back to Texas soon. In the meantime, Iris is planning on attending some college art courses to focus on her painting. Natalia Glenn Radio Host "All my music is rooted in jazz and soul, so when I moved to San Antonio I fell in love because there is a big jazz culture here." Natalia Glenn was born in Corpus Christi and moved to San Antonio in high school. Natalia played the French horn in her high school marching band, and taught herself trumpet. Natalia attended Texas State and began working at the college radio station. She started a program called "Black Spaceship" that highlights jazz, psych, soul, bosso nova and more all by black musicians. Natalia brought Black Spaceship with her from San Marcos to San Antonio and she now produces and live streams the show independently. In addition to hosting this program, Natalia also produces, raps, sings and makes music. She has a new single on Spotify, "Meri Jaan," meaning "my love" in Urdu, which she wrote about her girlfriend. 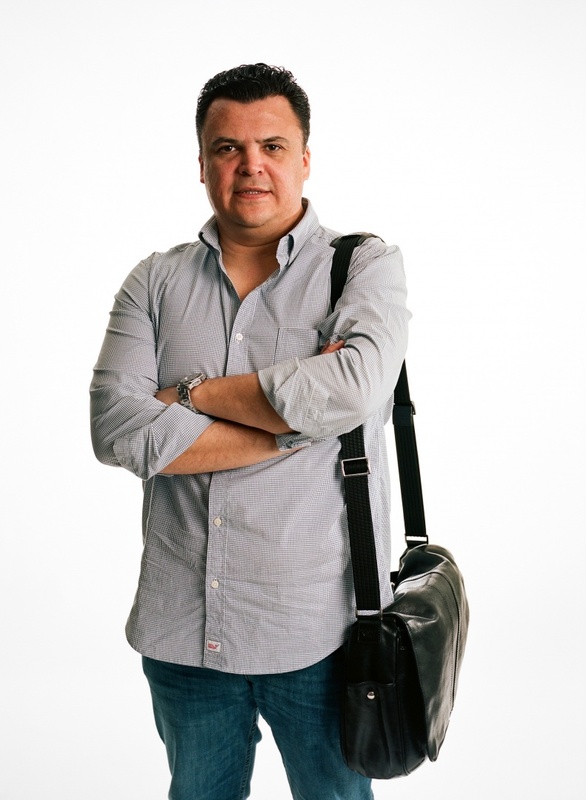 Genaro Solis Rivero Founder Genaro Design "Our success is based on listening and understanding our clients' needs and doing a lot of research." Genaro Solis Rivero is the creative director of Genaro Design. 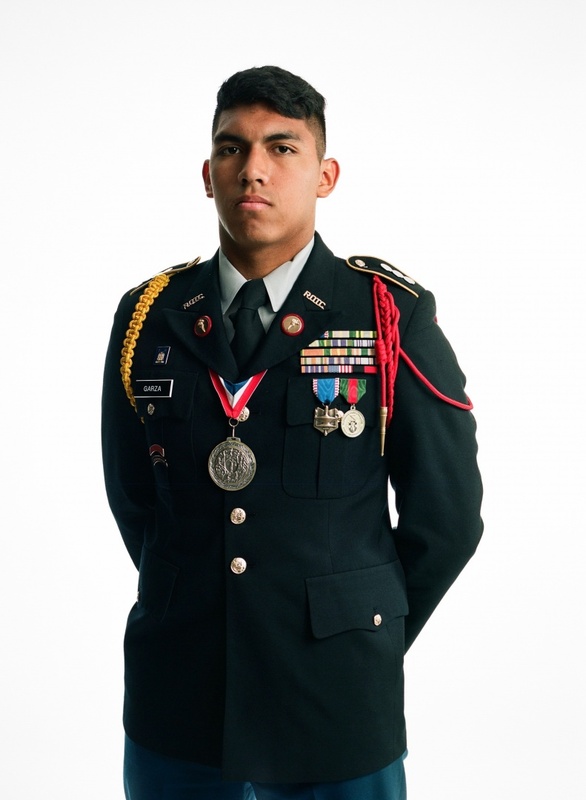 Genaro was born in Mexico City, and attended Missouri Military Academy for High School. Genaro found lifelong brothers in his fellow students. After high school, Genaro was looking for graphic design programs, so he enrolled in San Antonio College. 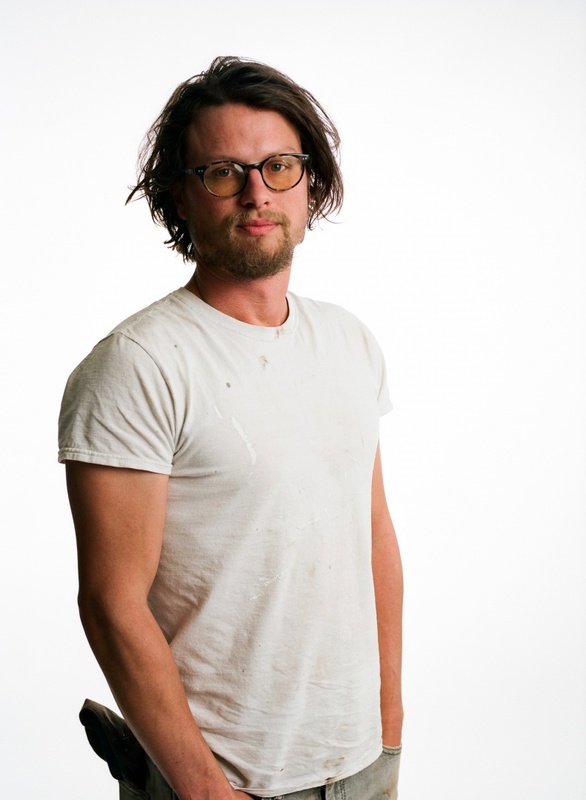 After two years, he transferred to Texas State and got his BFA, and ultimately his Master's in Communication Design. He opened Genaro Design, a boutique studio with 7 employees focusing on branding programs regionally and internationally. Some of Genaro Designs' clients include The McNay, Texas Diaper Bank, Lili Allesandra and more. In August Genaro will begin teaching at Texas State as an Adjunct Professor. Asantewaa Sankofa Fabrics and Textiles Artist "I have a love for culture. Being a military kid I experienced so many cultures and it inspired me to learn about mine." Asantewaa Sankofa was born into a military family and lived all over the world growing up. A year ago Asantewaa started her own business, Ancestral Regal Wraps. She didn't know how to naturally do her hair, so she started wearing head wraps while she was learning. 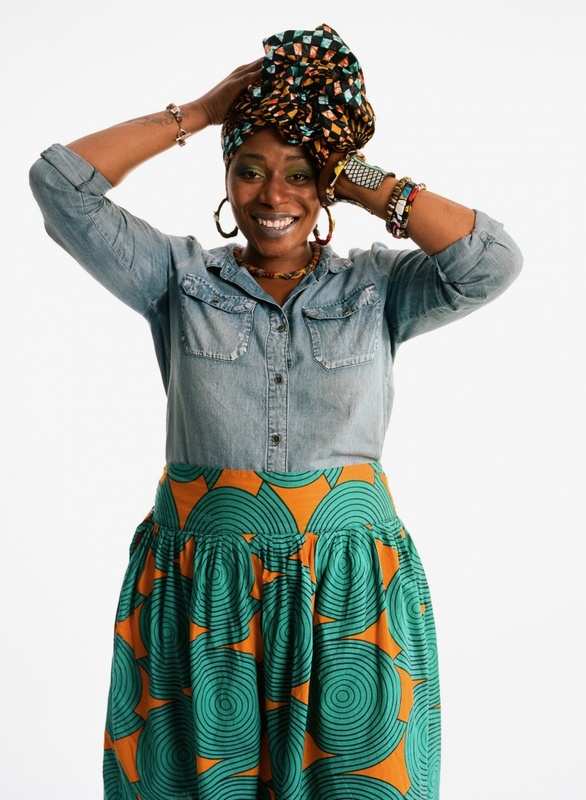 She experiments with African wax prints and designs her own head wraps and matching jewelry. Sankofa is from the Twi language of Ghana and means "go back and get it," and Asantewaa was a Queen of the Ashanti empire. Ruth Chiego Public Services Admin - San Antonio Public Library "I'm dyslexic, so growing up I was not interested at all in reading. That's why I love telling stories, working with children and making interactive experiences for people." Ruth Chiego is the Public Services Administrator with San Antonio Public Library. She moved with her family in 1991, attended Southwestern for undergrad and University of Texas for grad school. 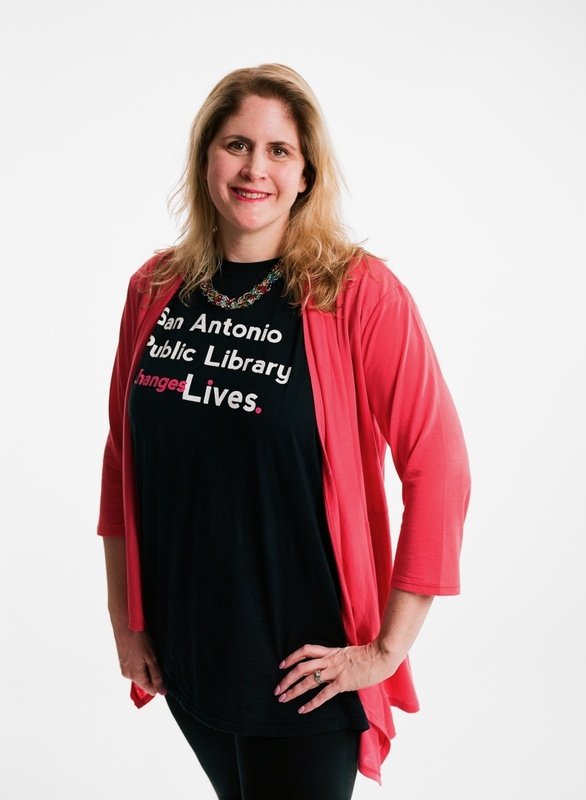 After working for a decade in libraries in Austin, Ruth has spent the last 10 years with SAPL. She is passionate about with working with populations around the Central Library. Her work has focuses on diversity and inclusion, with programs such as the Latino Collection and the Children's Reading Room. Ruth has focused on creating a dialogue with the public to better serve their wants and needs. Ruth's son, Tad, is autistic and she has been able to bring lessons she is learning in her own home into SAPL. She is hoping she can help grow the current program to be even more inclusive to people from all backgrounds. Joshua Rodriguez Musician - NO BODY "Because of the background I come from and because of where I took it with my music and art and airport job, I've seen every part of the city. My uniform is a chameleon skin." Joshua Rodriguez is in the punk band NO BODY and also works with parking division at the San Antonio International Airport. Josh was born and raised in San Antonio to a traditional conservative Mexican American family. In middle school he discovered rock & roll and punk rock. 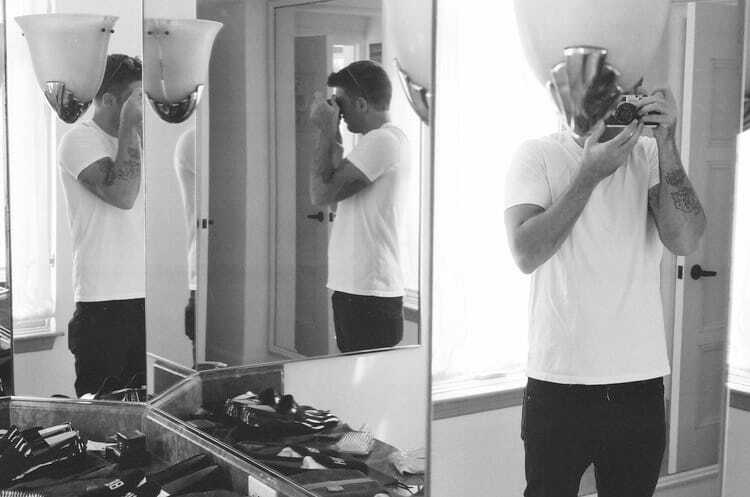 Josh fell in love with bands like Led Zeppelin and the Doors and artists such as Dali, Warhol and Basquiat. Music helped him find his niche in high school and middle school. Josh also has a passion for film, which he studied at SAC. 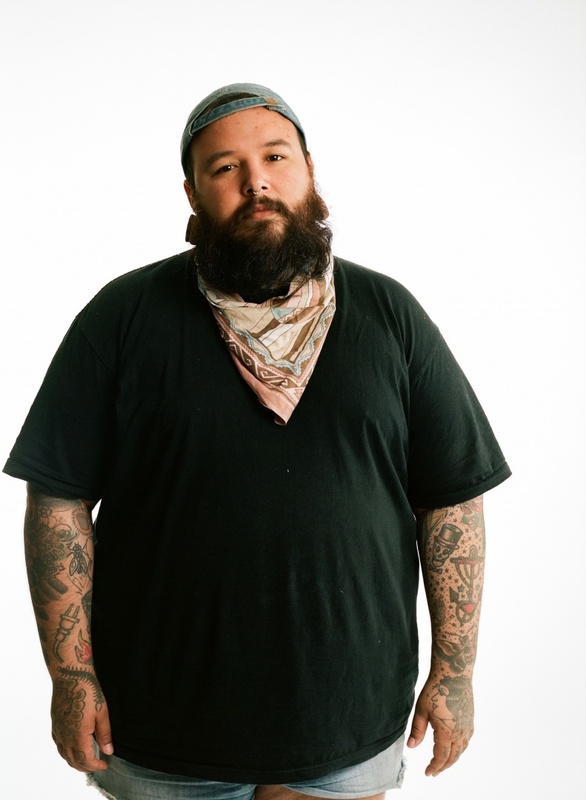 In college, he founded the band NO BODY and discovered the San Antonio underground DIY scene. He is currently working with the Airport, writing and performing with his band, and working on making films. Lauren Pepping & Lyn Swoboda Founders Cookie Cab "As a small local company one of the best and most satisfying aspects is being able to employ other San Antonians. Everybody loves getting warm cookies!" 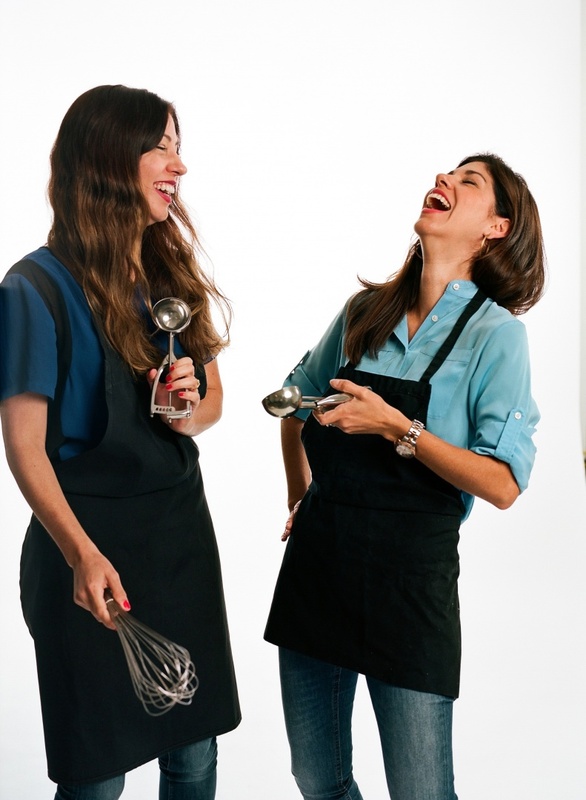 Twins Lauren and Lyn are the owners of Cookie Cab, a baked-to-order cookie delivery company. Lauren and Lyn were born in Saudi Arabia and attended Trinity University. After college, both were financial consultants. In 2014, Lauren founded Cookie Cab with a friend. They started baking cookies out of a kitchen adjacent to a doctor's office. In 2016 Lyn joined her sister full time, and they have co-owned and operated this business ever since. Cookie Cab has donated cookies to many local community events and groups. They have also catered events with upwards of 500 cookies. Everything is made from scratch, in house, by Lauren, Lyn and their employees. They usually offer 5-7 cookie types with 1-2 seasonal rotating flavors. After Lauren and Lyn's shoot, they were kind enough to send some of their delicious cookies to my house! Lindsay Compton National Parks "I really love being able to share the story and history of San Antonio with people." Lindsay Compton is the Volunteer Coordinator for the National Park Service at San Antonio Missions National Historical Park. Lindsay grew up in Detroit, and after high school she lived in 6 different states. Most of her career has been spent in rural areas, so in 2016 she moved to San Antonio to live in a big city. 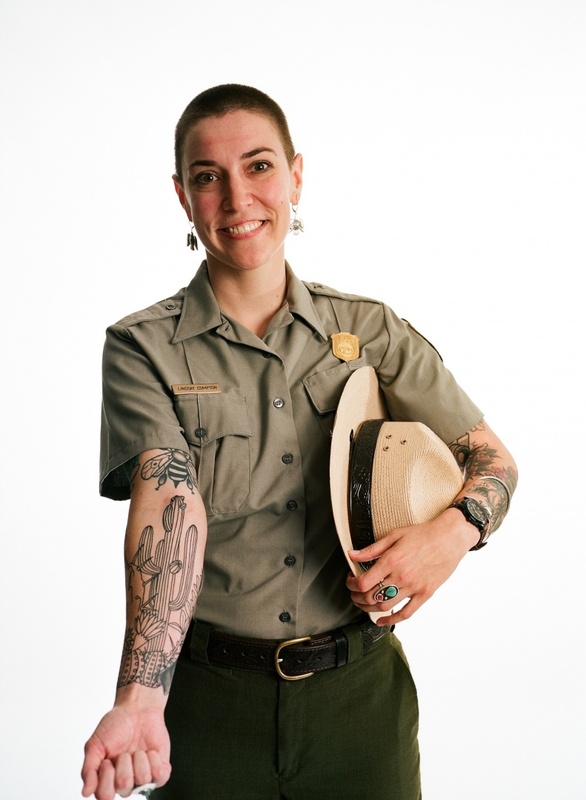 Lindsays' career with the Park Service began as an internship, and she realized the intersection of American History and Natural History was a perfect fit. Lindsay has now been with Parks for 9 years. She also serves with Luminaria on the 2018 Mission San José Interpretive Arts Program Curatorial Committee. Boma Muaka Stand Up Comic/Photographer/Artist "When I started doing comedy it was usually about girls and relationships. Now I'm begining to get more personal with my work." 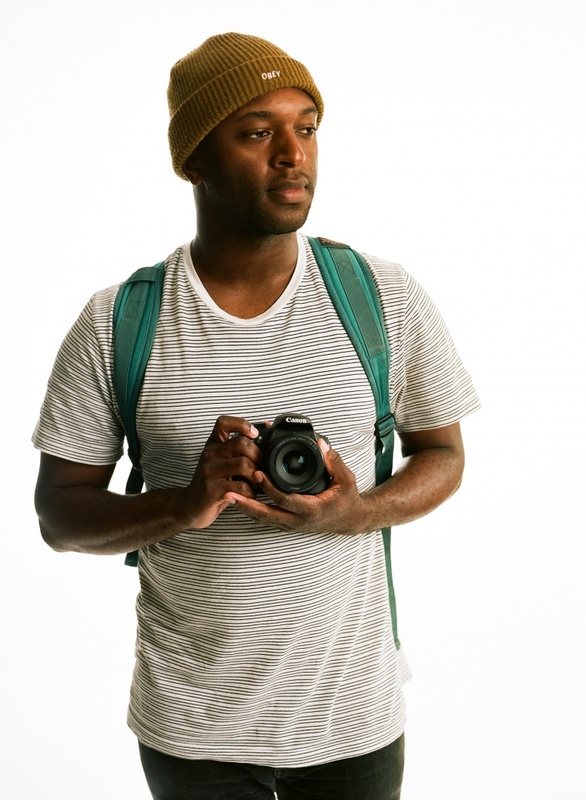 Boma Muaka is a stand up comic, photographer and artist from San Antonio. Boma's father moved to America from the Democratic Republic of Congo in the 80's. Boma is the youngest of 9 children, and he has 14 nieces and nephews. Boma was shy in school, and music helped him branch out. His father introduced him to hip hop, and his sister introduced him to punk rock. Boma found a love for fashion through the skateboarding culture, and began designing a line of t-shirts in high school. His first exposure to a camera was through a gig he got as a model, and he fell in love with photography. Boma is a senior at SAC, and has studied Radio/TV/Film, Photography, Marketing and Political Science. He began writing poetry and comedy in college. Boma met one of his favorite comics, Aries Spears, which encouraged him to continue to pursue stand up comedy, and his first ever gig was April Fools Day 2014. Now Boma has a monthly comedy showcase at El Luchador, he paints & works on collages and has a show of his collage work coming up at Ventura. Jamaal Haffner Poet/Physical Trainer "I feel like I was put on earth to help people change their mind and body." Jamaal Haffner is a poet and personal trainer. Jamaal was born and raised in San Antonio. 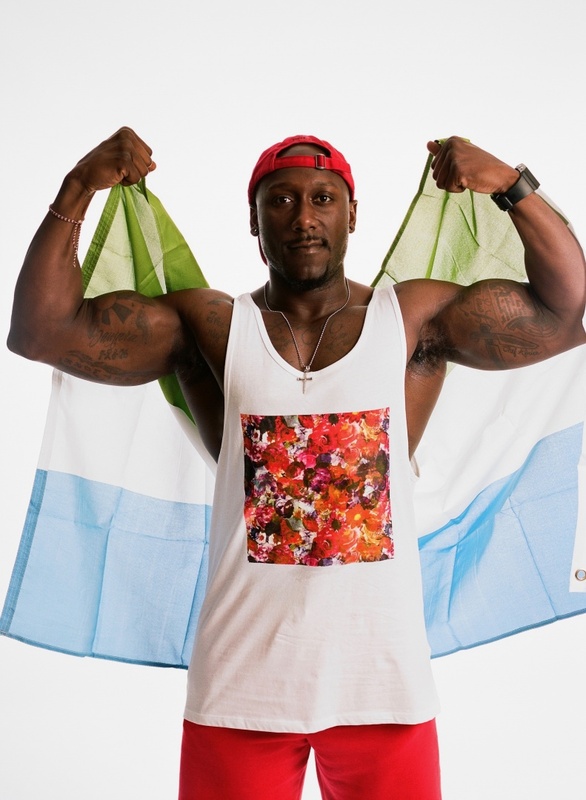 He grew up in a single parent home, raised by his West African mother he exposed Jamaal and his brother to traditional West African culture and cuisine. Jamaal's interest in poetry started in high school, but really took of in 2010. Jamaal began hosting events that combined poetry slams, stand up comedy and music, with the focus always being uncensored free speech. Jamaal is also involved in Write Art Out (WAO), a non-profit bringing writing workshops to schools. His poetry is driven by his passion for political, social surroundings, music and story telling. In June, Jamaal is helping bring Southern Fried Poetry Slam to San Antonio - the 2nd largest poetry slam competition in the country. In addition to being a poet, Jamaal is also a personal trainer. He started professionally training in 2007 and has done it for the last 11 year. Jamaal loves being able to see the change occur in his clients' minds and bodies. Jamaal keeps an optimistic outlook on like, and when asked how he's doing, his reply, no matter what, is "I'm always good!" B. Kay Richter Photojournalist "I like being a journalist because you never quite know what's behind that door and you just have to go with it. To me that's optimism." 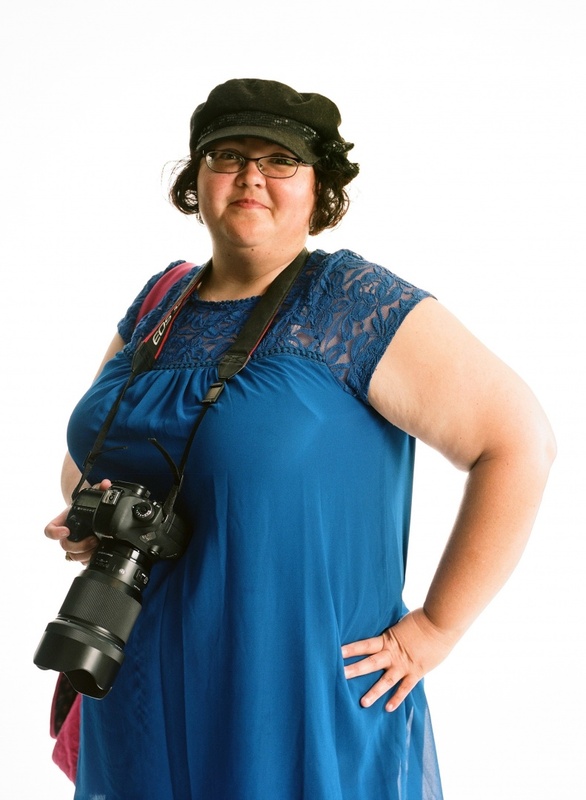 B. Kay Richter is a photojournalist born and raised on the South Side of San Antonio. From an early age, Kay found journalism to be a way to escape the norm. Kay was the editor of both her middle school and high school newspapers, then studied Journalism at Texas State. After college, Kay worked for USAA for 7 years. In 2010 Kay was diagnosed with cancer, and she realized she wanted to get back to her passion of journalism. She began working for the Rivard Report & Out in SA. Kay learned photography around this time, and soon landed a gig shooting for MySA with the Express News. Kay also helps with video production for the non-profit Growing Empowered Together. Jorge Medina CEO Texas Diaper Bank "You have to be a crusader. You have to want to make a difference. I will do what it takes to get this done." 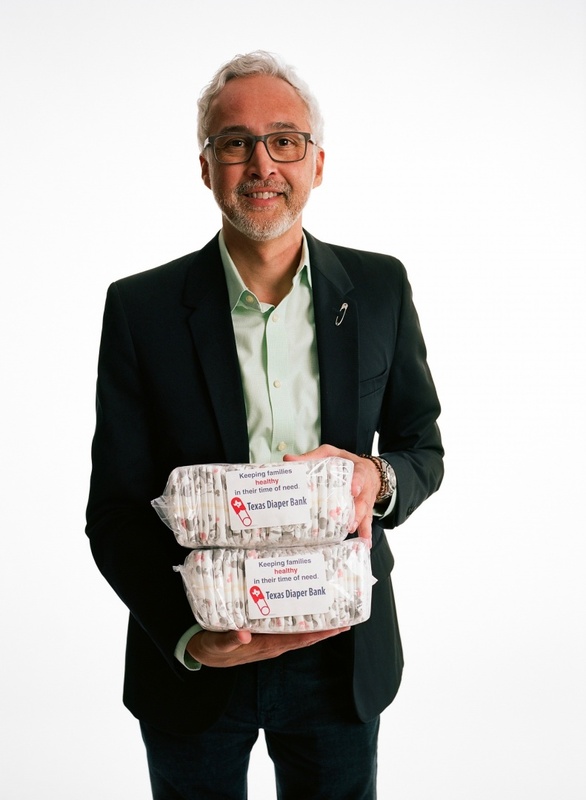 Jorge Medina is the CEO of Texas Diaper Bank. Jorge was raised in Laredo and attended A&M Laredo. Jorge spent many weekends of his childhood in San Antonio, so moving here after college was an easy choice. Jorge began working with the Hispanic Religious Partnership for Community, a nonprofit started by 10 United Methodist Churches to serve the community. They soon realized that one need was clearly not being met: diapers. Diapers impact the health of the baby and the well being of the family. The group started distributing diapers more, and in 2011 they changed their name to Texas Diaper Bank. In preparation for Hurricane Harvey last year, TDB allocated their resources to provide diapers for victims and displaced families. The next day there was an NPR interview with Texas Diaper Bank, and Jorge says everything changed overnight. Since then, there has been a massive outpouring of support from the community and worldwide. Texas Diaper Bank saw participation and donations from over 20 countries during that time. Last year alone, TDB provided over 4 million diapers. They serve 11 counties and 40,000 people, with plans to continue growing their operation. Texas Diaper Bank also provides diapers for senior citizens. Texas Diaper Bank has achieved so many benchmark goals with the generous help and donations. To learn more or donate, visit www.texasdiaperbank.org. Elena Ortiz Spanish/Canary Islands Descendent Elena Ortiz has deep San Antonio roots dating back to 1718. Her maternal grandmother was a Canary Islander and her paternal grandmother was from Spain. She has an ancestor who fought in the Battle of the Alamo. Elena was born in Zaragosa, Coahuila, Mexico. She started visiting San Antonio as a one year old, and remembers traveling between SA and Mexico by wagon. Elena was a flamenco dancer as a young girl. Her first job was at the Transit Tower as an elevator operator. She then worked at the front desk of the St. Anthony Hotel. In 1952, Elena married Richard Ortiz, a WW2 vet and pharmacist. In the 70's, Elena had the opportunity to visit the Canary Islands for their 500 year anniversary. She was with the Canary Islanders Association, founded by Adela Navarro. They represented descendants of the first Canary Islanders to move to America. The group was then invited by the Duke and Duchess of Bexar to visit Seville, Spain. Elena shared with me that her great grandfather actually minted the first coin in Texas in 1818, the Half Real or La Joya coin, under permission from the Spanish crown. Elena has so many amazing stories that she shared with me during our visit! Albert Gonzales Artist "I remember walking to into Blue Star for First Friday a couple years ago and thinking 'Man, I have to get here one day.'" On the day that Albert Gonzales recounted this memory, he was showing work for the first time at Blue Star Contemporary for the Blue Star Red Dot event. Albert is a native San Antonian. Albert worked a series of conventional jobs but always had a knack for doodles and drawings. One day he found himself wondering if he could become a professional artist. That night he had a vivid dream that he was in Germany painting in a mountainside house. Albert awoke from this dream late for work, got to work and his computer wouldn't boot up. In this moment Albert decided to quit and pursue art full time. He was already living paycheck to paycheck and realized this was an absurd decision, but it was ultimately extremely rewarding. The same day he quit his job, Albert bought acrylic paints with all the money he had. He didn't even have enough to also buy a canvas, so he started painting on found objects. Albert was homeless for a couple months while focusing on his painting. Albert had his first solo exhibition in 2015, and ended up selling over 50 paintings in the following 3 months and was able to get his own studio. Some of the paintings he made while homeless are now in the UTSA Collection, and he's sold his work internationally. 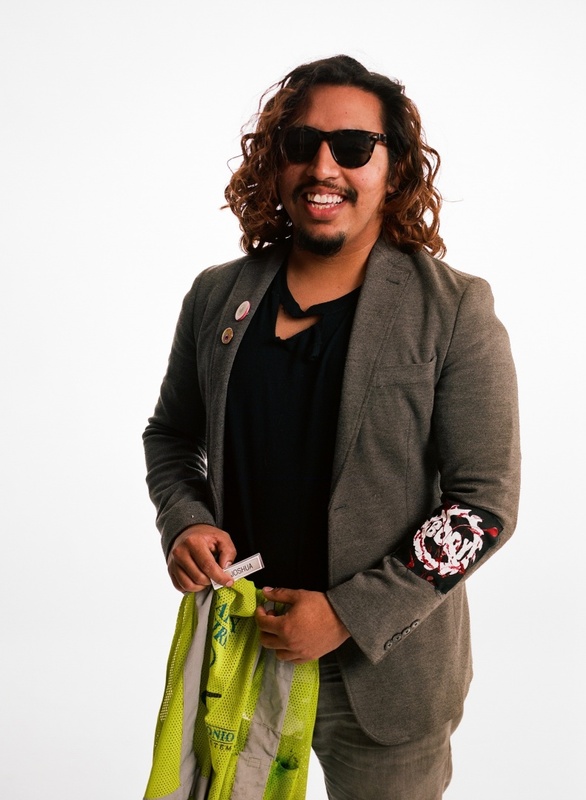 Albert is now studying painting at SAC, and runs and operates Southtown Art Gallery with his fiancee. Albert purchased the jacket in his portrait while he was homeless, and he paints in it to remind him of where he came from. 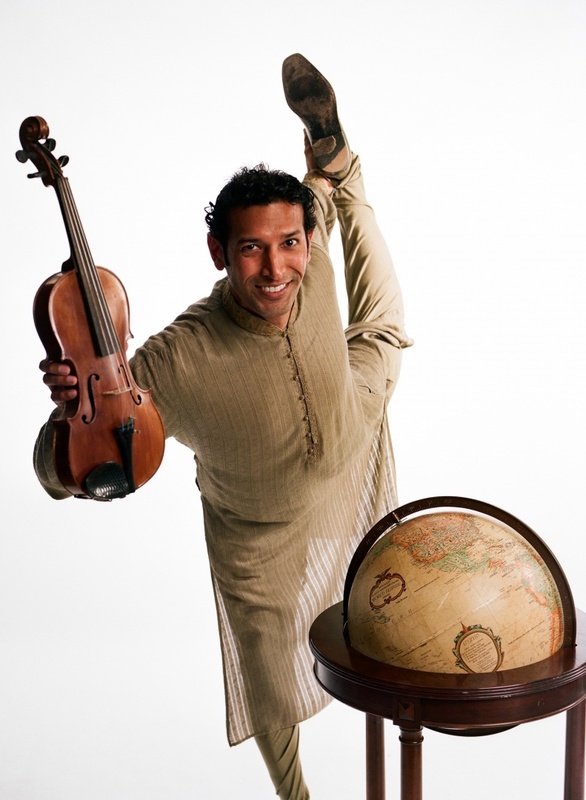 Suhail Arastu Musical Bridges Around the World Suhail Arastu was raised in San Antonio and studied Neurobiology & Classics at The University of California, Berkeley where he competed as an NCAA gymnast. In Philadelphia he continued research and began graduate studies before moving to a small Japanese mountain village for a year of contemplation, deep sea fishing, hiking, skiing and teaching. He then travelled the world by ship under the auspices of the United Nations Economic & Social Council before returning home in 2008. Suhail served two terms as a Trustee of The Mind Science Foundation, one term on the Board of Directors of Gemini Ink and works in Advancement for Musical Bridges Around the World. He is the Arts & Culture Chair for Anuja San Antonio, the organization which manages our Sister City Relations with Chennai, India. Suhail is the Mayor's appointee to the Public Art Commission and enjoys serving on the Board of Directors of Constitution Cafe & The Lone Star Art Alliance. He leads Yoga privately and at Yoga in Motion. A collection of his photographs from seven continents was shown at PechaKucha Volume 5. Lori Marie Realtor "Everyone deserves a place to live. I like to help them find their home." Lori Marie was born in Oregon. Her family is originally from Guam, and she is a first generation American. Lori moved to San Antonio in High School. 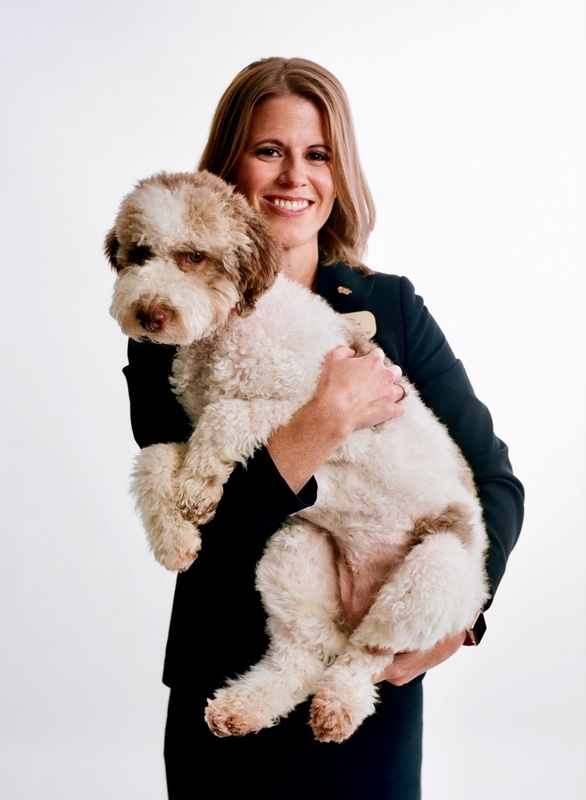 She became an assistant to a relator and decided to focus on realty. Lori has been a realtor since 2011, helping find people find their homes and flipping houses. 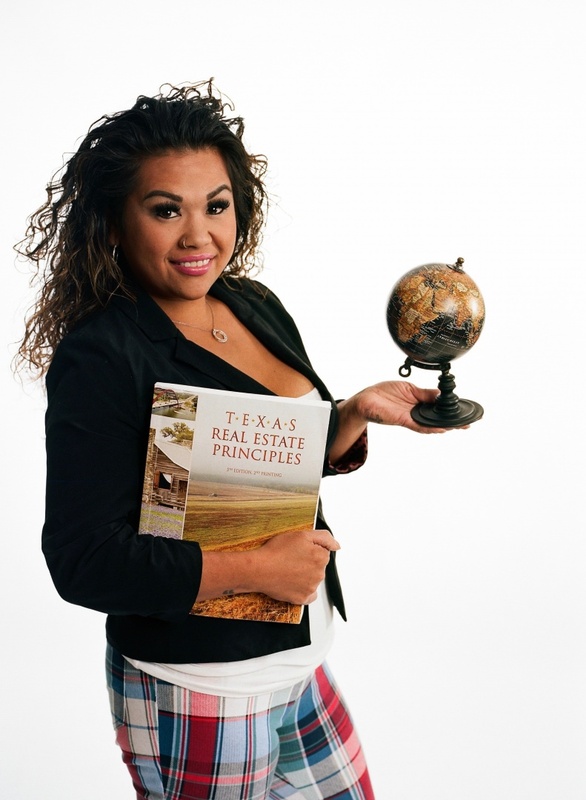 She started Texas Premiere Real Estate and works across Texas. Lori happily splits her time between work and raising her 10 year old daughter. Olivia Villa Make Up Artist - LIV Beautified "I love beautifying people and making them feel good." Olivia Villa is a Makeup Artists and the owner of LIV Beautified. She has been doing makeup for 15 years, but traces back this passion to her childhood- when was 12 she started doing makeup for her fellow churchgoers. In 2005 Olivia moved to San Antonio and was working in real estate. In 2008, Olivia lost her job while pregnant and was feeling a strong desire to keep working. Her husband encouraged her to pursue her makeup passion as a profession. She started LIV Beautified, her makeup service in which she specializes in airbrush make up, but keeps current with all makeup trends. Olivia's business has grown through word of mouth and social media. San Antonio has really embraced her art and offers her lots of opportunities. Olivia is a mother of 3 children, a 9 year old and 7 year old twins who keep her very busy when she isn't working! 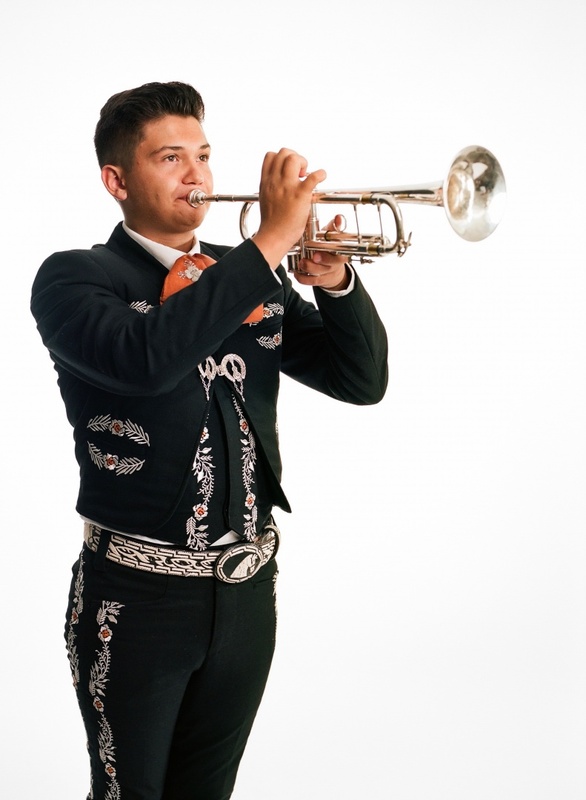 Skylar Mendoza Mariachi Trumpeter Skylar Mendoza is a trumpet player from San Antonio. When Skylar was a boy he remembers going to a festival at Methodist Hospital and seeing a Mariachi group and being fascinated by it. He joined Mariachitos de Wesley - a group that teaches kids after school. Skylar first learned guitar in 5th grade, then switched to trumpet a year later. He has now been playing the trumpet for 5 years and tries to practice every day. Skylar plays in the 3 different groups, Somerset High School Azul Real, San Antonio Mariachi Academy and Mariachi Los Portillos. He also likes to play baseball. Lucy Hassman Ballerina Lucy Hassmann is a 6th generation Texan from German immigrants. She started dancing at the age of 4 and became serious at age 7. Lucy has been in competitions and training for years now, and has earned pre-professional scholarships. At the time of our shoot, she was preparing to head to St. Petersburg Russia to train. She has also trained in Orlando and Houston. Lucy was selected to attend the USA International Ballet Camp. Lucy was one of only 119 dancers selected to attend, and she is the young Texan to ever be selected, as well as the only San Antonian. Lucy is wearing a traditional Russian ballerina dress. She has 2 brothers, and 2 Australian Shepherds. Sandra Barker Retired Secretary/Gambler "I still gamble. It's in my blood. I think about it day and night. I think I'm on a winning streak. I don't think it's over for me." Sandra Barker is one of the most interesting people I've ever met. She was raised in the Rio Grande Valley and worked at the San Antonio State Hospital for 70 years as a secretary. 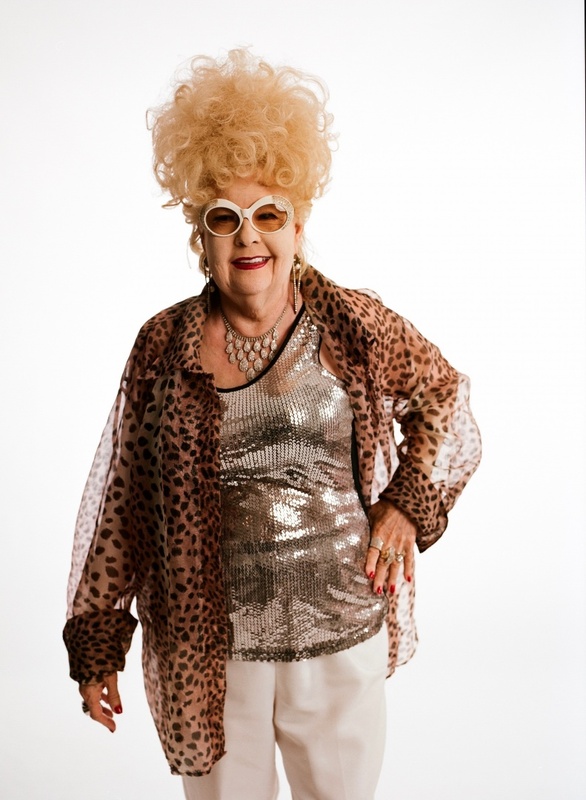 She retired on a ranch in Von Ormy, TX and enjoyed spending her time gambling with her ex-husband in Eagle Pass. Her ex-husband won $93,000 playing poker at the age of 93. Sandra's ex-husband and daughter tragically passed away on the same day. Since then, she has met World War 2 veteran and fellow Uniform 300 participant, Lloyd MacGregor. They claim that it was love at first sight. Sandra enjoys country western dancing and drives a white Corvette with blue flames. Ironically, she has been pulled over twice for driving too slow. She still loves to gamble, and has been in two different gambling dens while they got busted. Lloyd MacGregor World War 2 Veteran "When I met Sandra it was love at first sight." Lloyd S. MacGregor is a 97 year old World War 2 Veteran. Lloyd was raised on a farm near Cedar Rapids, MI. 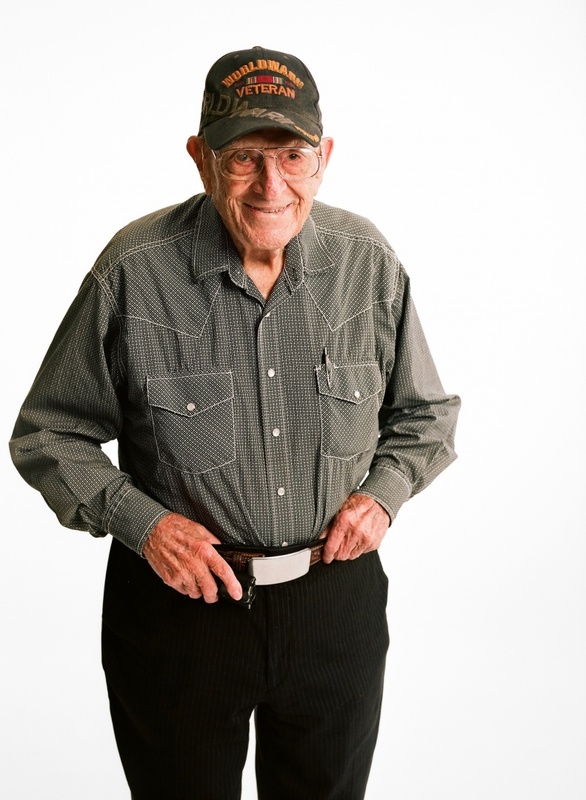 Lloyd joined the Army in 1941 at Fort Sam Houston and served in the Army Air Corps for 20 years. Lloyd was born crosseyed, but flew 15 missions before the Army realized he couldn't see. His service during the war took him to the Pacific theatre. He spent time in Australia where he remembers sleeping in horse stalls, then was in Papua New Guinea for 3 years. After his service, Lloyd came back to San Antonio and managed a lumberyard. He decided to finish college so he went back to University of Iowa, then worked in oil field doing surveying and mapping. Lloyd met Sandra Barker several years ago and they are happily in love now. Cati Tamez & James Nino Canary Island Descendants Association James and Cati are representatives of the Canary Island Descendants Association. In 1731 King Phillip V sent 16 Canary Island families to establish the first civil government in San Antonio, including Mayor, sheriffs etc. The Canary Island population is very important to our city's history, and especially in celebrating our city's tricentennial.The Canary Island Descendants Association aims to heighten awareness and recognize the rich history our city had before 1836. The CIDA has been around for about 40 years, and has members that are newborns all the way up to 90 year olds. They have roughly 300 members. James is wearing a traje de mago Canario and Cati is wearing a traditional Canary Island woman's outfit. She wears a head scarf because Canary Island women never showed their hair. Each of the 7 island have different colors and patterns on the outfits. James plays in his high school band and swims, and Cati plays volleyball. 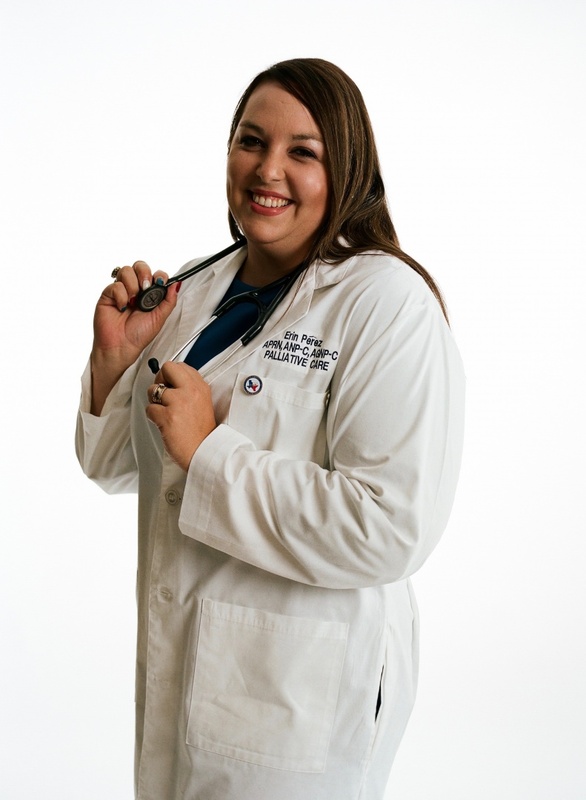 Erin Perez Nurse Practitioner Erin Perez is a Nurse Practitioner that was born and raised in San Antonio. She work with the Baptist Health System and University Health Palliative Care Services. Erin helped write the new Texas Health and Safety Code statute for State Legislature. She has a passion for improving people's quality of life and hearing people's stories. She also works in some alternative medicines spaces such and aromatherapy, guided imagery, breathing techniques and has also worked with a Chinese medicine doctor. Alisa also works with a goat named Timmy for goat therapy services. Erin will finish her Doctoral Degree next Spring. Erin is a descendent of the Leal family, one of the 16 Canary Island families to settle San Antonio, so she feels she has a vested interest to stay in San Antonio and contribute. Craig Pelke San Antonio Zoo - Director of Ectotherms "When I was 4 I told my mom mom I would be a reptile zookeeper. And it happened." 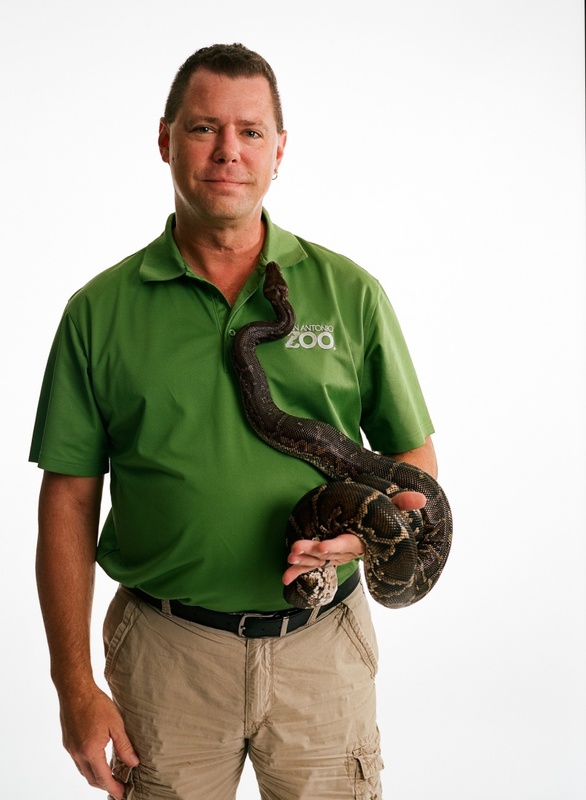 Craig Pelke is the Director of Ectotherms at the San Antonio Zoo. Craig loves working at the San Antonio Zoo. He brought an Angolan Python from Southwest Africa to the shoot. He is proud that the SA Zoo is able to talk the talk and walk the walk when it comes to conservation. The San Antonio Zoo's vision is the secure a future for all wildlife. They are currently involved in over 200 conservation projects in 7 countries. In the past couple years, the San Antonio Zoo has invested million into giving animals better care as well as giving guests a better experience. Craig was excited to discuss the Zoo School - a certified pre-school that is all nature based where students spend 80% of the day outside, and visit the zoo once a day. They also have the Tiny Tot Nature Spot which is geared towards education. The San Antonio Zoo focuses so much on kids because they will be the next generation of conservationists. The San Antonio Zoo is a non profit organization, so they rely on visitors and members as a way to thrive. All donations and legacy gifts contribute towards conservation. More information can be found at sazoo.org. Alisa Voss Godfrey Midwife "By the time a woman is ready to have her child, we are sisters and friends. 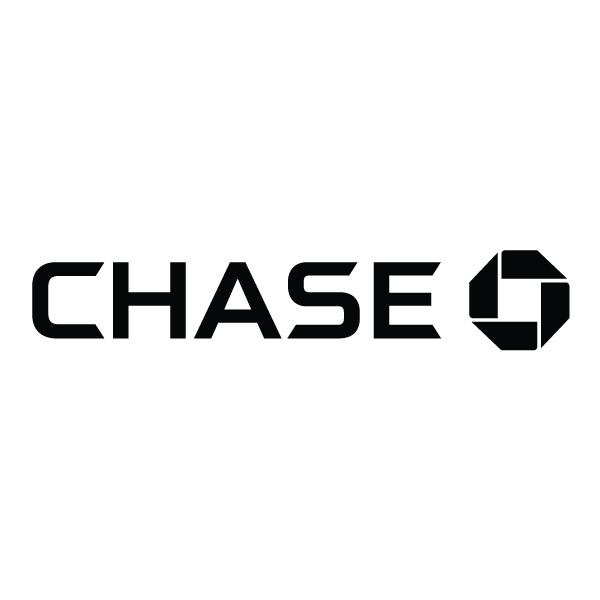 We are really there to help navigate the journey." Alisa Voss Godfrey is the Clinical Director at the San Antonio Birth Center. She is a licensed, certified professional midwife. when she arrived for her portrait, she had just finished a 28 hour shift and had just caught a baby at 4am! SABC's mission is to build relationships, get to know clients, and bridge the gap between traditional midwifery and modern science. By wearing a uniform, Alisa and her team are able to present themselves as a professional, highly trained and certified group. For low risk, healthy women, SABC offers the option of having a low intervention midwife at their birth center or a woman's home. The birth center is a home-like environment that has the modern technology found in a hospital. By the time of delivery, Alisa or one of her team members has spent between 13-15 hours with the client. Alisa hopes to continue to spread awareness to expecting families about midwives and the San Antonio Birth Center. 20 years ago, less than 2% of children were born outside of a hospital, but now that number is over 4%. By building strong relationships with hospitals and doctors and practicing transparency as a core value, they hope to continue to see that grow! Dr. Poornima Mensinkai Faculty Member - UT Health Science Center Dr. Poornima Mensinkai is a faculty member at UT Health Science Center. She was born and raised in Bengaluru, Karnataka, India. In 2003, she and her husband moved to to Stillwater, OK, then Laredo, then San Antonio in 2009. Dr. Mensinkai got her Masters and PhD from UT Health Science. She now intends to focus on research and education. Dr. Mensinkai is wearing a traditional sari. She is involved in an organization called SEWA international. They aim to create a global market for saris. The art of hand weaving silks for saris is fading, and they have a clear goal to empower women weavers in small Indian villages. By cutting out the middle man, they are able to give funds directly to the village that can provide hygiene to prevent infections, give free health care and establish schools. The sari and Dr. Mensinkai's jewelry each represent something different. The pattern on the sari is indicative of the village in which it was woven. The red bangle wristband is given by the mother's family to represent bringing the newly married woman's strong values into her husband's house. The black beads in the necklace, as well as the 2 pendents, represent the union of two families as well as warding off the evil eye. The red dot on Dr. Mensinkai's forehead is a sindoor, identifying her as a married woman. 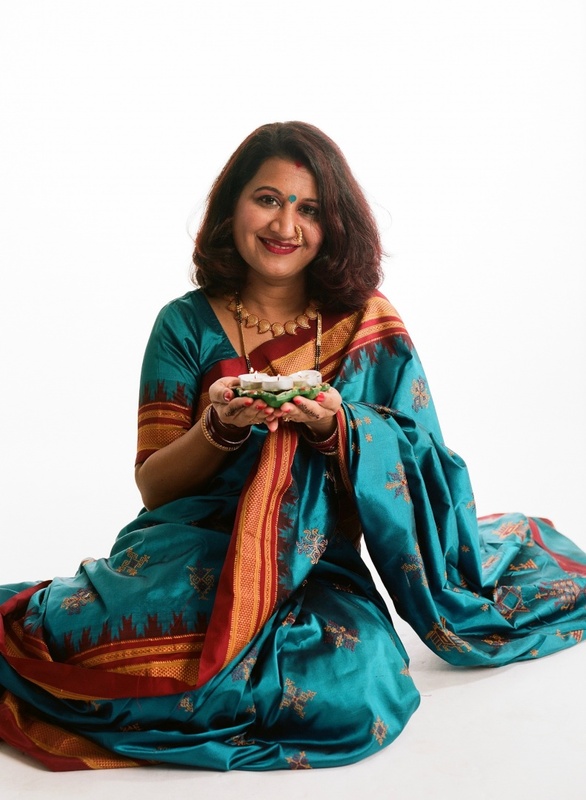 The blue bindi between Dr. Mensinkai's eyes is meant to activate her third eye chakra, and she chose blue to match her sari. Finally, her nose ring's circular pattern is representative of karma. Phillip De La Peña San Antonio Living Historical Association "It is a story that should be told, especially in a city as diverse as San Antonio. I'm really trying to bring pride and dignity to that historical impression." Phillip De La Peña is the the Vice President of the San Antonio Living Historical Association. 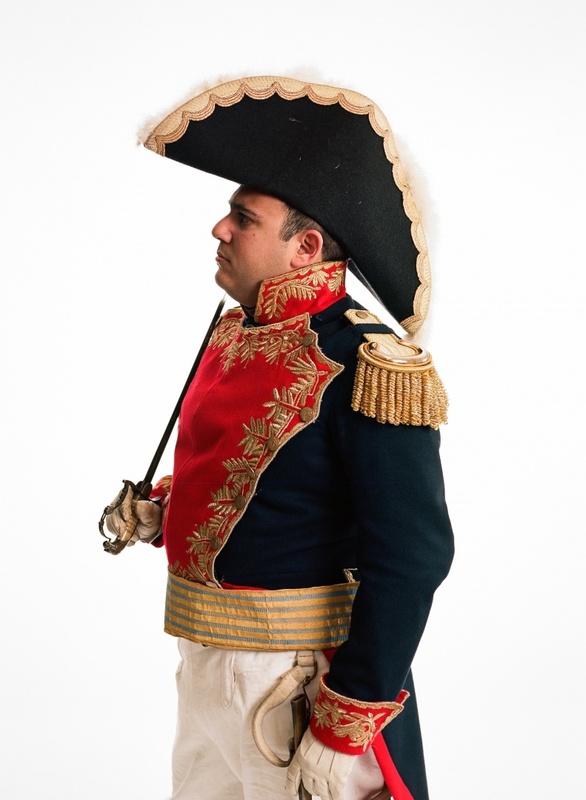 He is pictured wearing an exact replica of Santa Anna's military uniform, reproduced from paintings of that era. Phillip was born and raised in San Antonio. His family history goes back to the Spanish Colonial Period. Phillip got involved with the SALHA at the age of 15. SALHA is a volunteer organization that specializes in reenactments focusing on history. The SALHA was founded in 1986 and currently has about 50 local members. The events are free to attend. Their goal is to enact a historical impression as close to what happened as possible, such as the battle between Texas Revolutionaries and the Mexican Army. Phillip's daytime job is the Assistant Principle at South San Antonio High School. Chris Conger Founder Smoke Shack "The first time I ever smoked a brisket I was towing my new pit from Dallas to Oxford, MS. We smoked a brisket the whole drive." 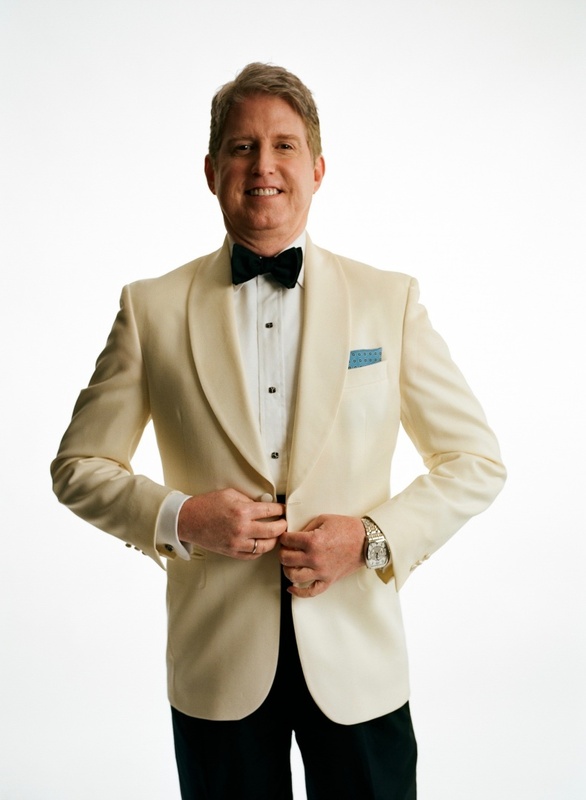 Chris Conger was born in Dallas and began catering in college at Ole Miss. He provided barbecue, burgers and hot dogs at school events. After college, Chris and his then girlfriend moved to New Zealand on a one way ticket. They spent a year there while Chris worked various jobs in the restaurant business. Chris and his girlfriend moved back to the states afterwards and got married. Shortly thereafter they moved to San Antonio and opened up the Smoke Shack BBQ food truck. After 4 years, they opened the Smoke Shack restaurant on Broadway. 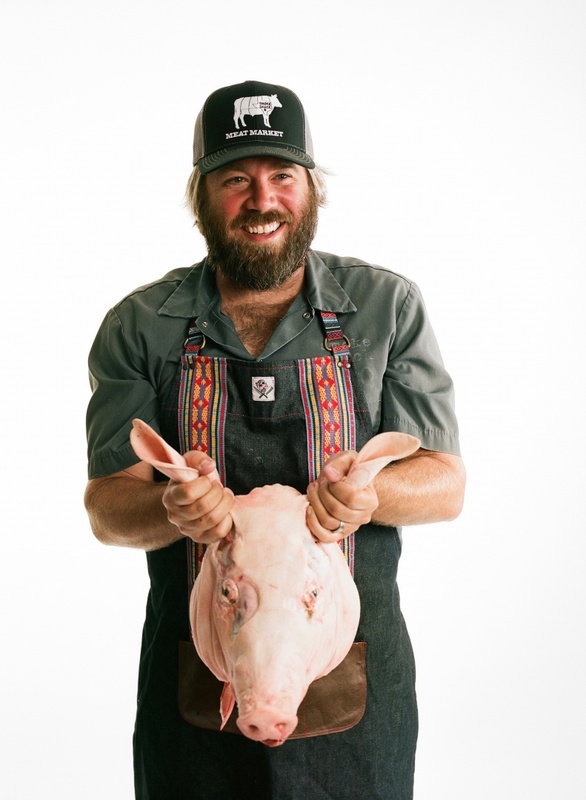 Two years ago, Chris opened Pigpen and now they've opened the Meat Market. The Meat Market has a full butcher service: whole pigs, whole lambs, half steers and they make their own sauces. All beef comes from within 30 miles of San Antonio. All the meat is sourced locally from Texas, with most coming from San Antonio. Even the charcoal is local. Chris loves the huge support he has gotten from San Antonio and loves to call our city home! Uniform 300 is a photographic project coinciding with San Antonio’s Tricentennial Celebration in 2018. In Uniform 300, photographer Rahm Carrington and curator/producer Alice Carrington Foultz collaborated to depict the diversity of San Antonians following the 6 pillars of the Tricentennial: Religion, Military, History & Education, Arts & Culture, World Heritage and Community Service. 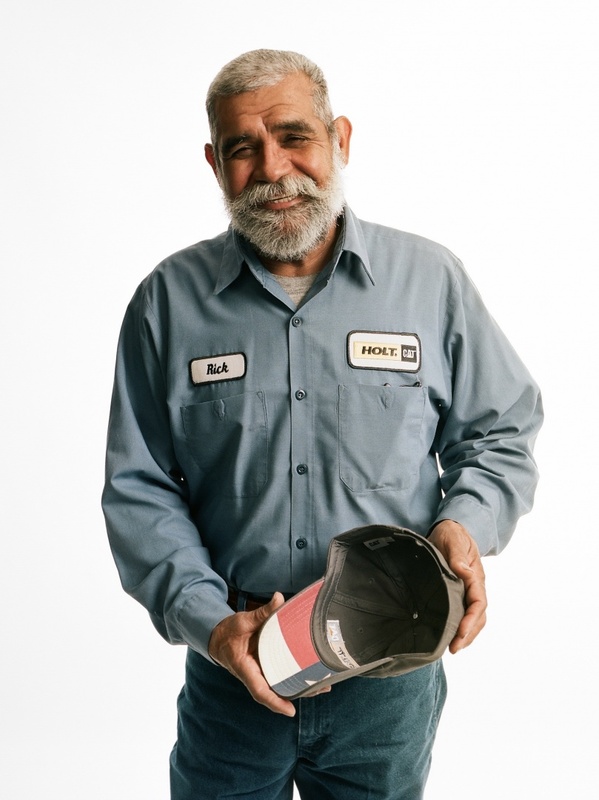 The project features portraits of San Antonio citizens representing all neighborhoods, passions, jobs and walks of life. In this rapidly growing world of free-flowing information, we are seeing a homogenization of culture. One can travel across the world and see the same fashions, trends and iconography. The “flattening” of the world has had many benefits, but it is contributing to this homogenization. Today, we see people turning back to their roots to find their own unique identity. We wear our “uniform” with pride, as a way to let others know who we are, where we came from, what we do, who we love and what we stand for. In this melting pot of culture it is a way to identify oneself. In Uniform 300, Rahm and Alice explore the idea of a personal uniform. In some cases, this may be a Catholic Brother, Soldier or Escaramuza wearing a prescribed uniform. In other cases we may photograph a Spurs super-fan, or a restaurant owner, whereby their uniform is the clothes they wear and the image they portray. Furthermore, there is uniformity in the format of each one of these portraits, so that when the collection of photographs are gathered together, there is a distinct diversity in each of the subjects, but a uniformity in the collection and depiction. In 2017 & 2018, Rahm and Alice captured these portraits from a studio in downtown San Antonio. These portraits were shot on medium format 120 film. We used a combination of word-of-mouth, social media, call to public and traditional media to reach the San Antonio public. Our studio has a large map of the city of San Antonio, and upon the completion of each portrait we asked our subject to place a pin in the map that represents where they live. In doing so, we see our representation of the city grow, thus leaving no neighborhood underrepresented. The map itself is now an integral part of the show. Join us for the library opening reception of the Uniform 300 Exhibit. The art will be displayed at multiple locations for various run times. 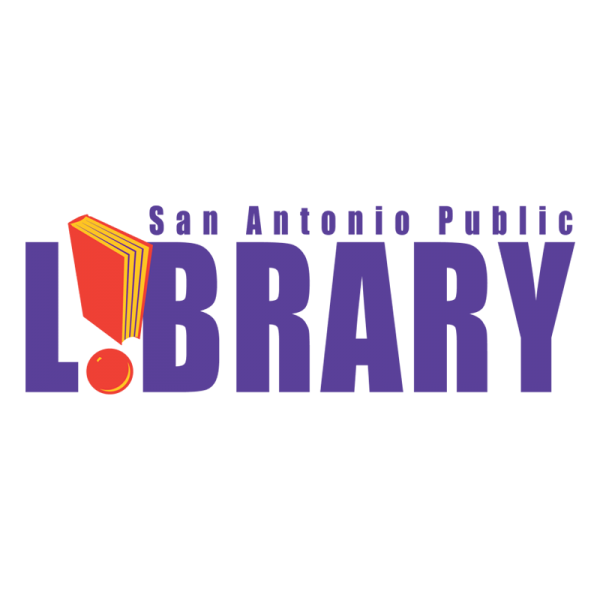 The Central Library will be host site for this opening reception that honors San Antonio’s diversity. We have created a podcast to accompany the Uniform 300 photographic project. 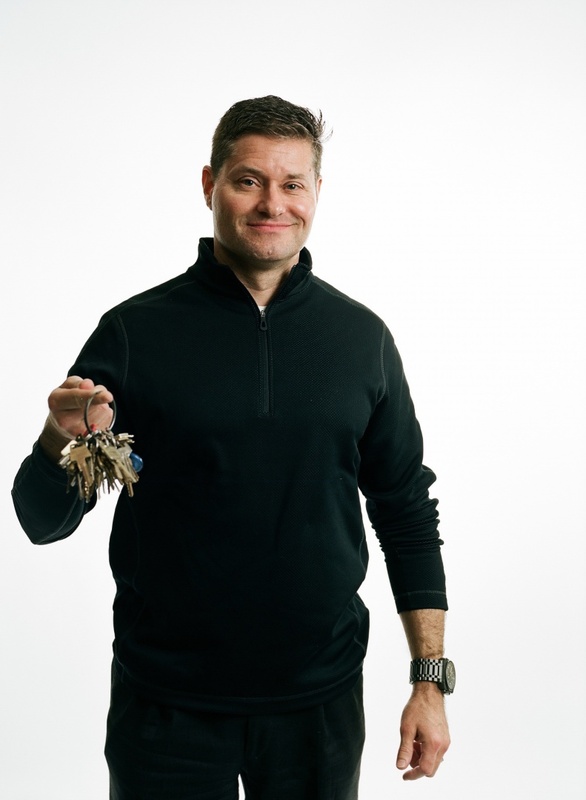 Your host, Brad Swail, interviews a select number of the subject to help you dive a little deeper into their life. and the assembly of numerous private and public art collections. Recent accomplishments include overseeing a guaranteed percentage for public art in San Antonio as Chairman of the Public Art Board. She served as curator for San Antonio Spurs Sports and Entertainment from 2001 to 2017 where she helped assemble a “vision statement” for the organization and curated a 200 piece site specific collection. 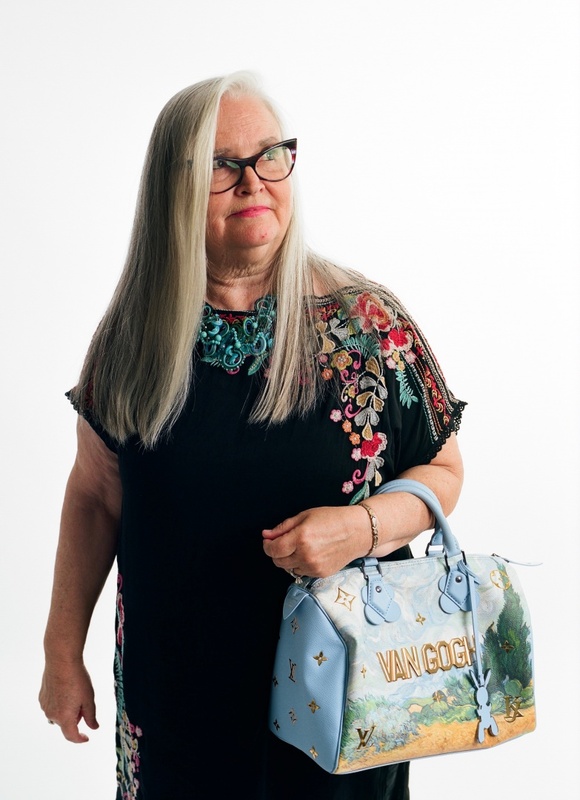 In addition to working with private collectors throughout the US, Alice has helped develop collections for Jackson Walker, Akin Gump & The Kronkosky Foundation. Alice’s museum affiliations include the San Antonio Museum of Art, Artpace, The McNay Art Museum and the Contemporary in Austin. Currently she serves as Vice Chair of the Public Art Board concentrating her efforts on building a strong public art collection for the city. Most recently Alice served as curator of the art collection in the Cellars apartment complex at the iconic Cellars at Pearl in San Antonio. Within a year, Rahm inherited his Uncle’s Nikon FM and Grandfather’s Leica M3 and has a growing collection of analog cameras. In the age of digital photography and computerized manipulation, Carrington’s methods remain pure, staying true to the time-honored traditions of photography.Carrington’s work is part of numerous private collections across the country as well as the Kleberg Bank and King Ranch collections. 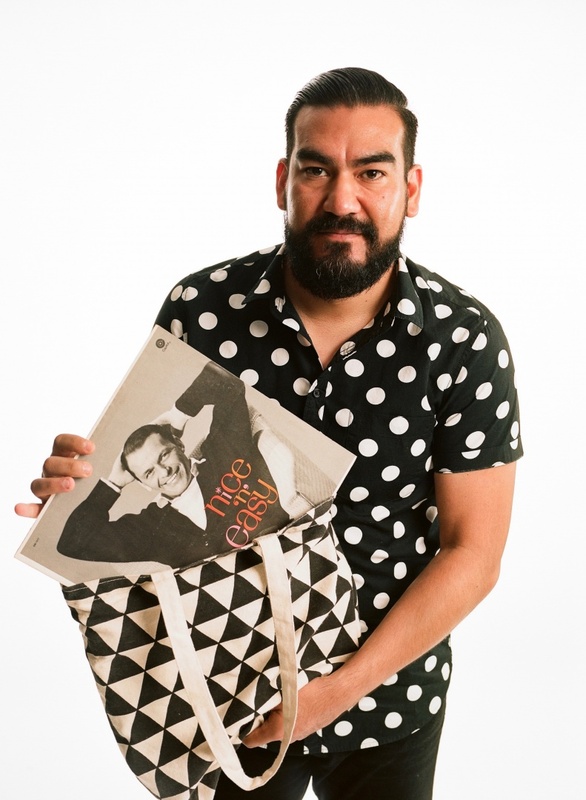 He was recently selected to be an official partner of San Antonio’s Tricentennial in 2018 with a photographic portrait project entitled Uniform 300. We are grateful for our sponsors for helping us bring this project to life! Yes, add me to the Uniform 300 email list. The Uniform 300 Studio is located at Travis Park Plaza downtown at 711 Navarro St [Google Map]. There is free 30 minute parking available in the surface lot that is to the west of the Travis Park Plaza. **If you are looking to attend an exhibition, see the section above for those dates and locations. Stay in the loop with occasional emails about Uniform 300 news and events! © 2019 Uniform 300. All rights reserved. Website by AIRSHP.